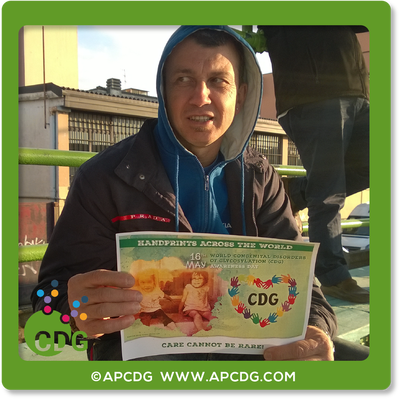 Print out the fliers available below​. 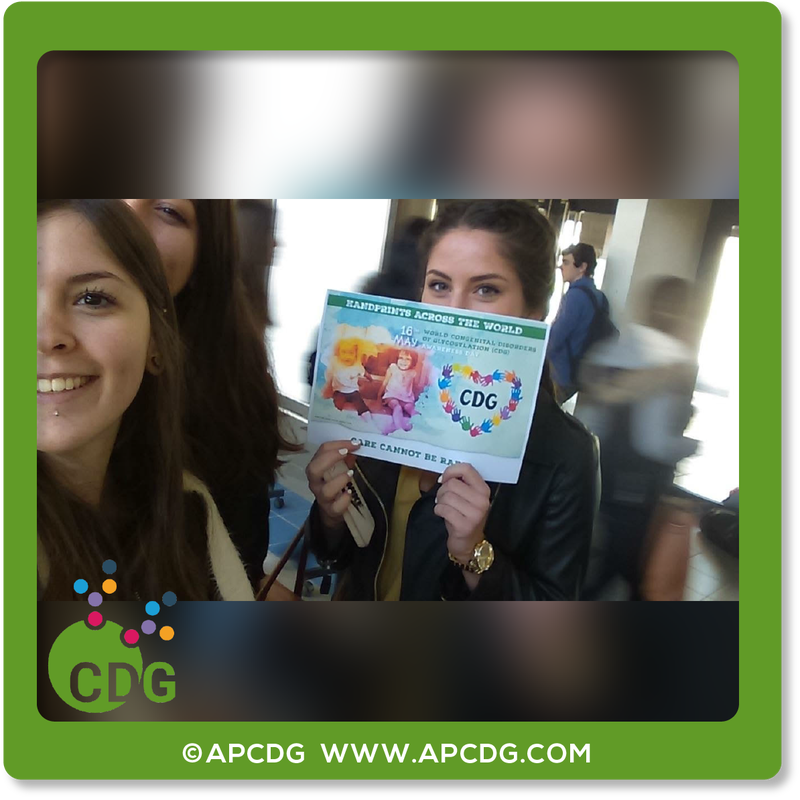 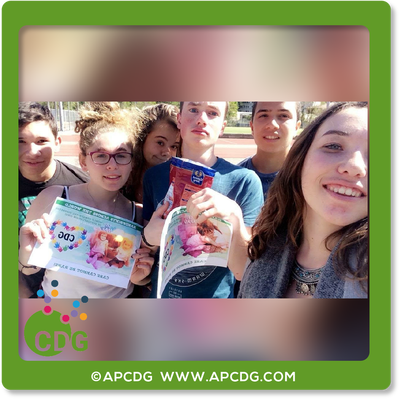 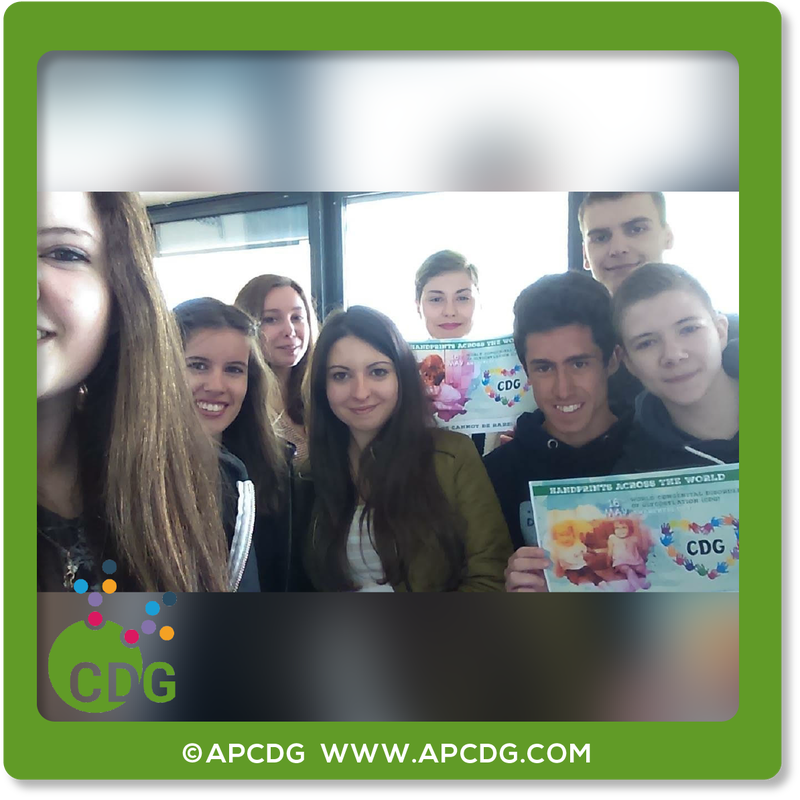 While holding the flier, take a photo of yourself, someone else, or a group of people. 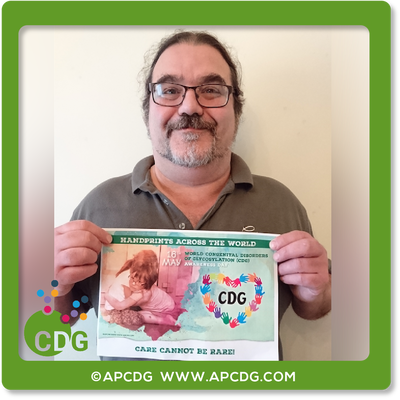 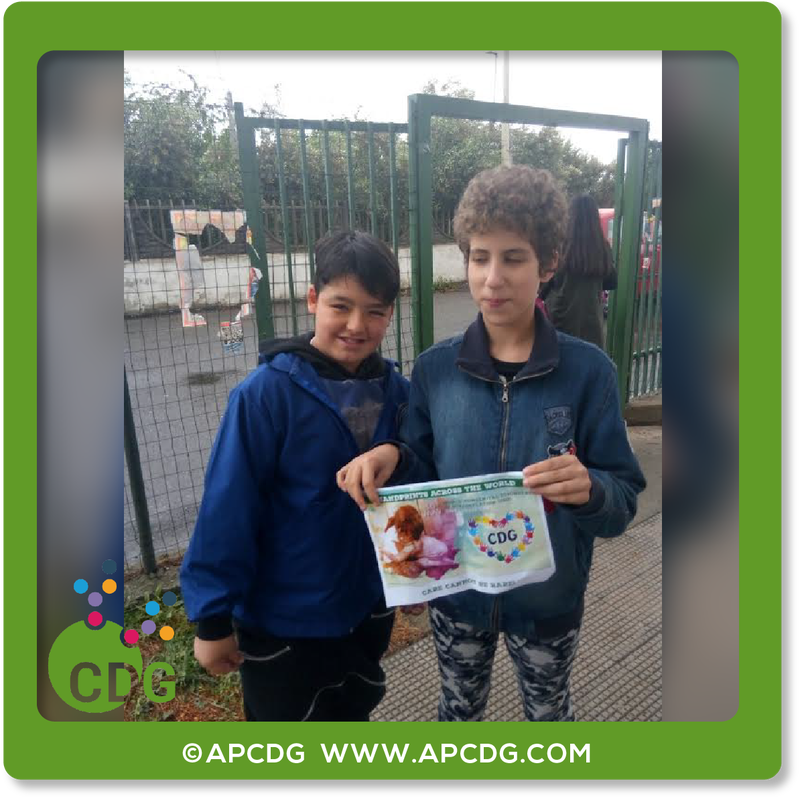 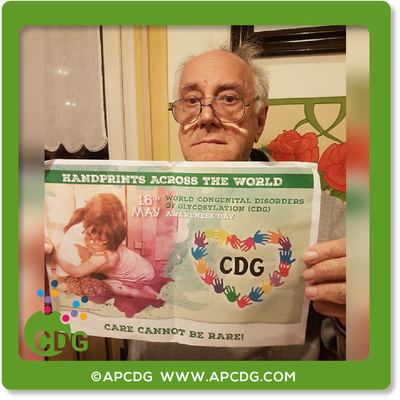 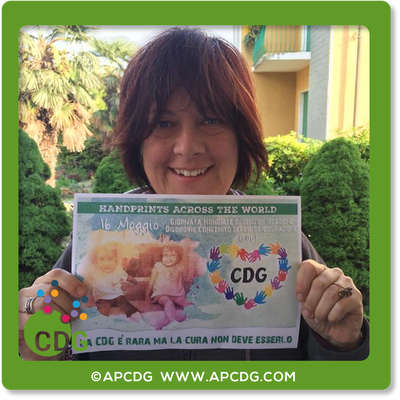 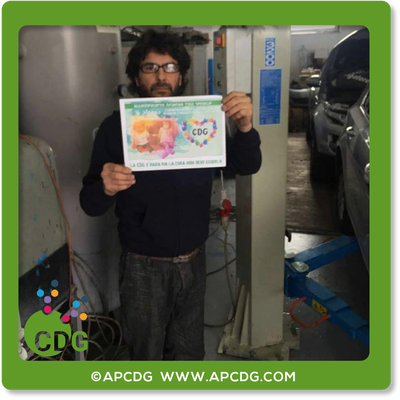 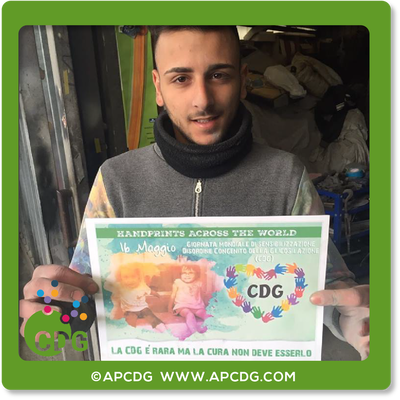 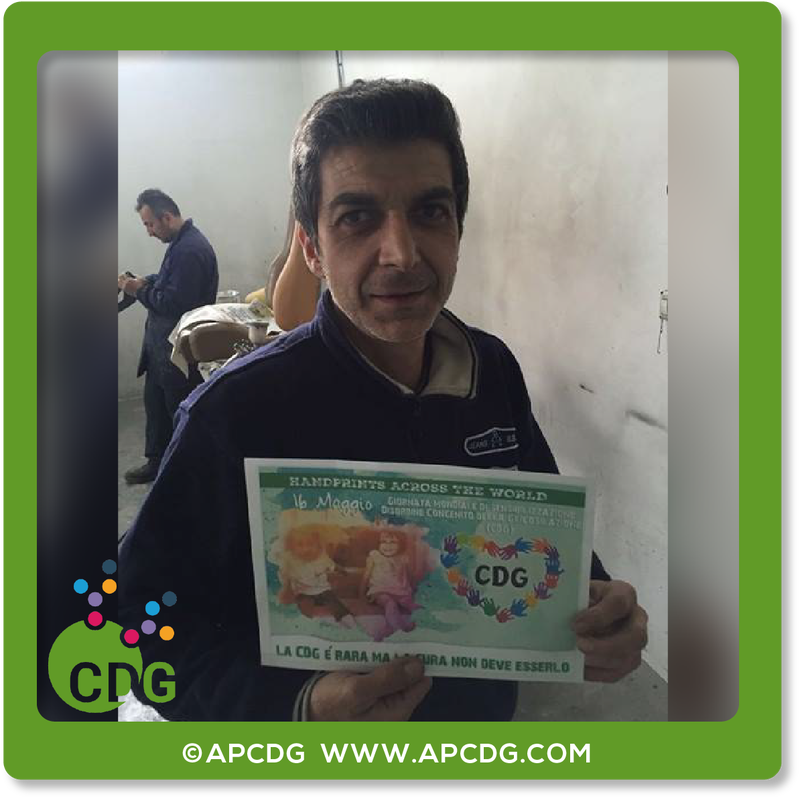 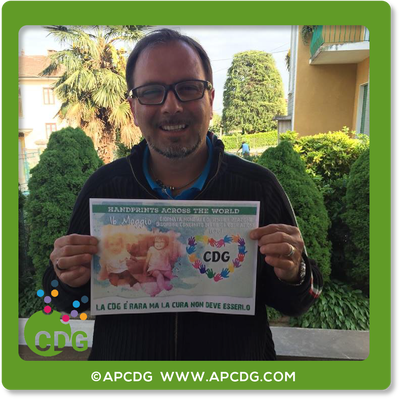 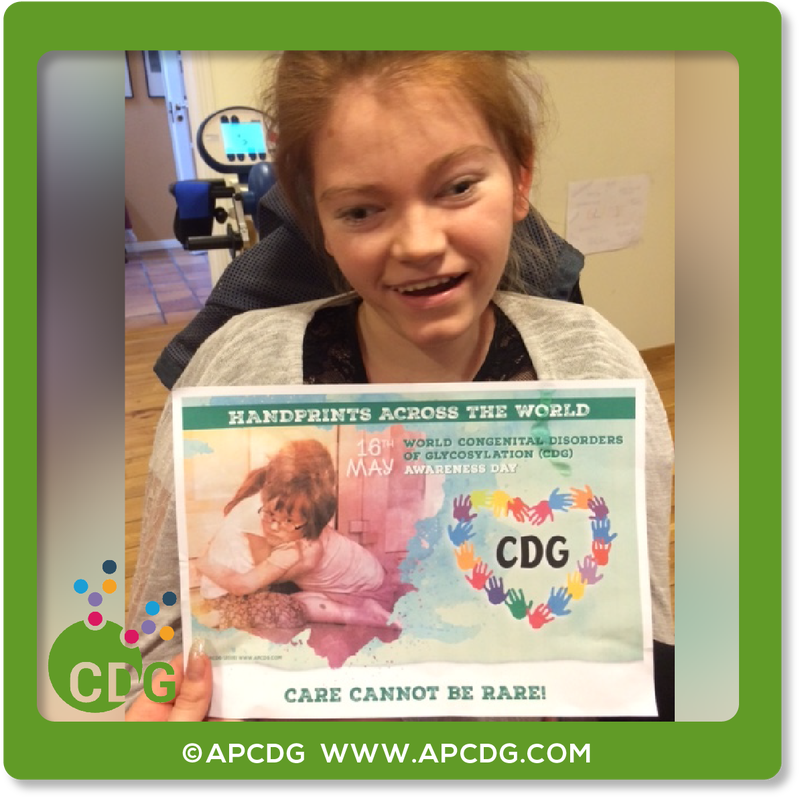 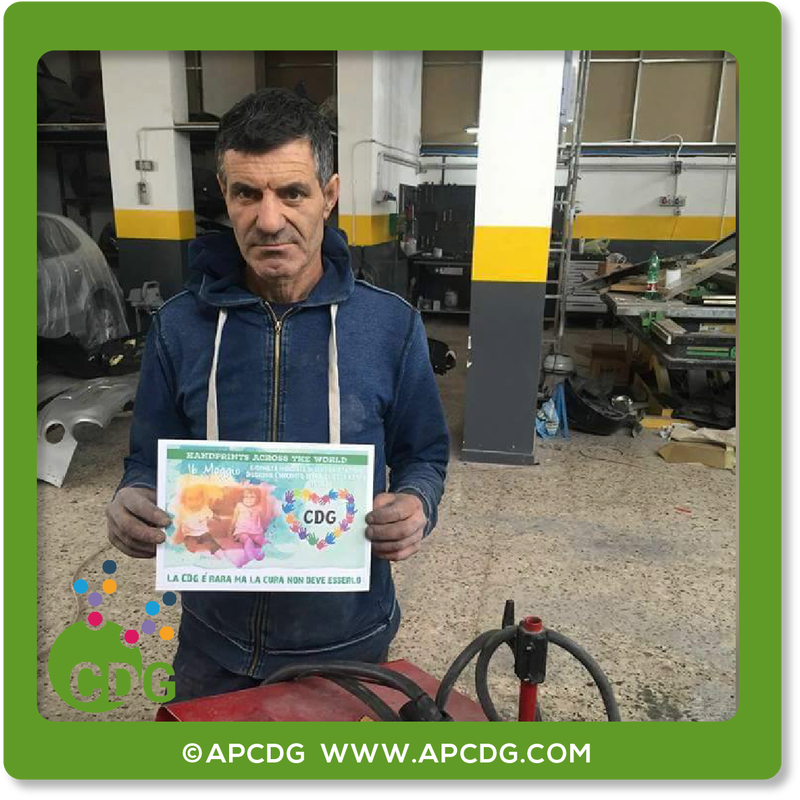 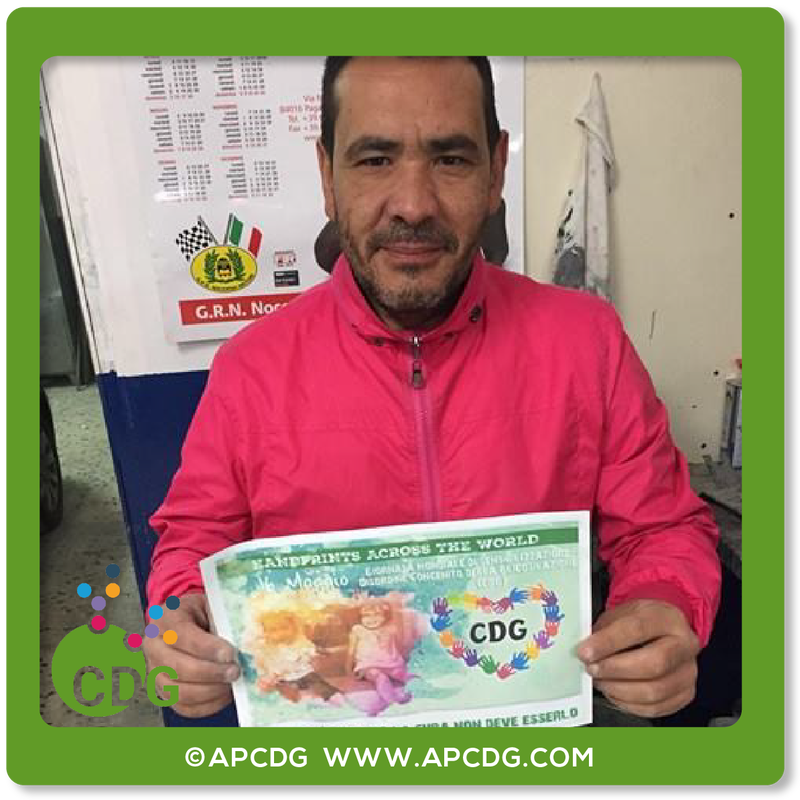 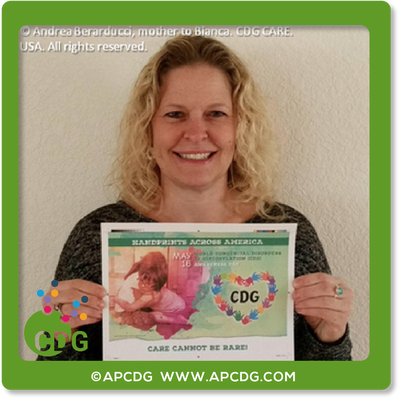 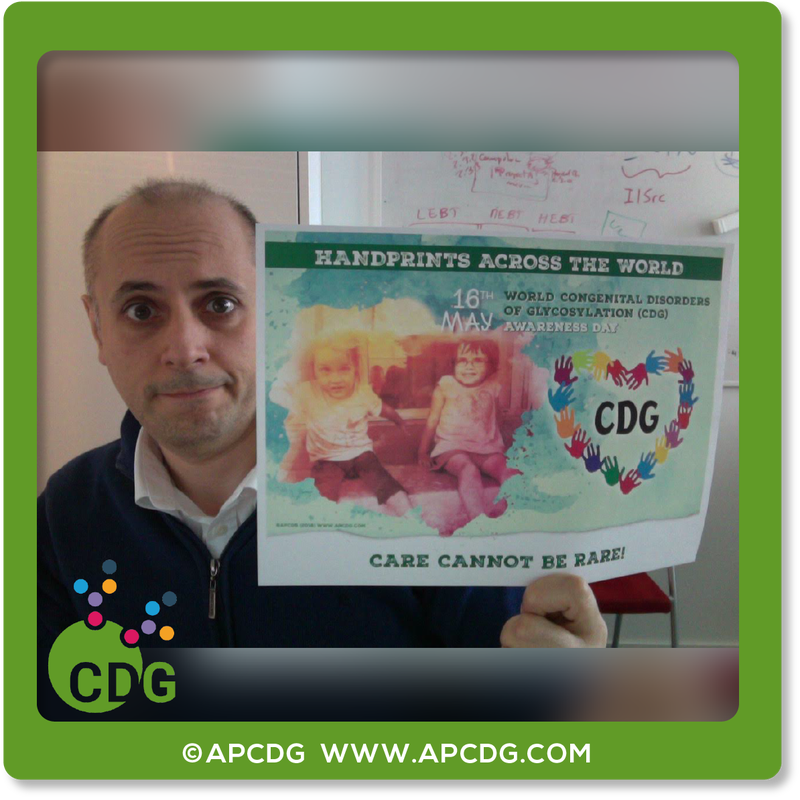 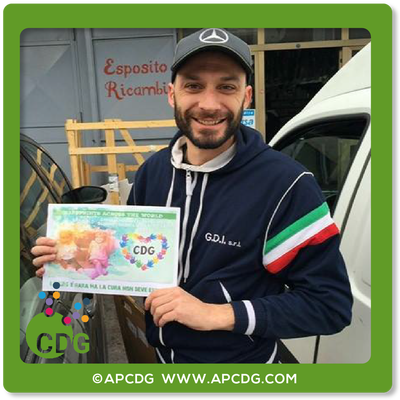 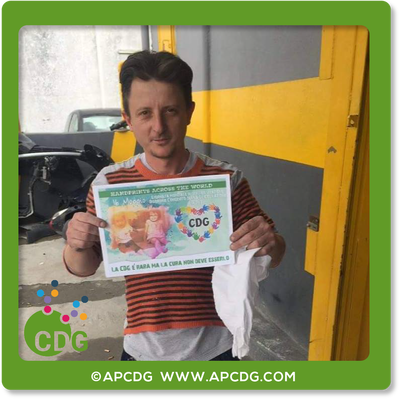 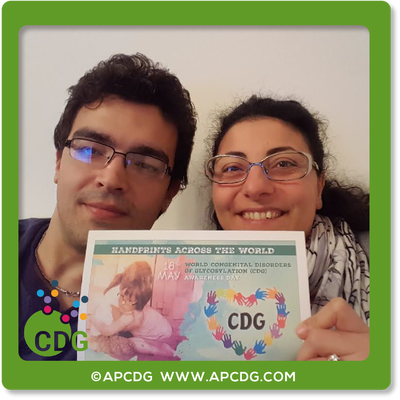 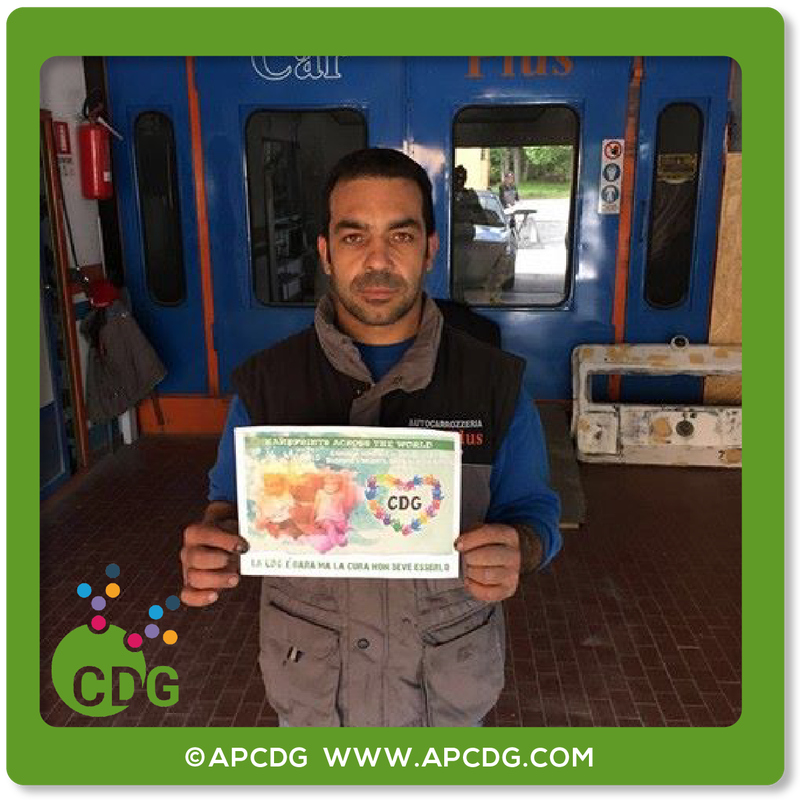 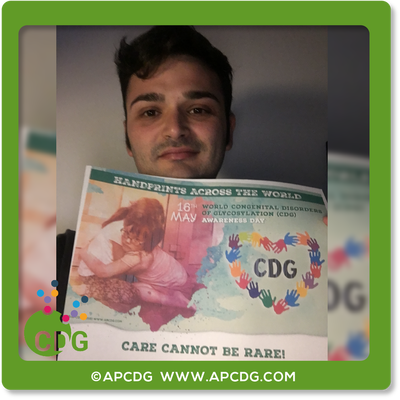 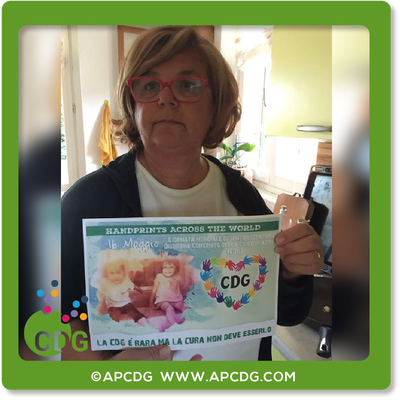 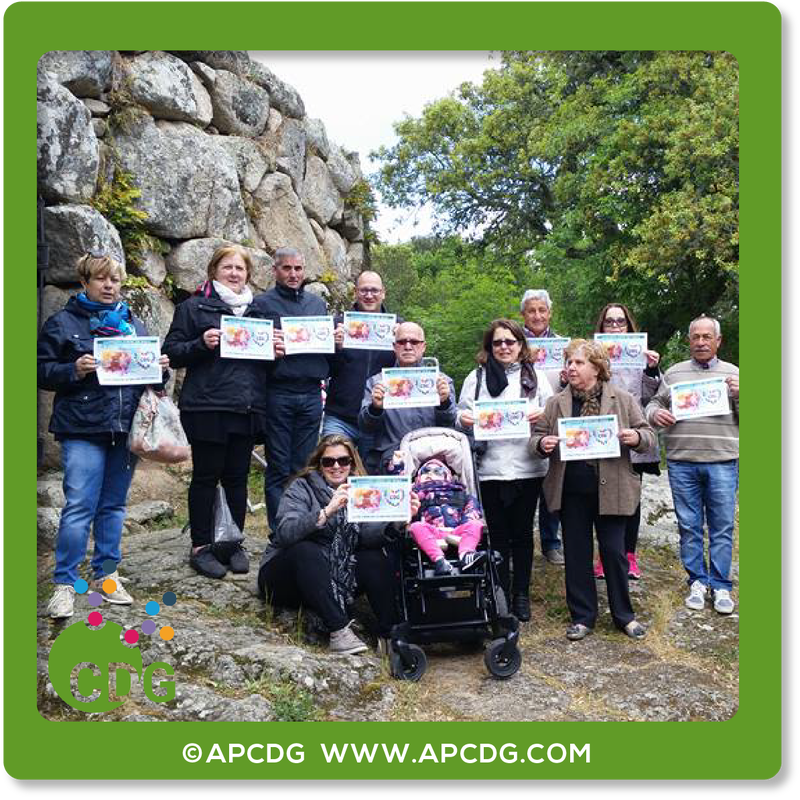 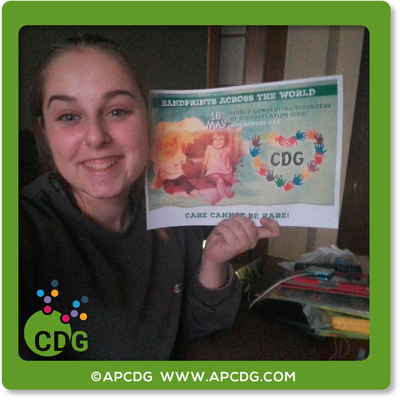 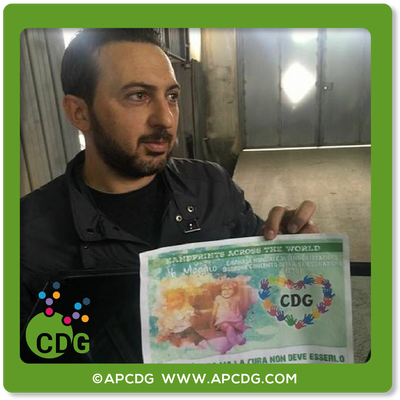 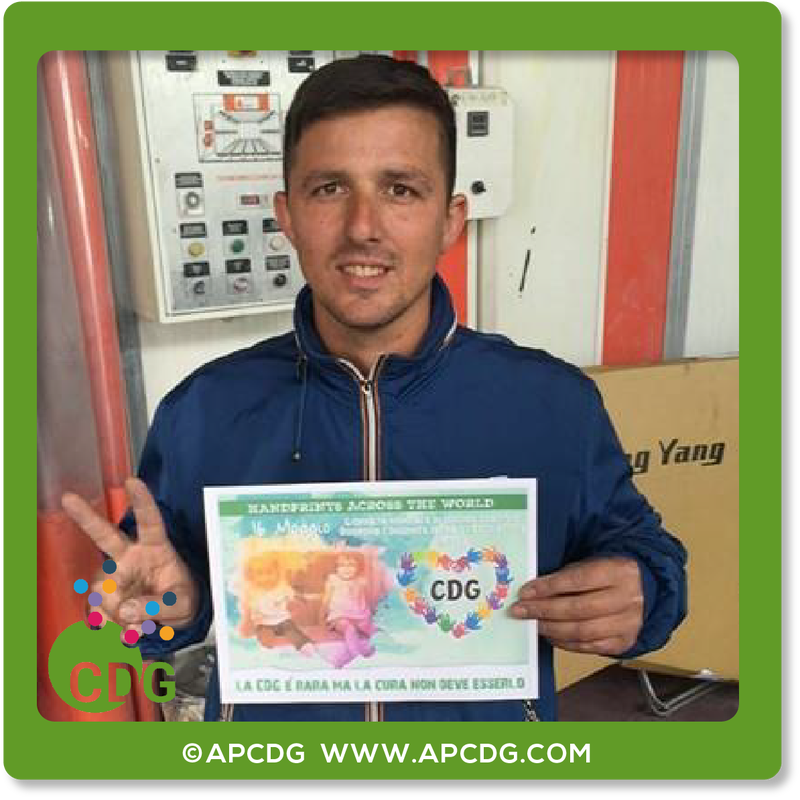 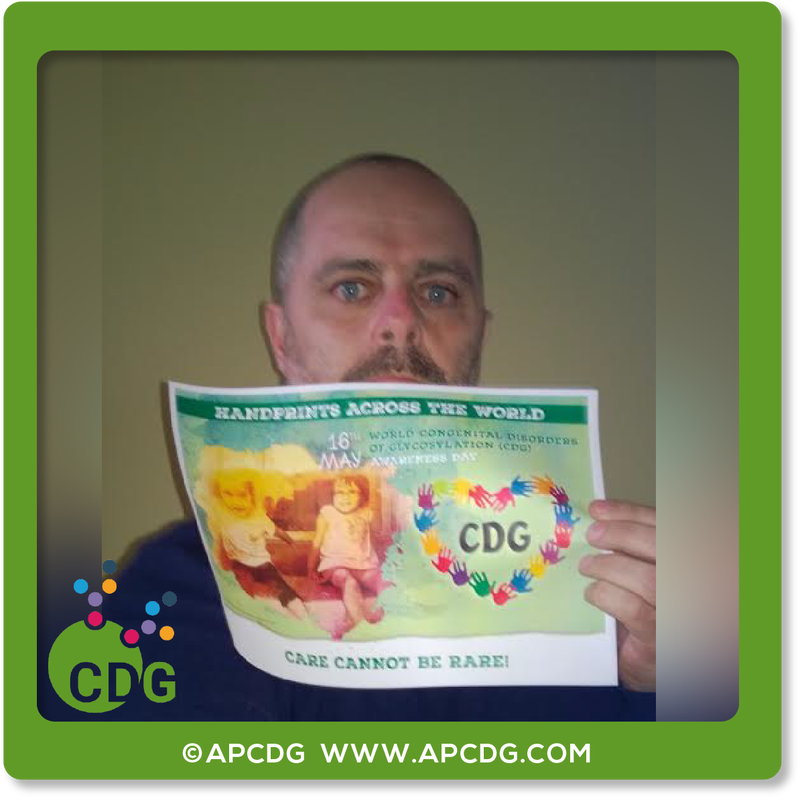 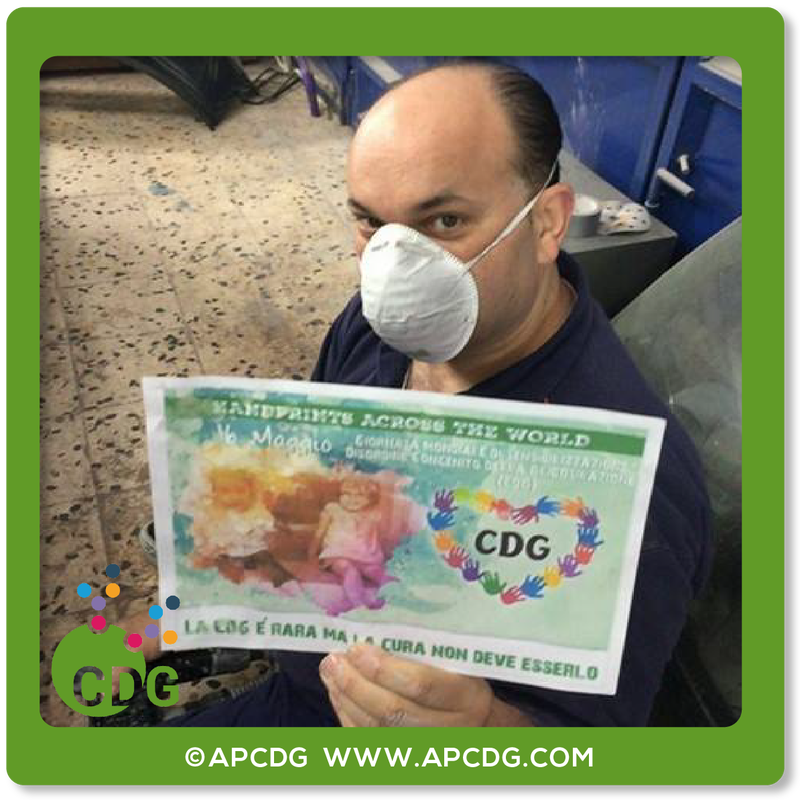 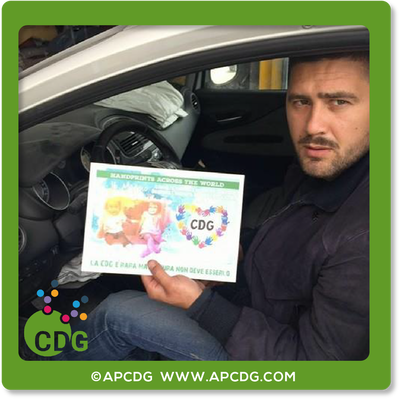 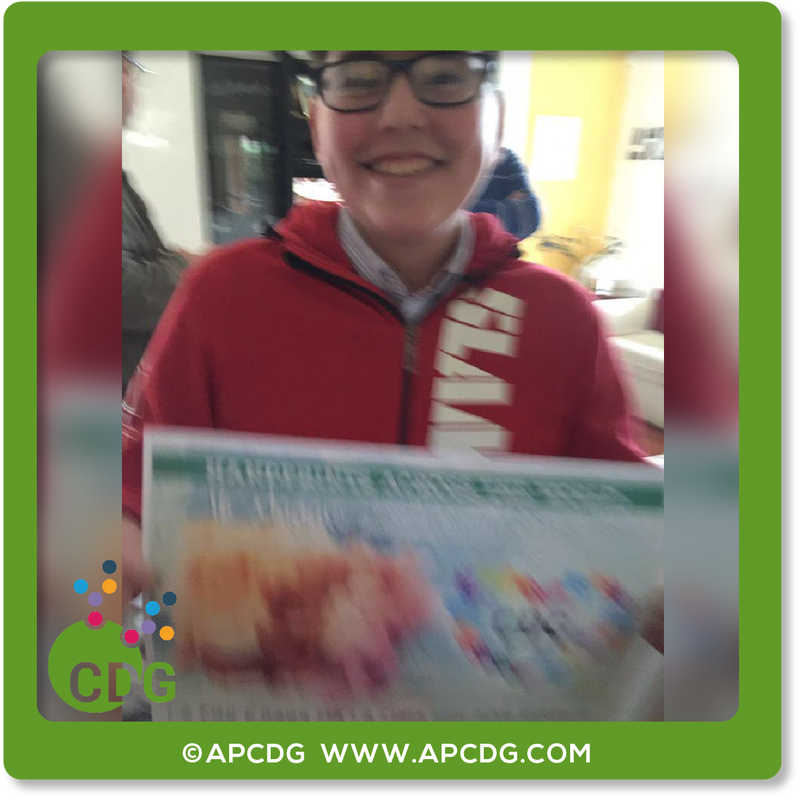 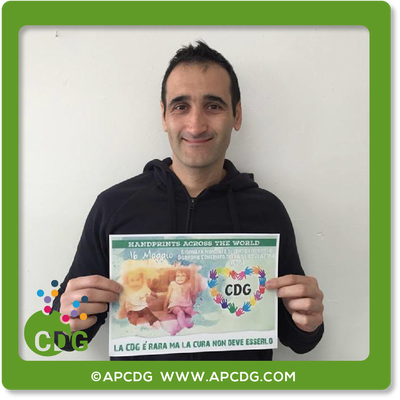 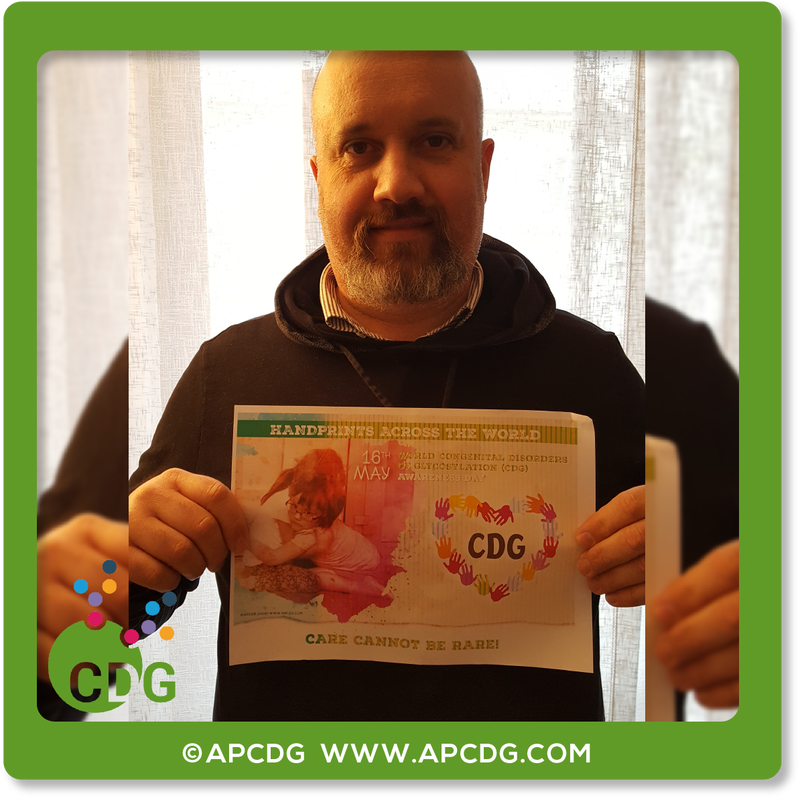 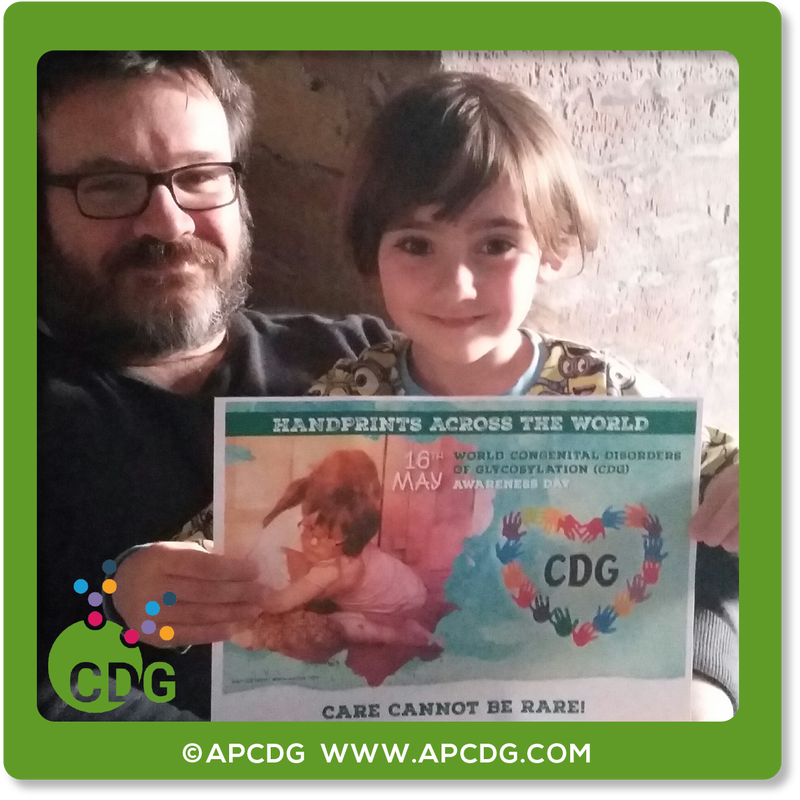 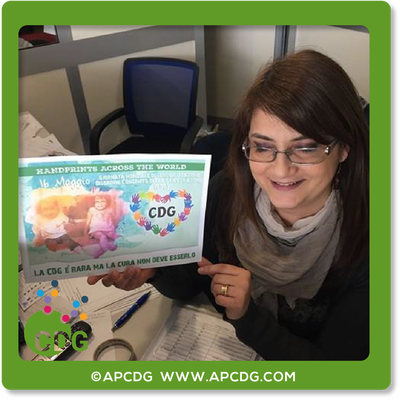 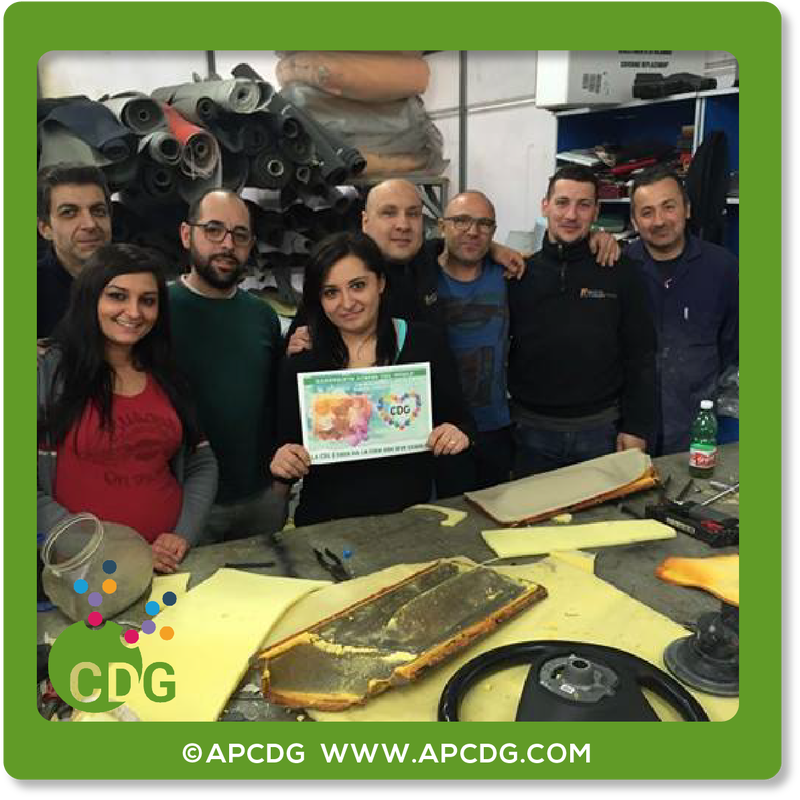 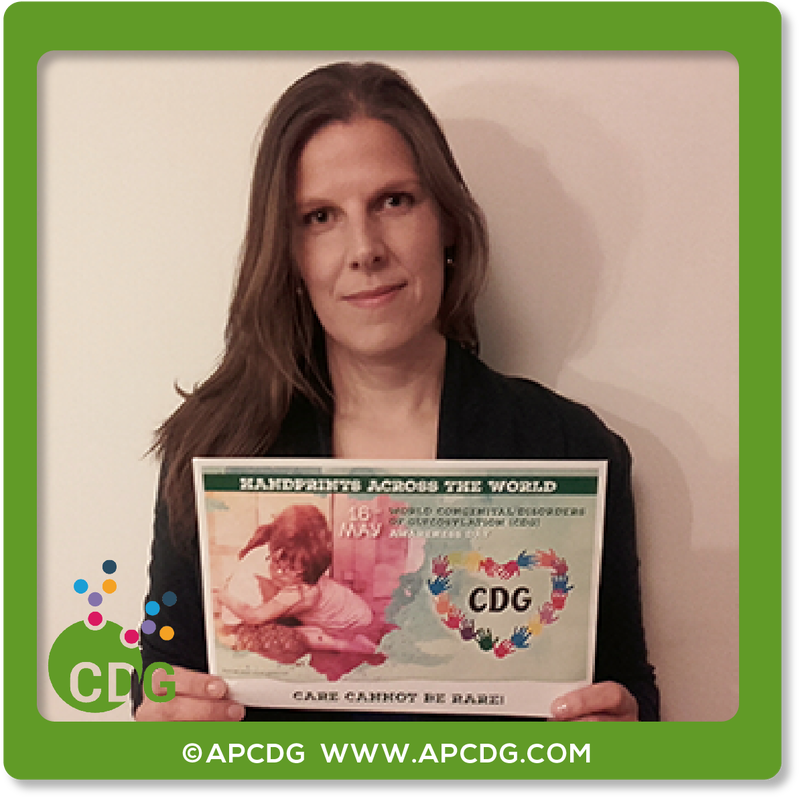 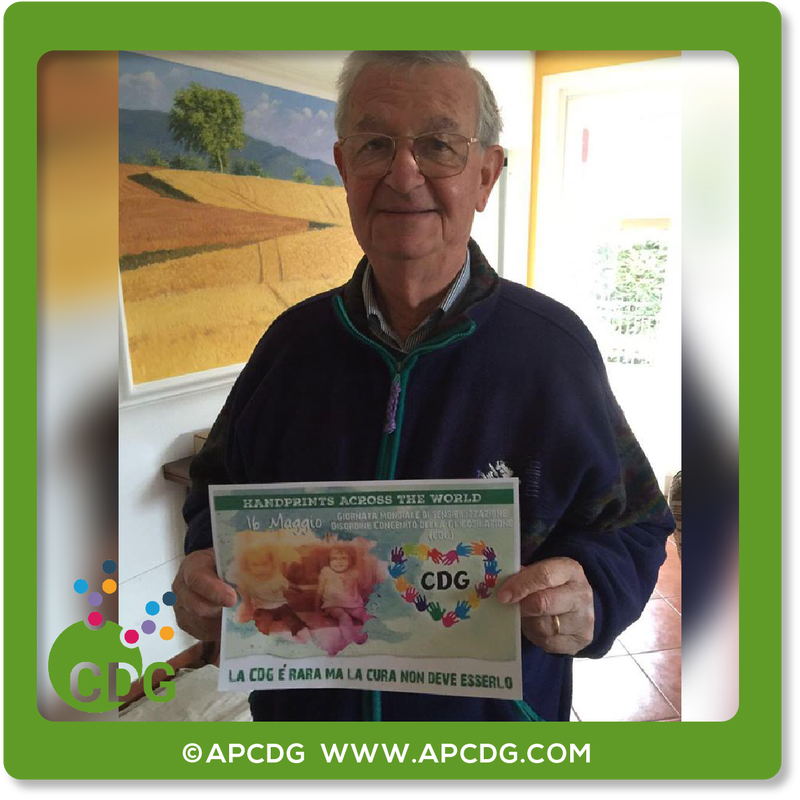 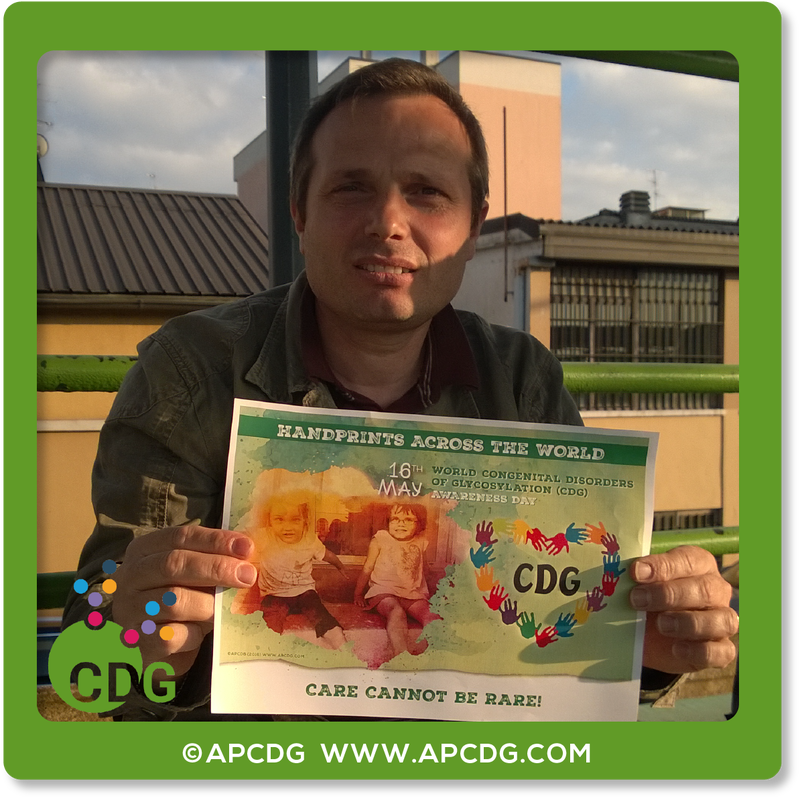 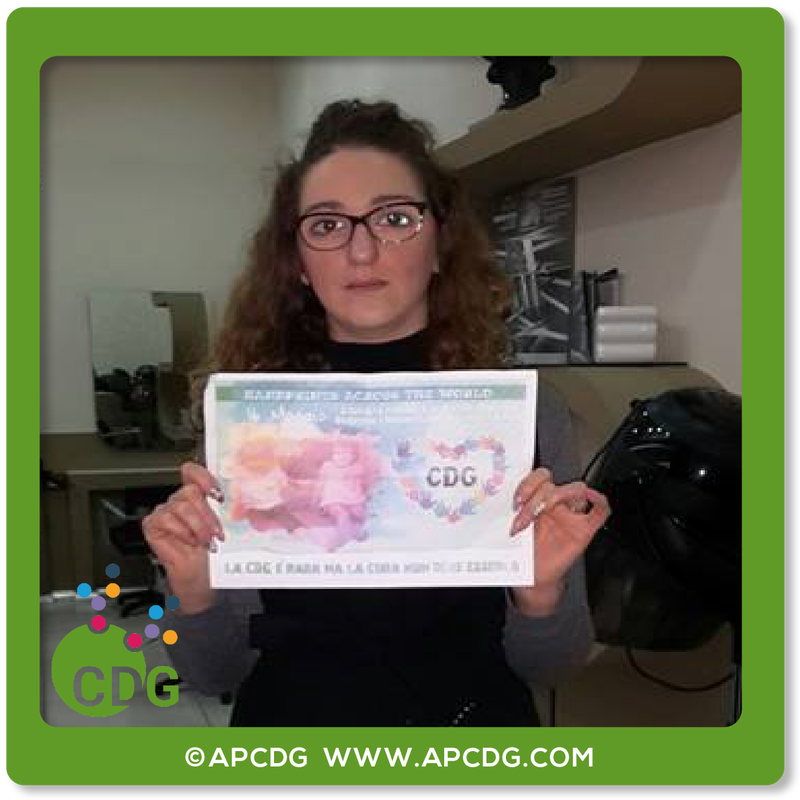 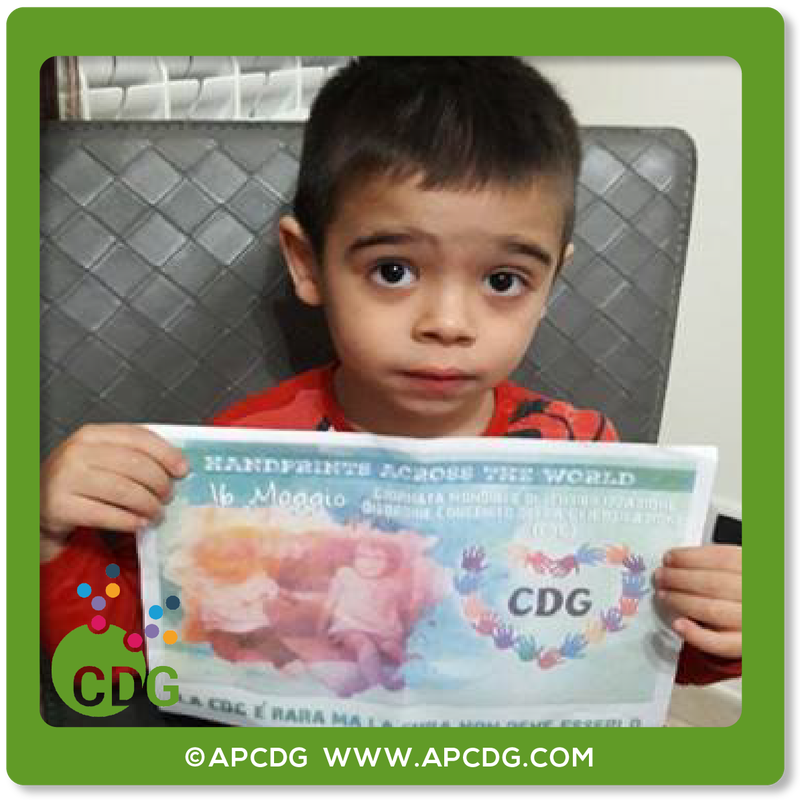 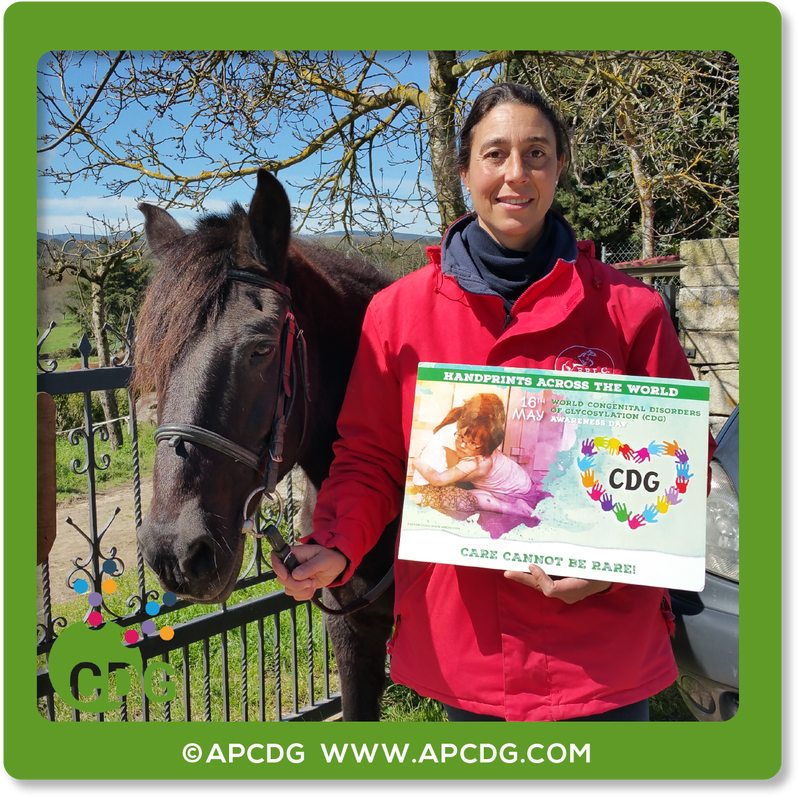 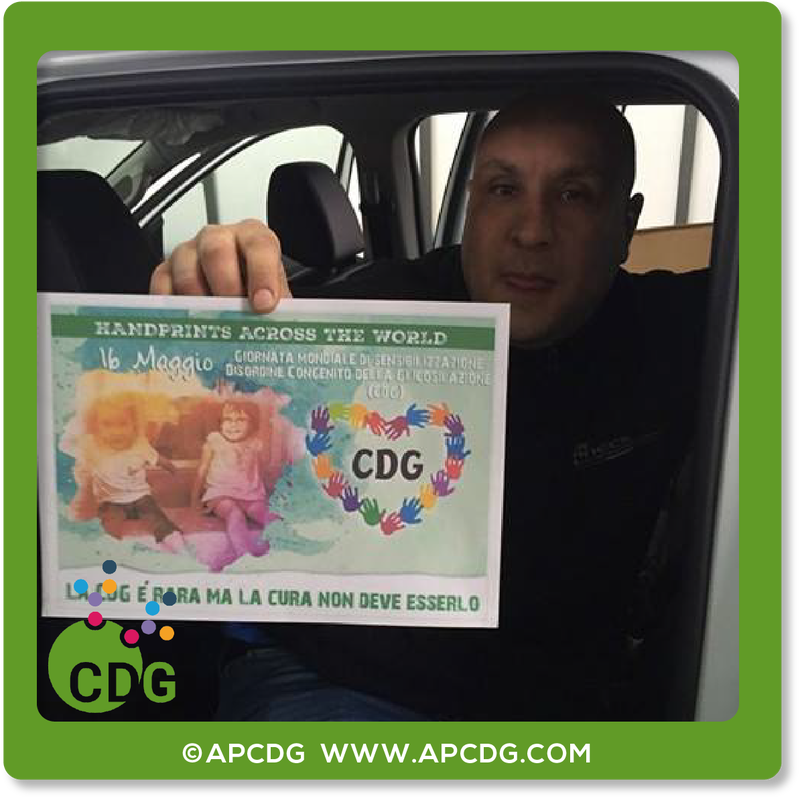 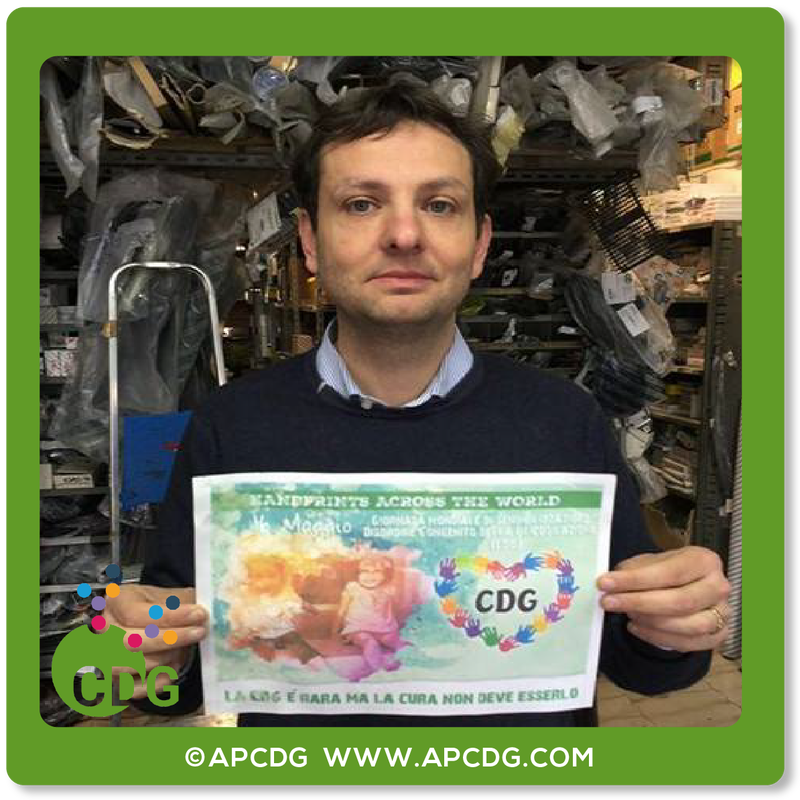 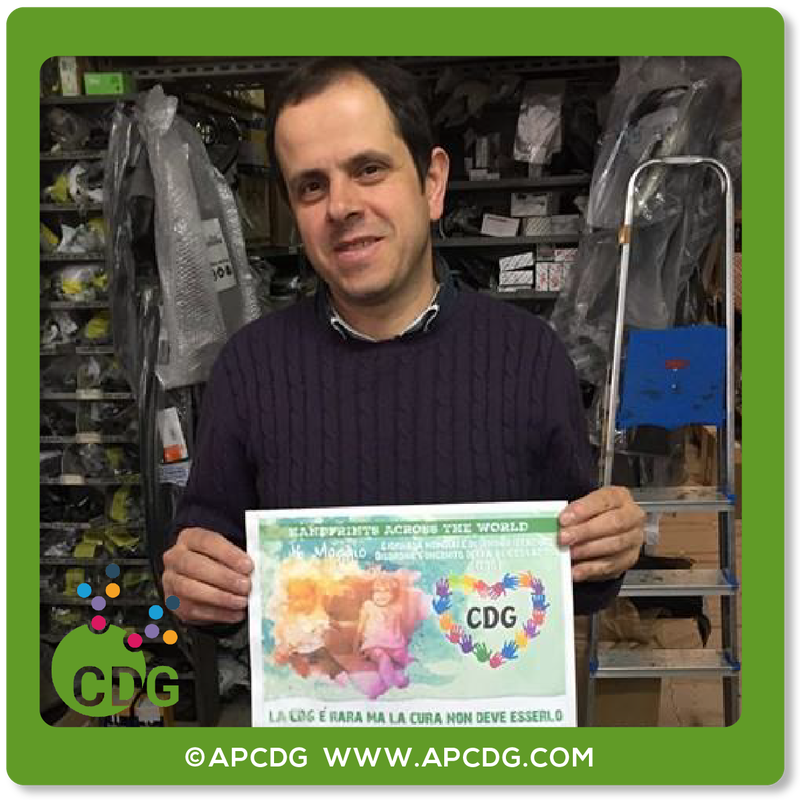 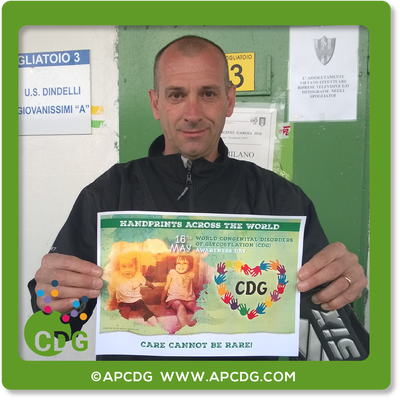 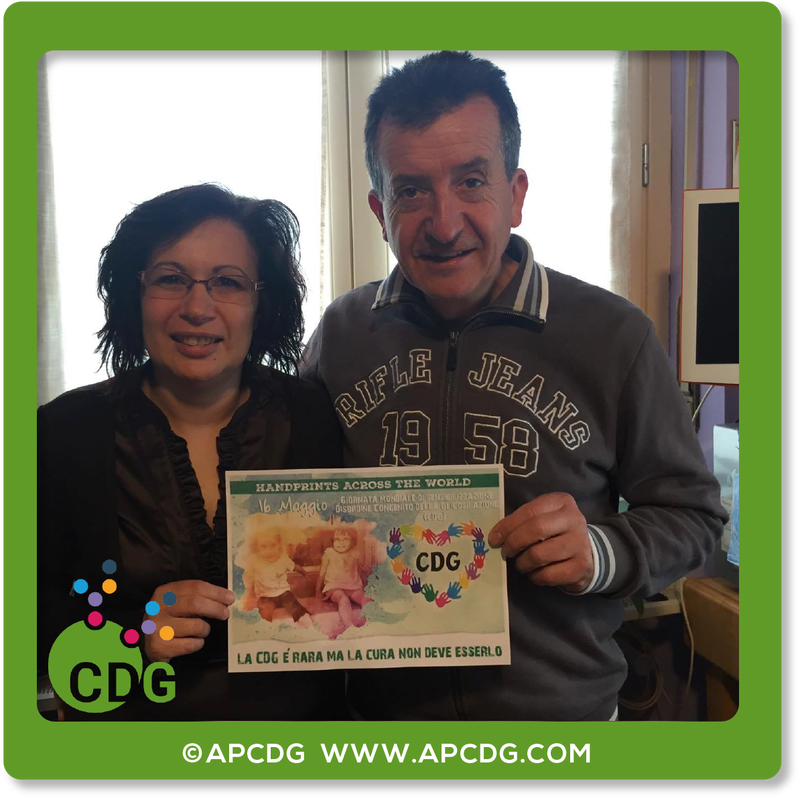 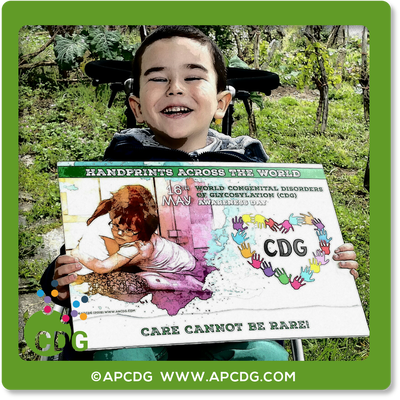 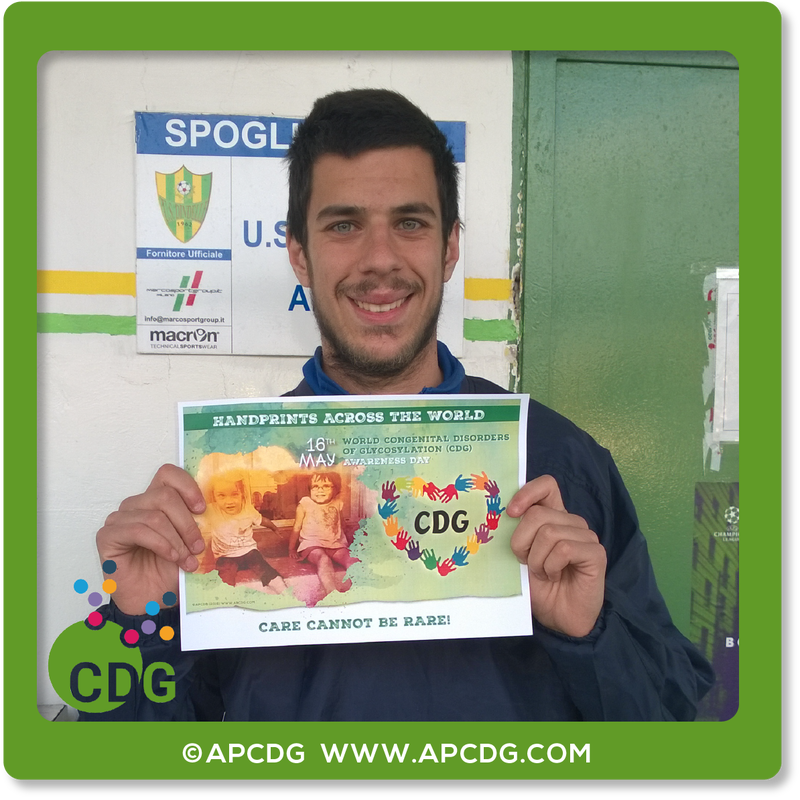 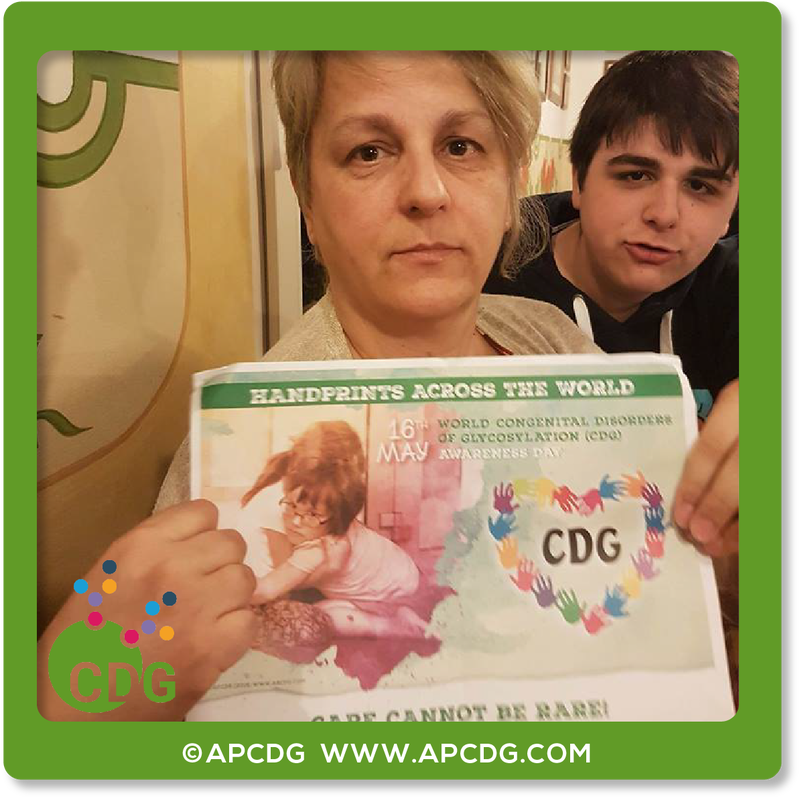 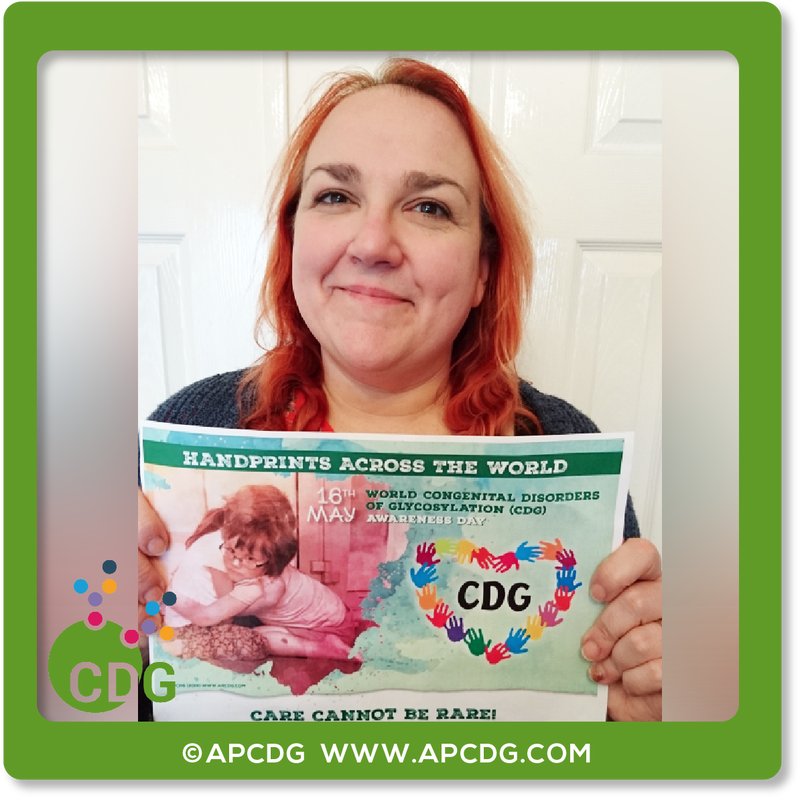 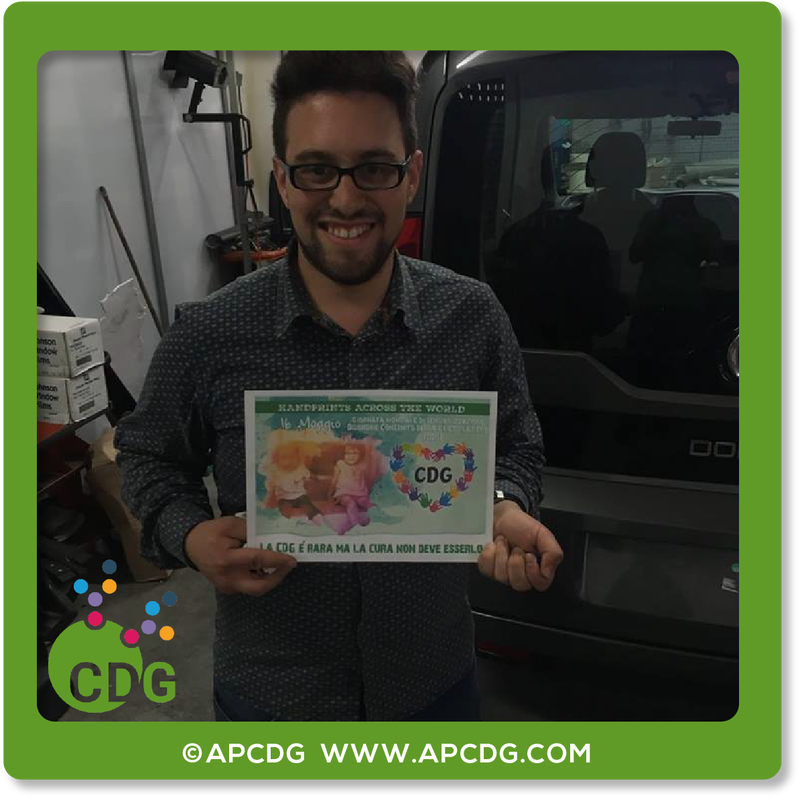 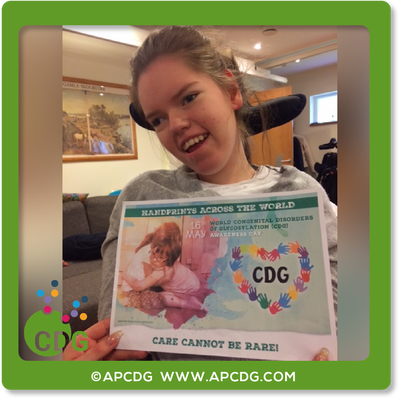 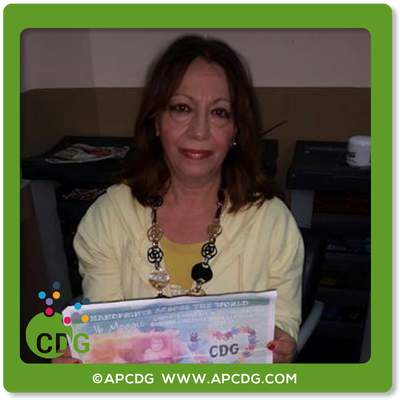 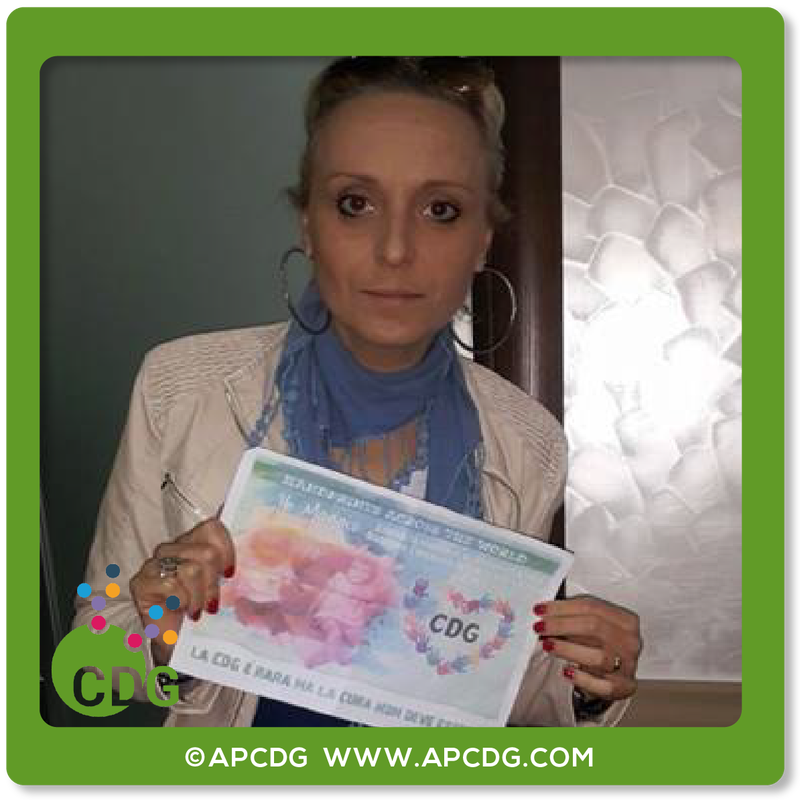 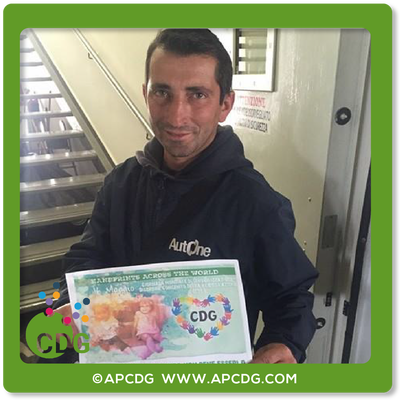 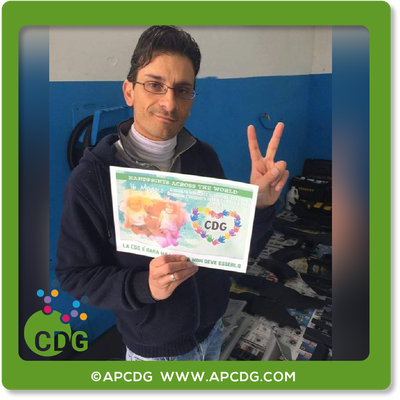 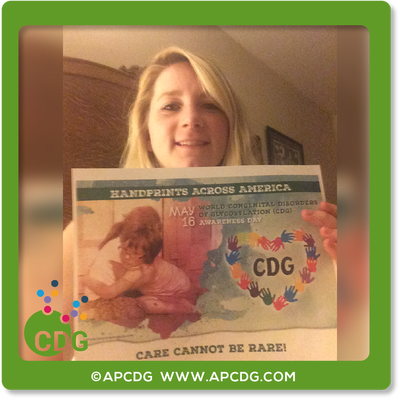 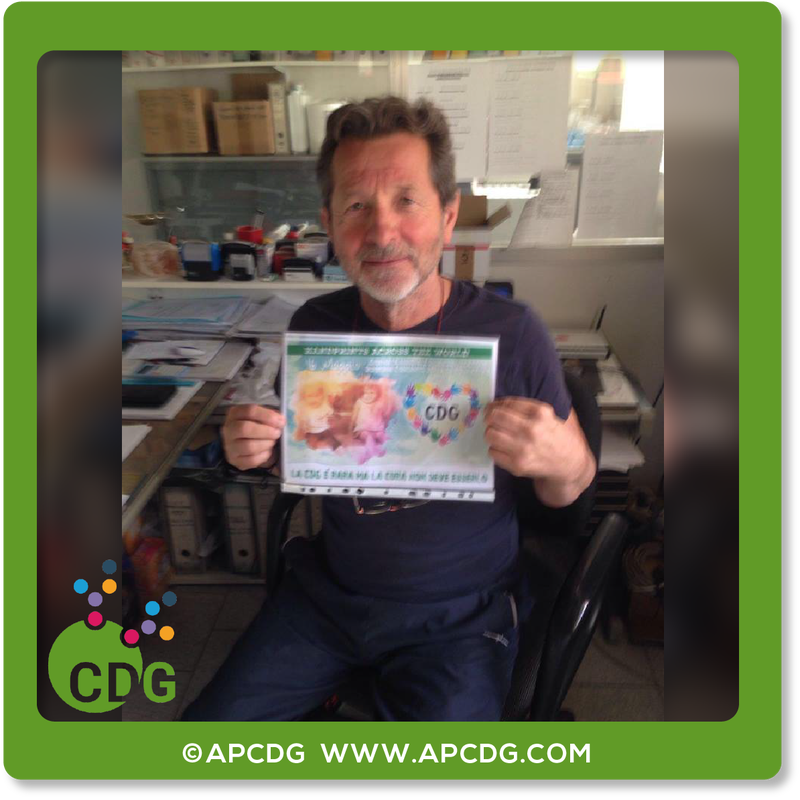 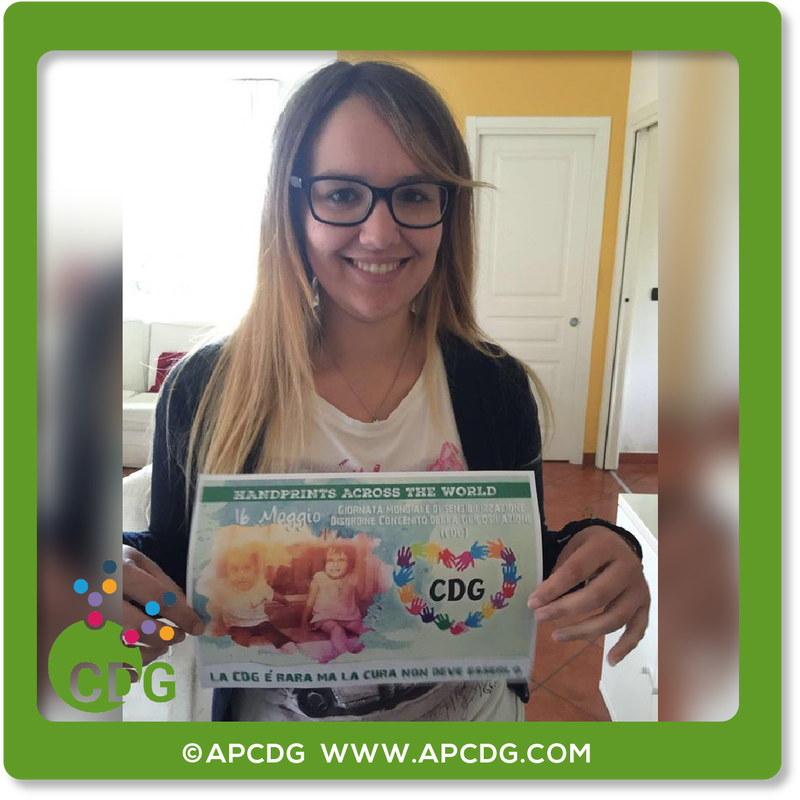 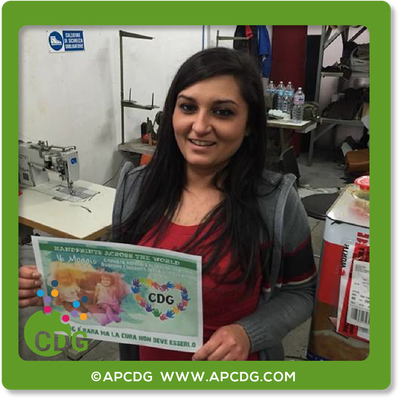 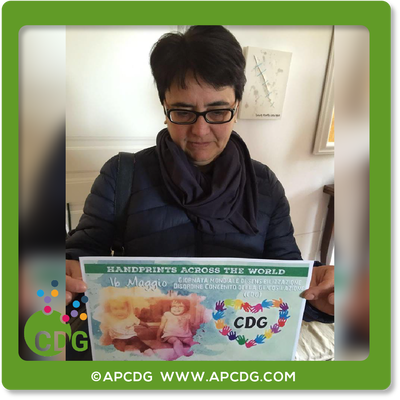 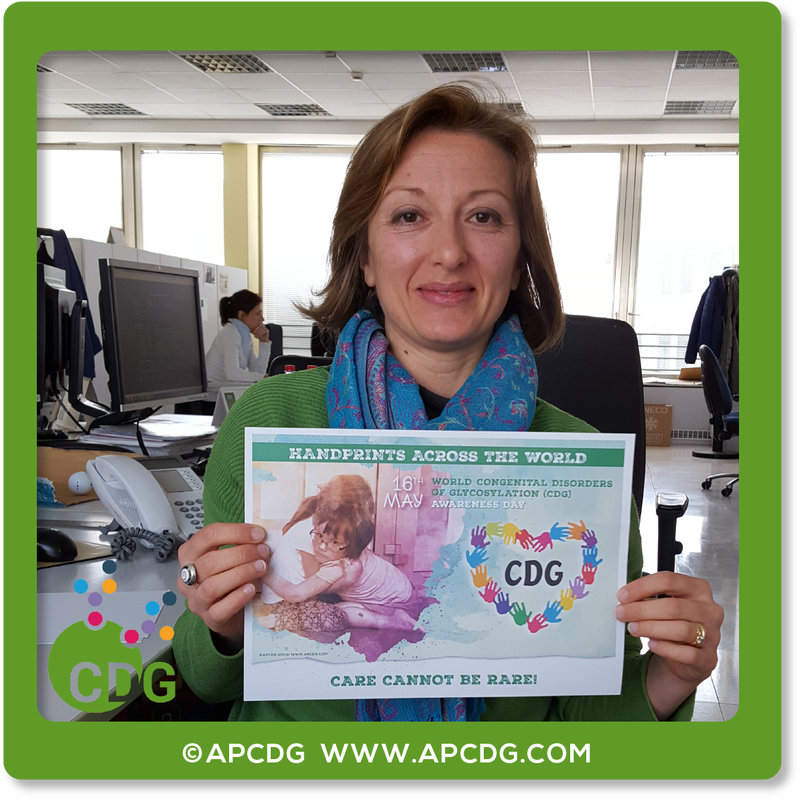 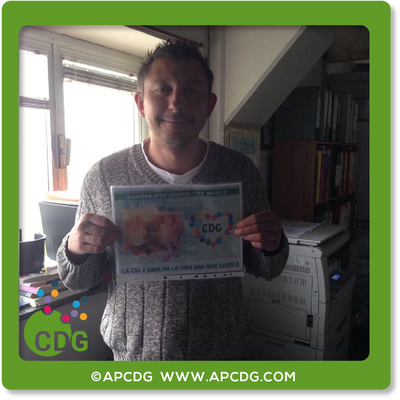 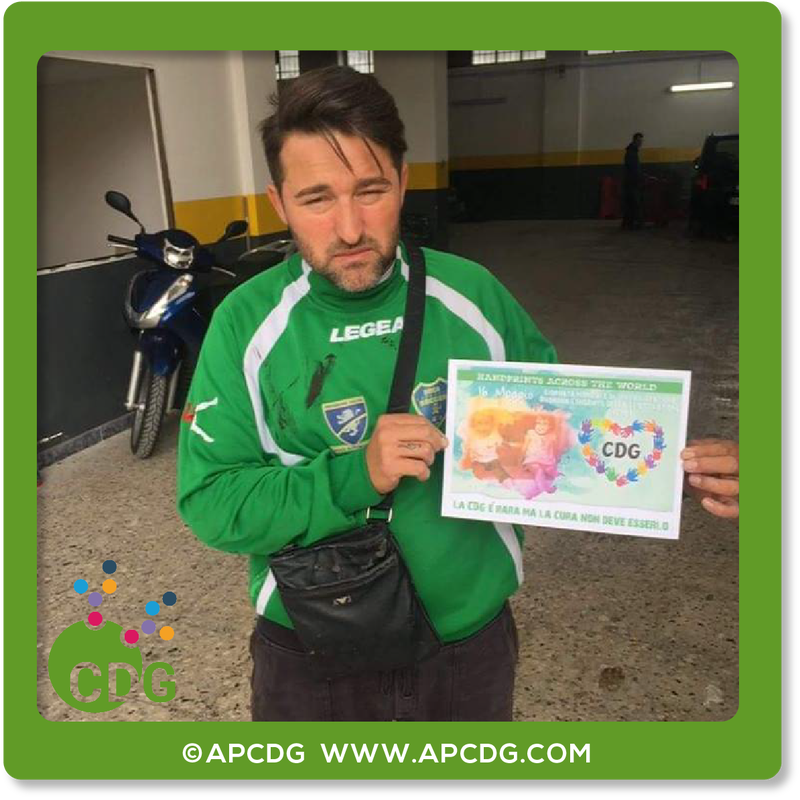 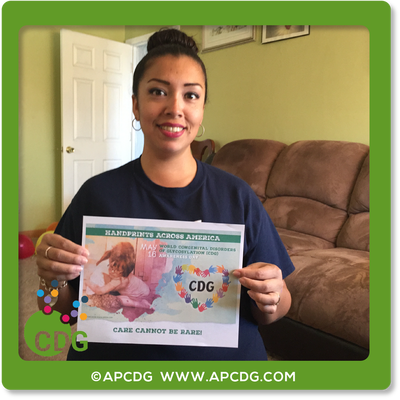 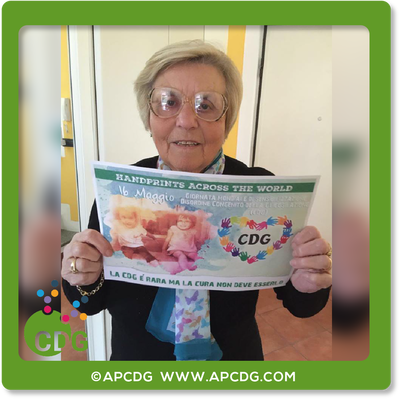 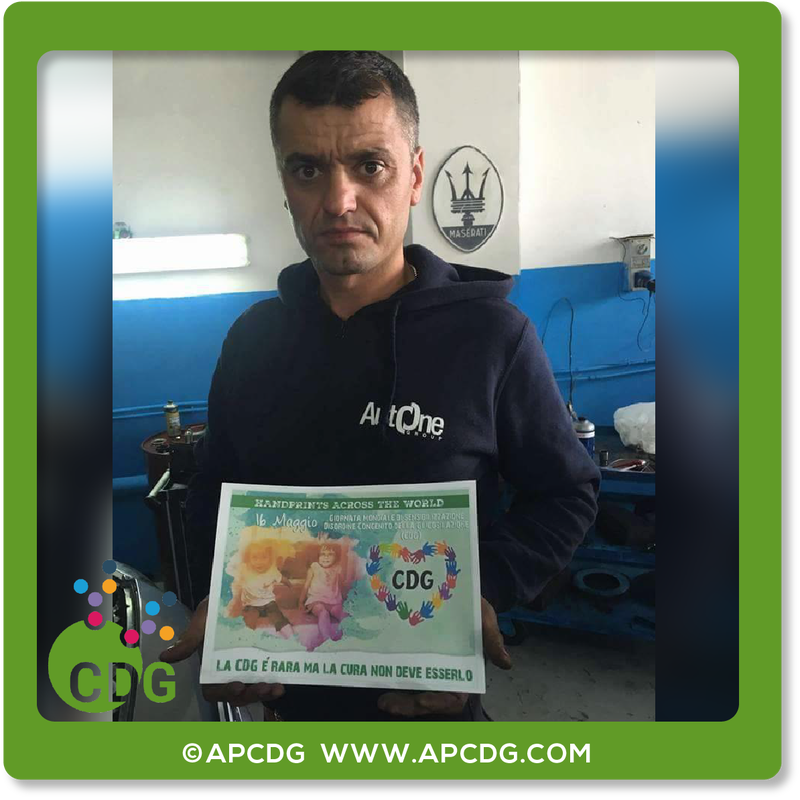 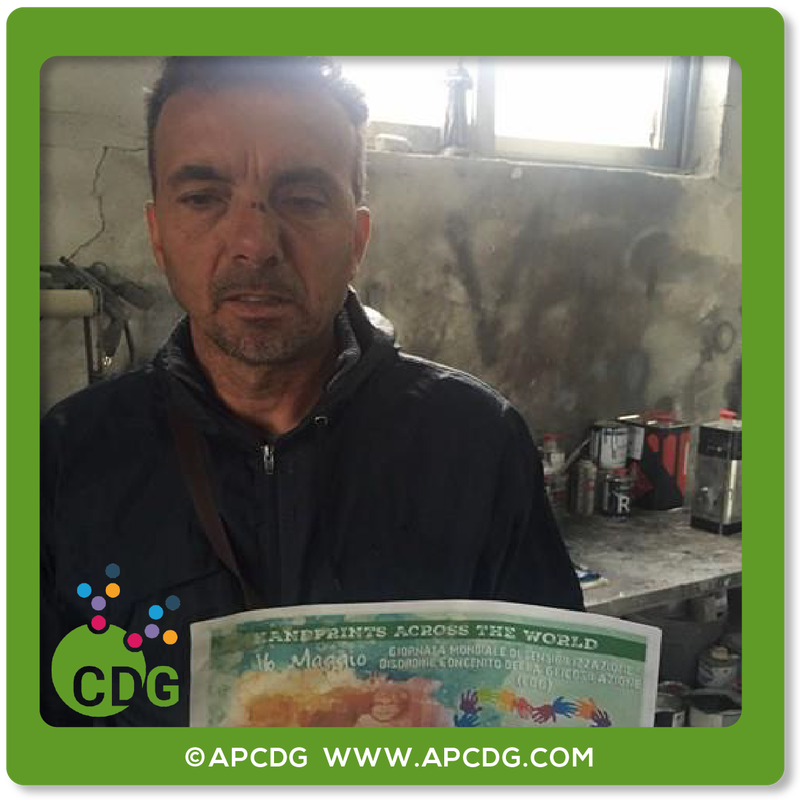 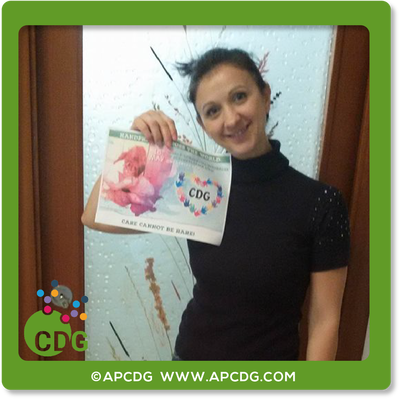 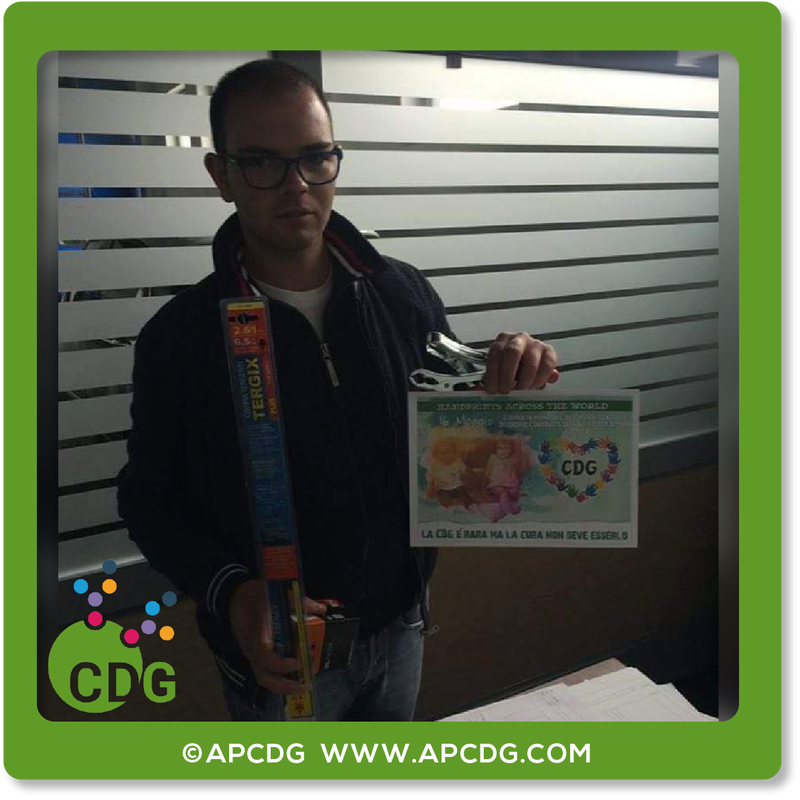 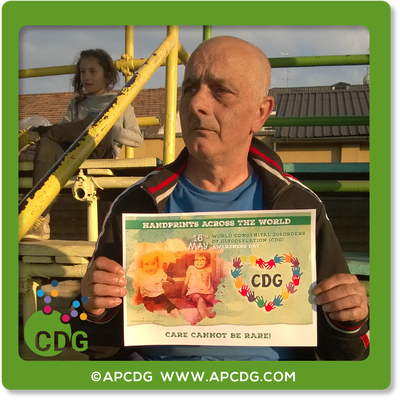 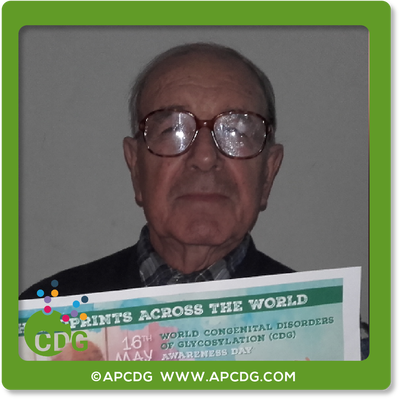 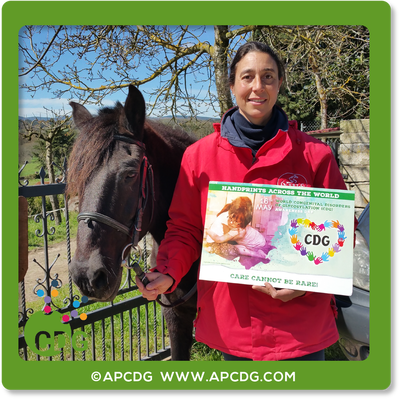 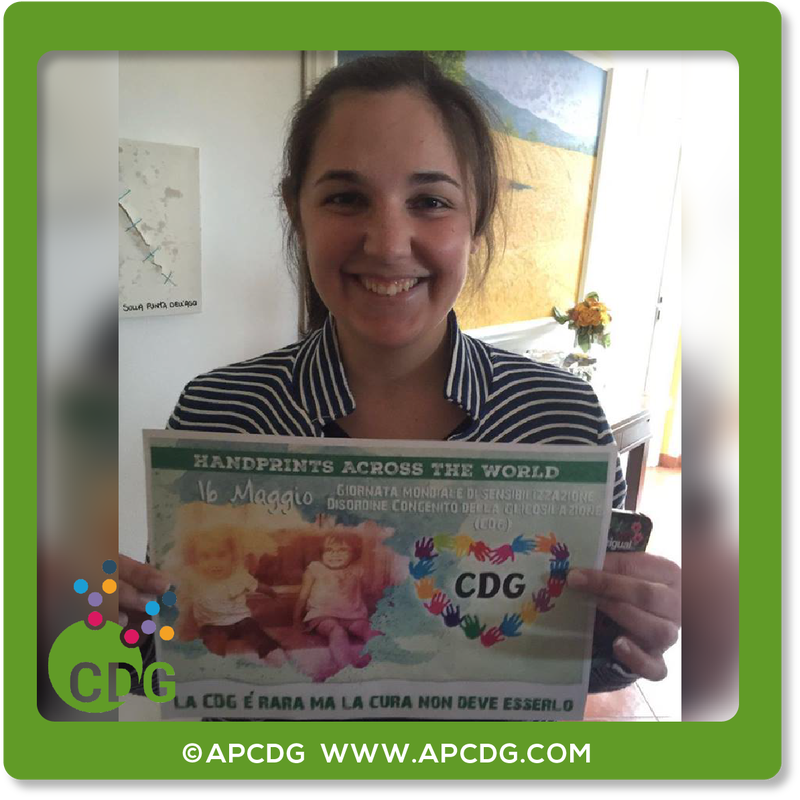 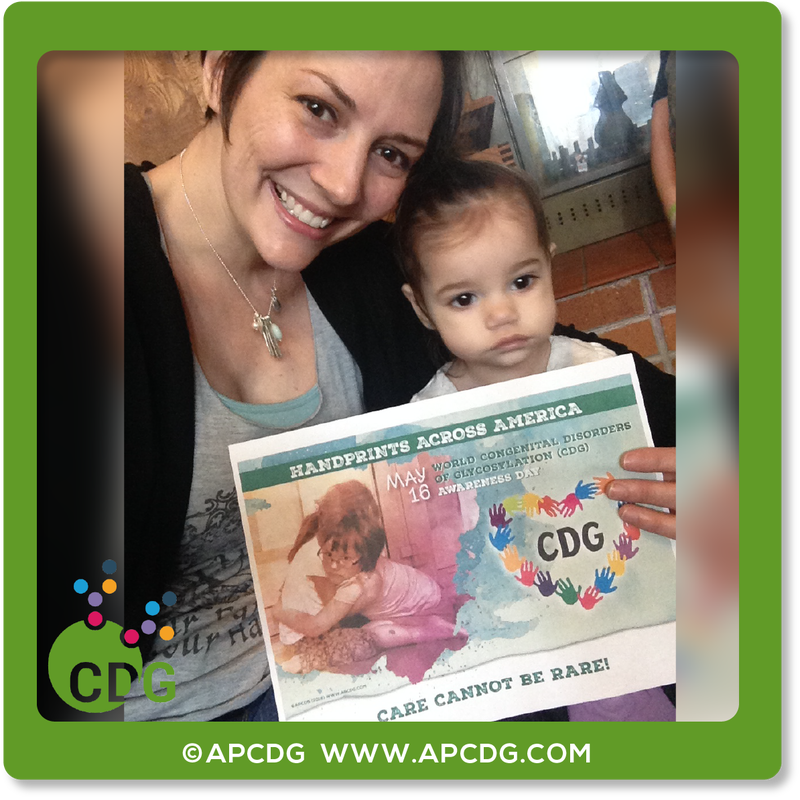 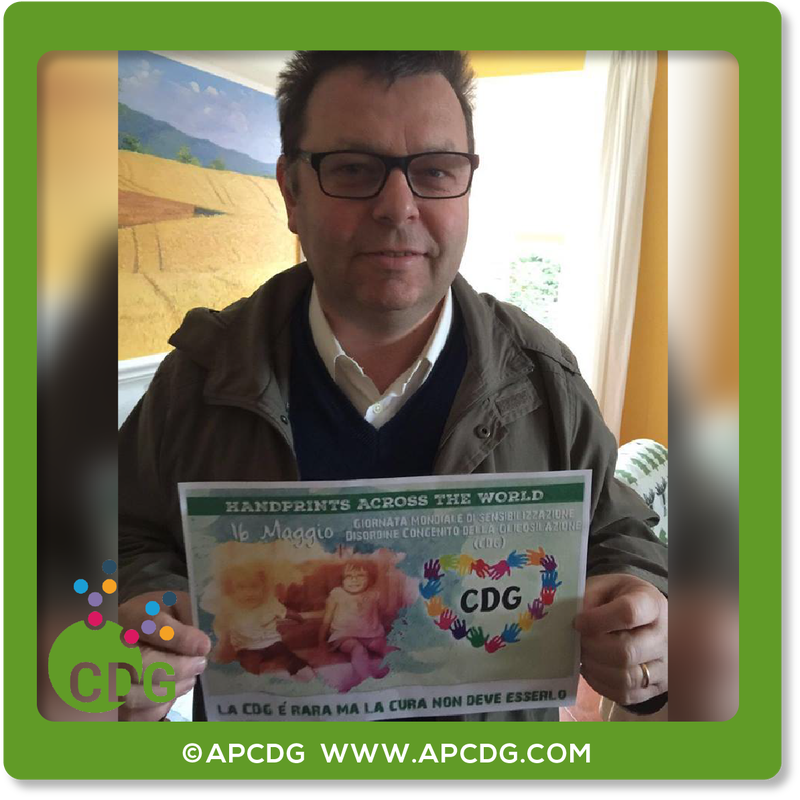 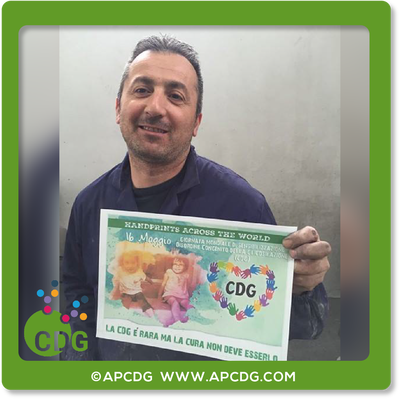 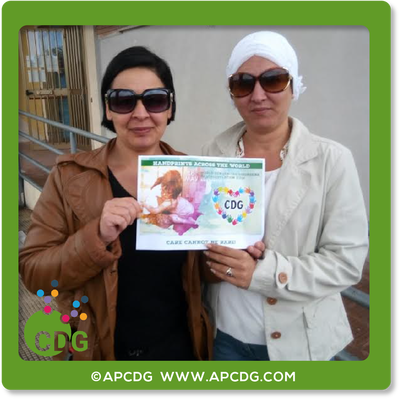 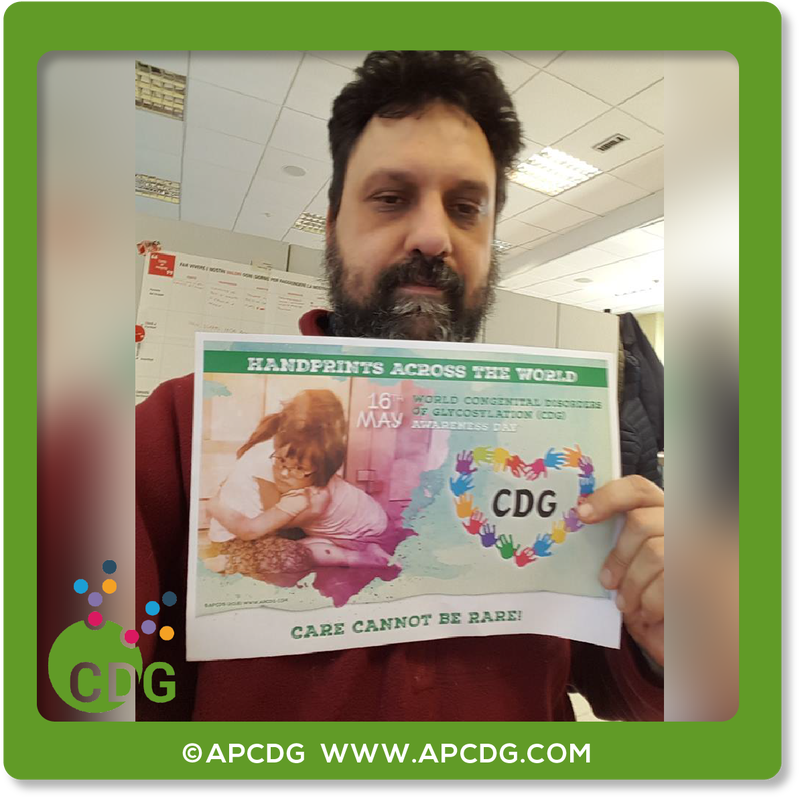 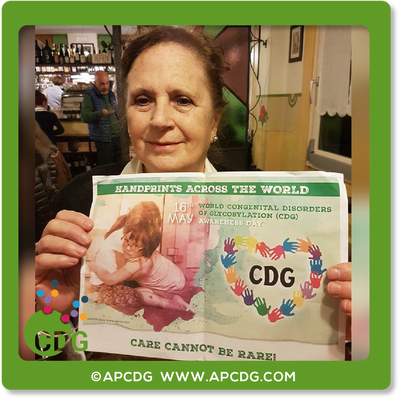 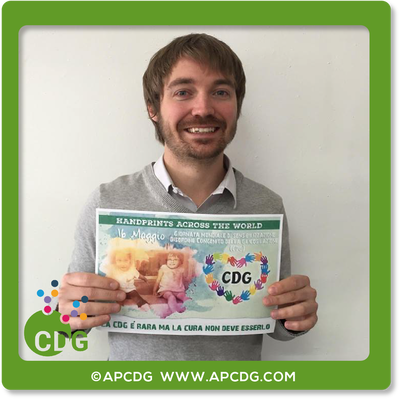 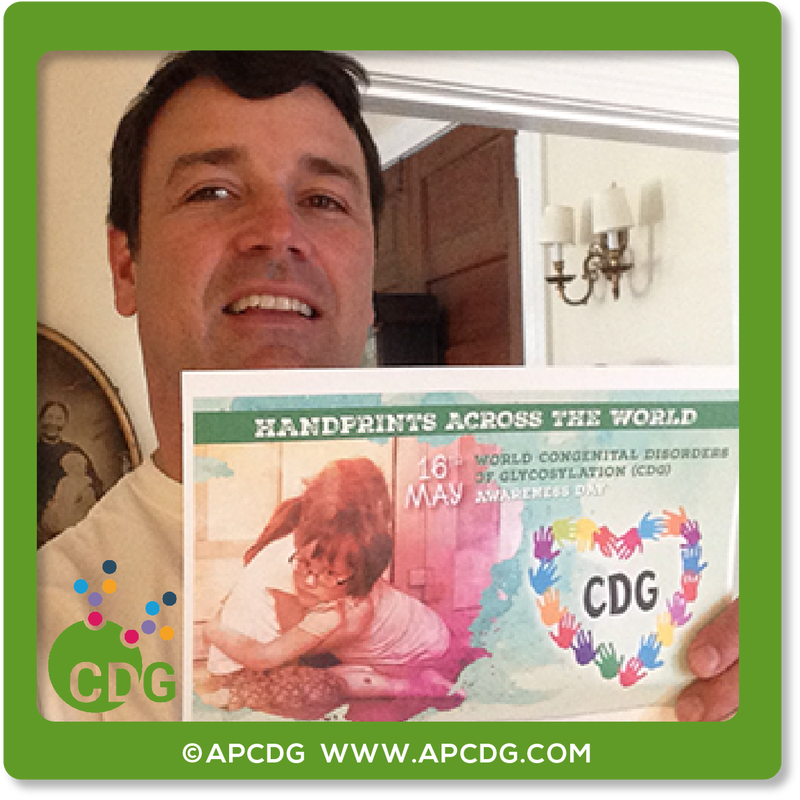 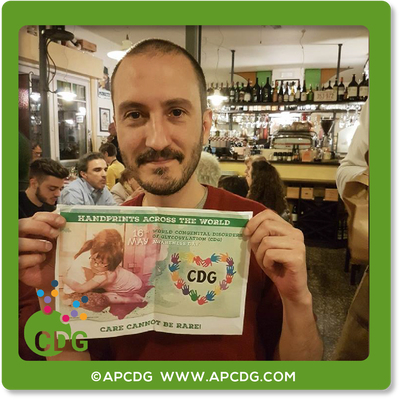 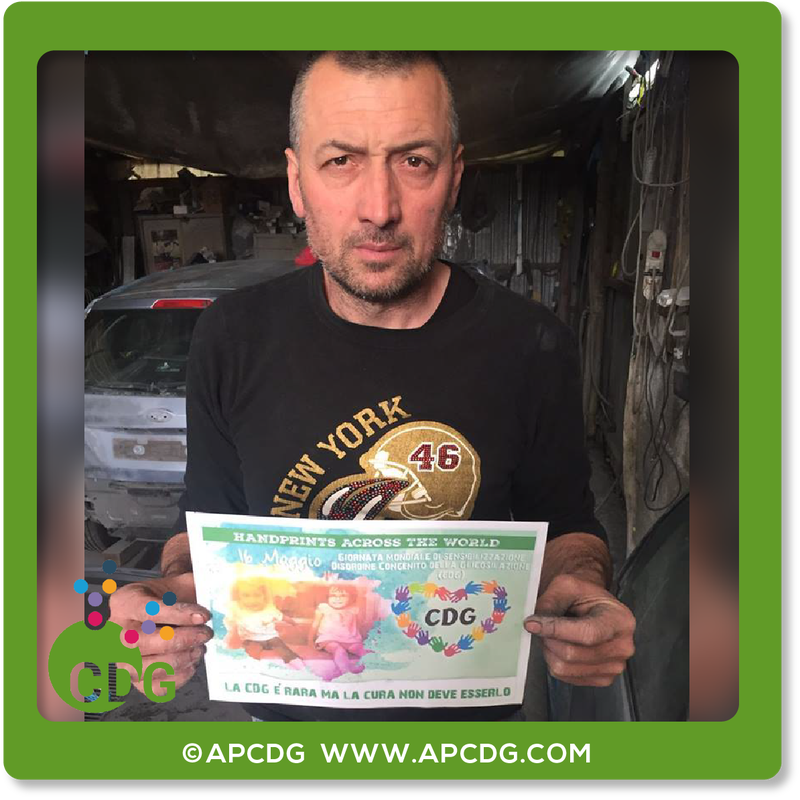 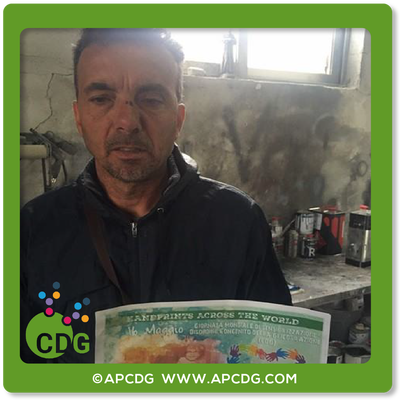 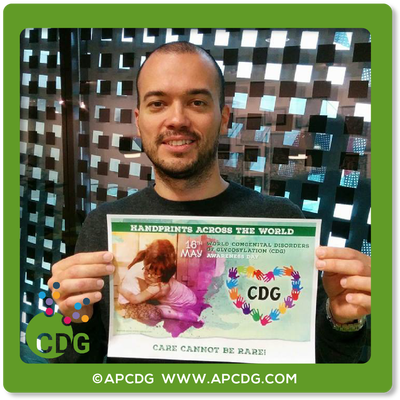 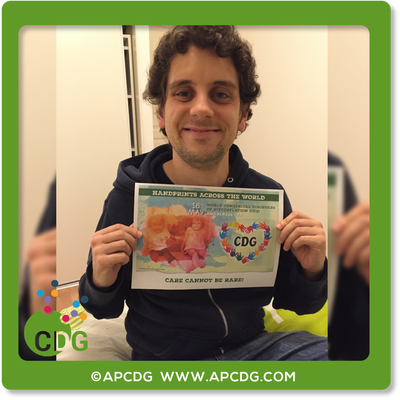 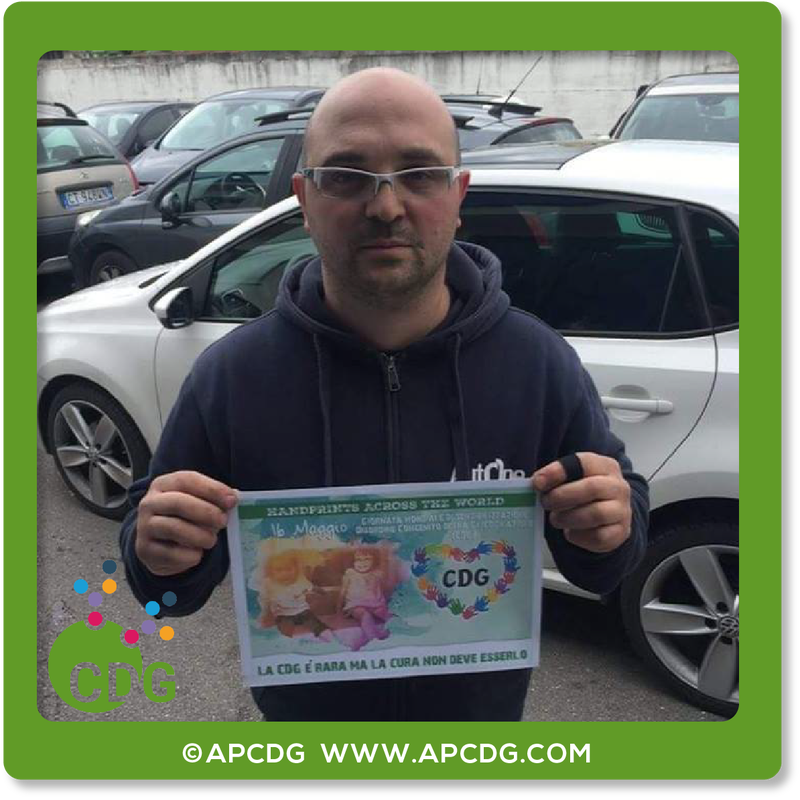 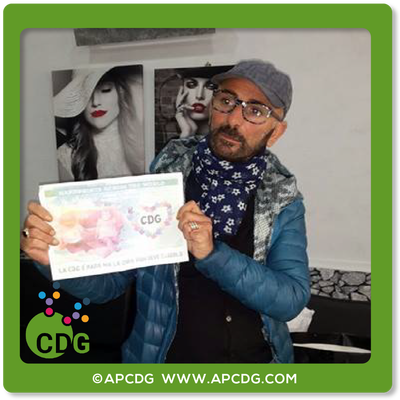 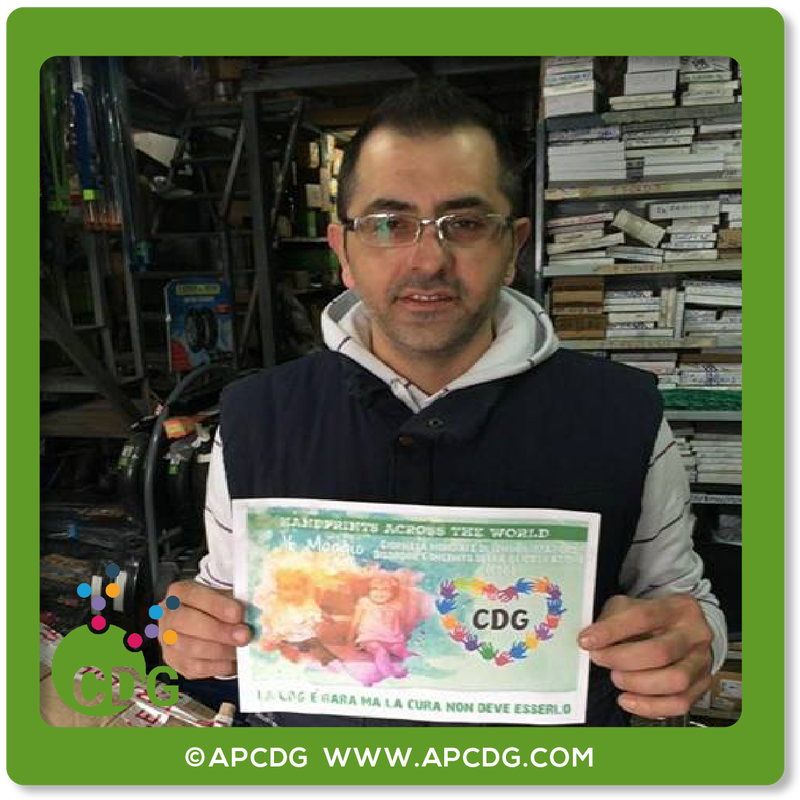 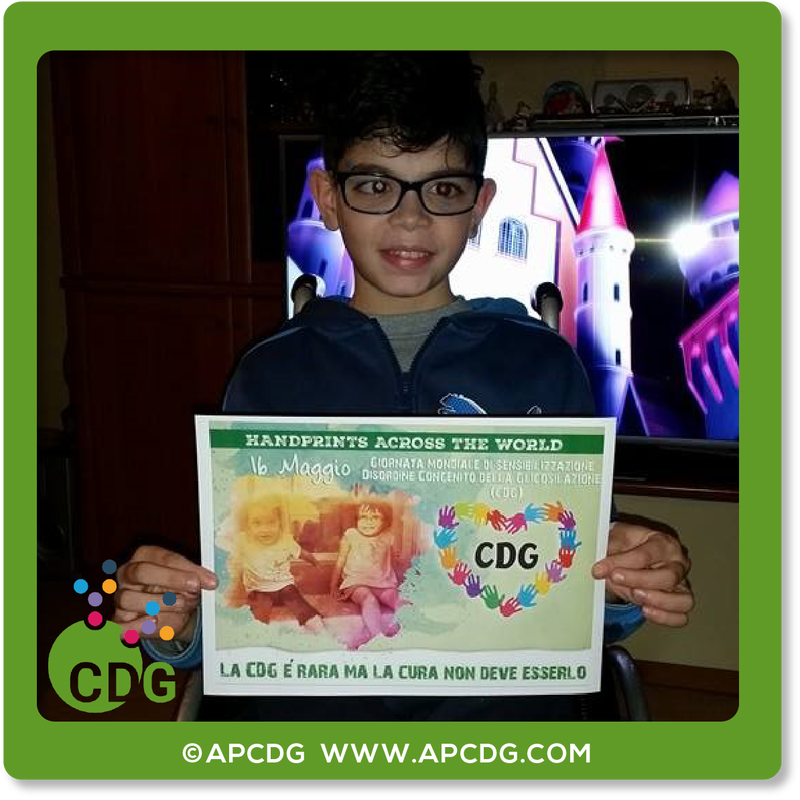 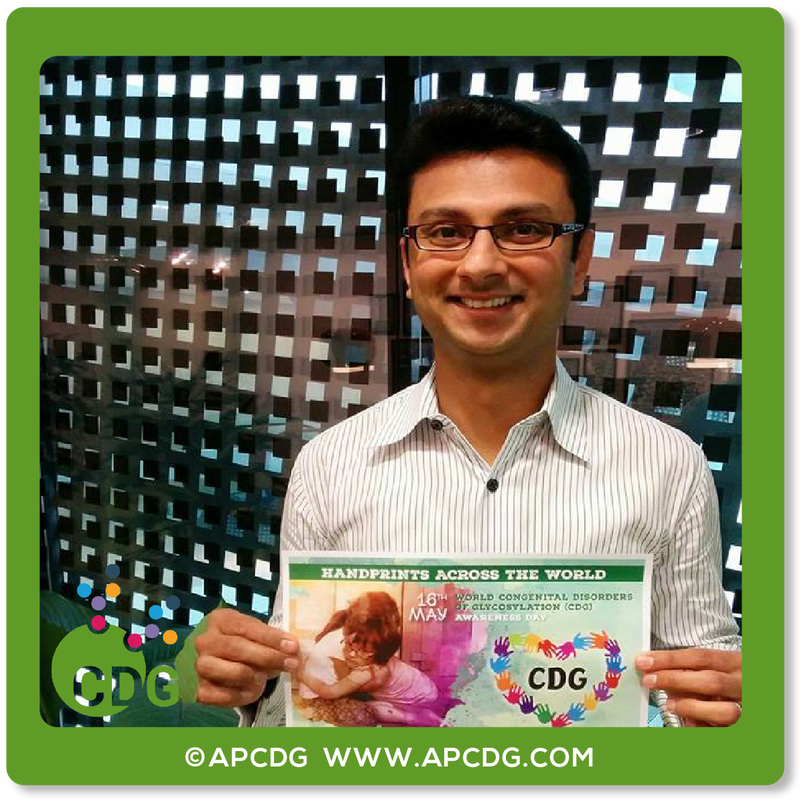 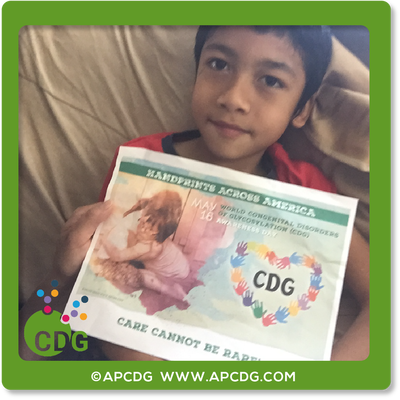 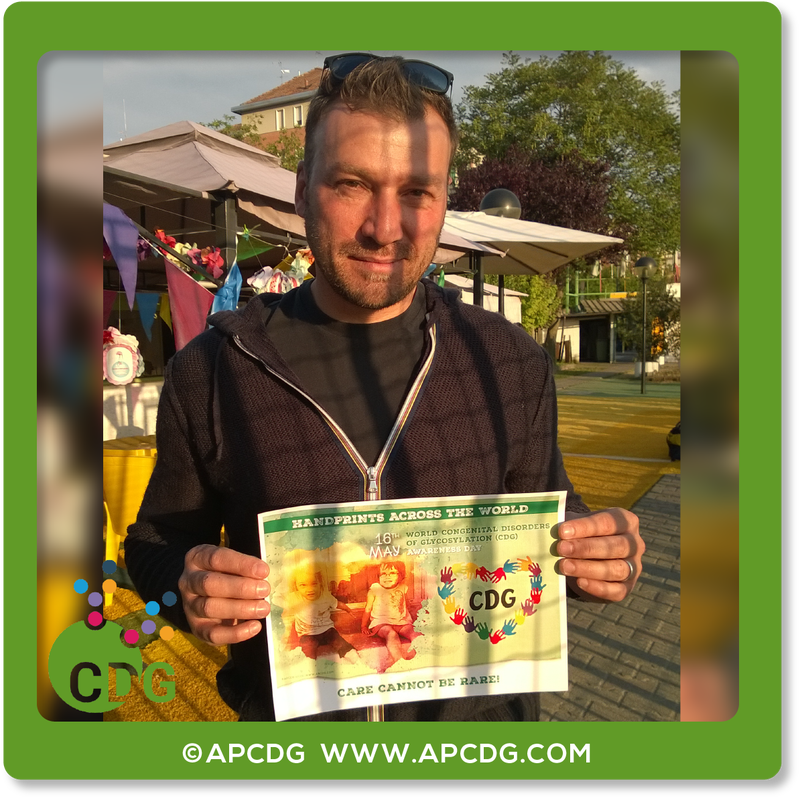 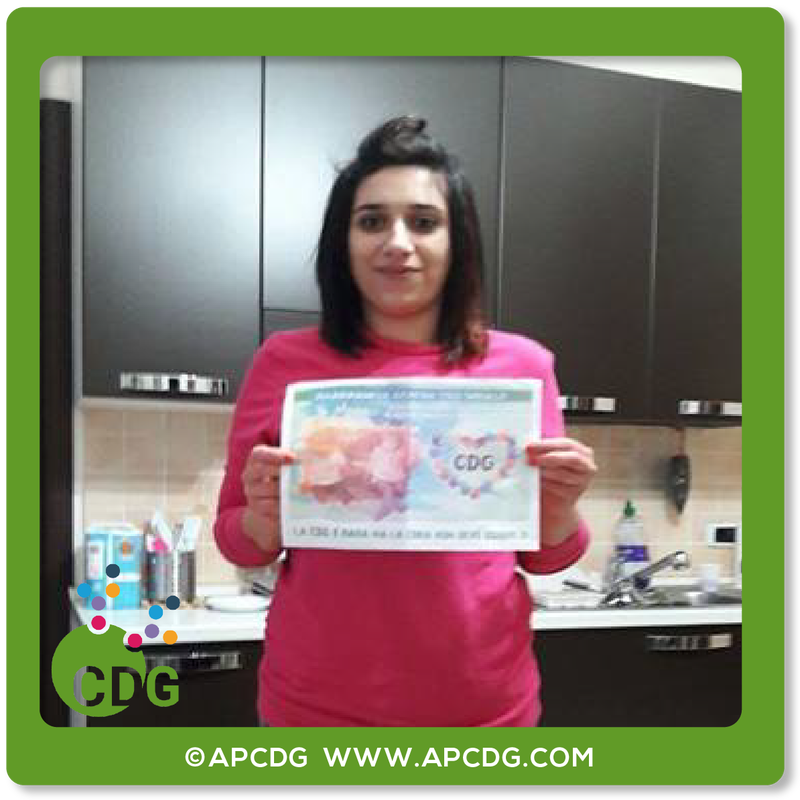 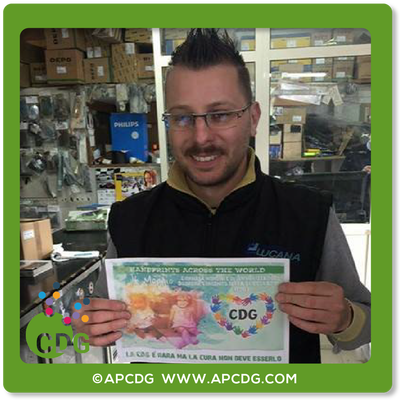 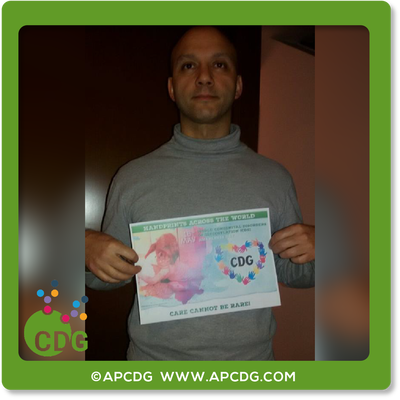 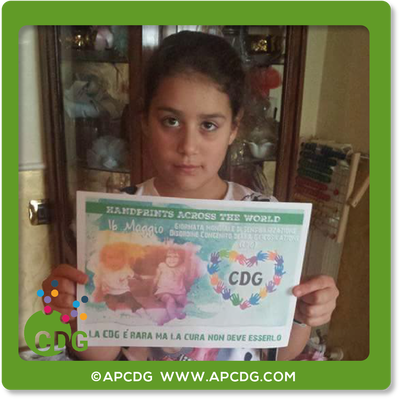 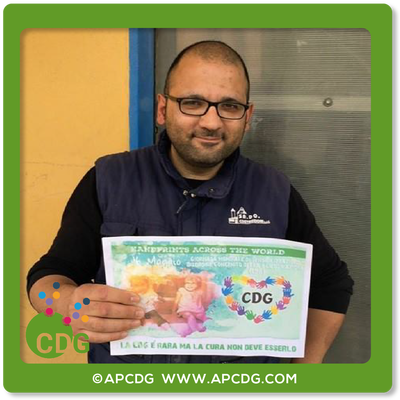 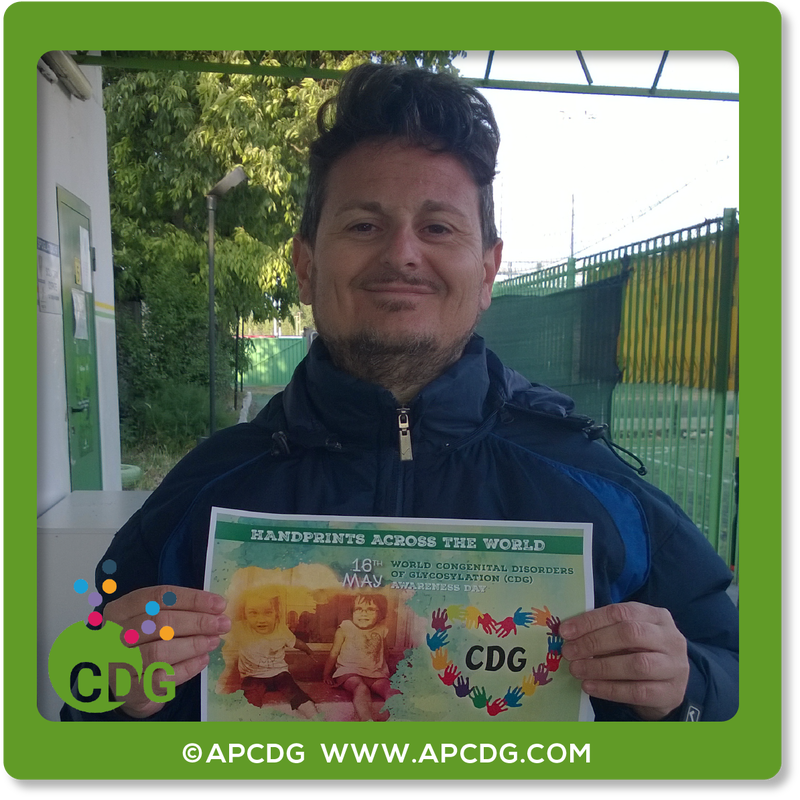 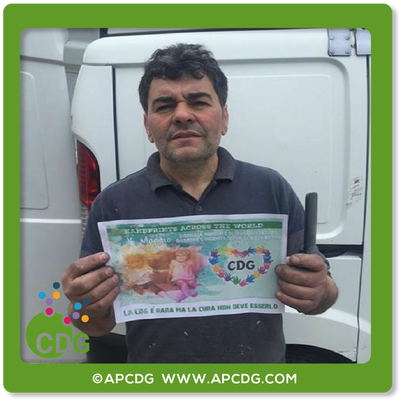 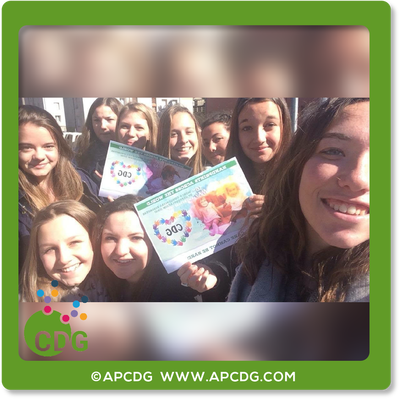 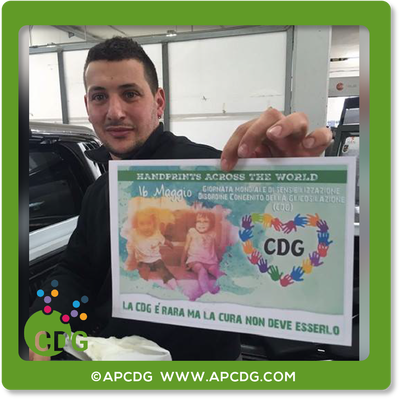 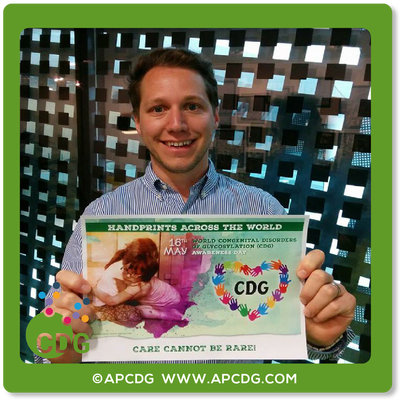 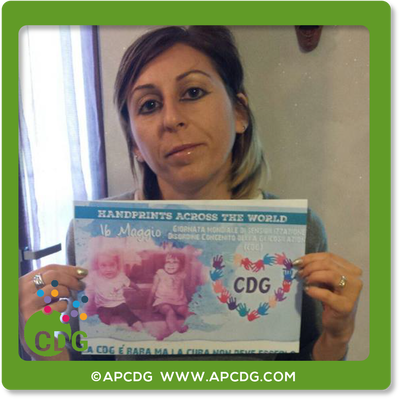 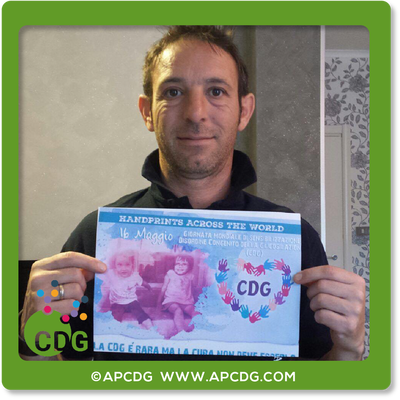 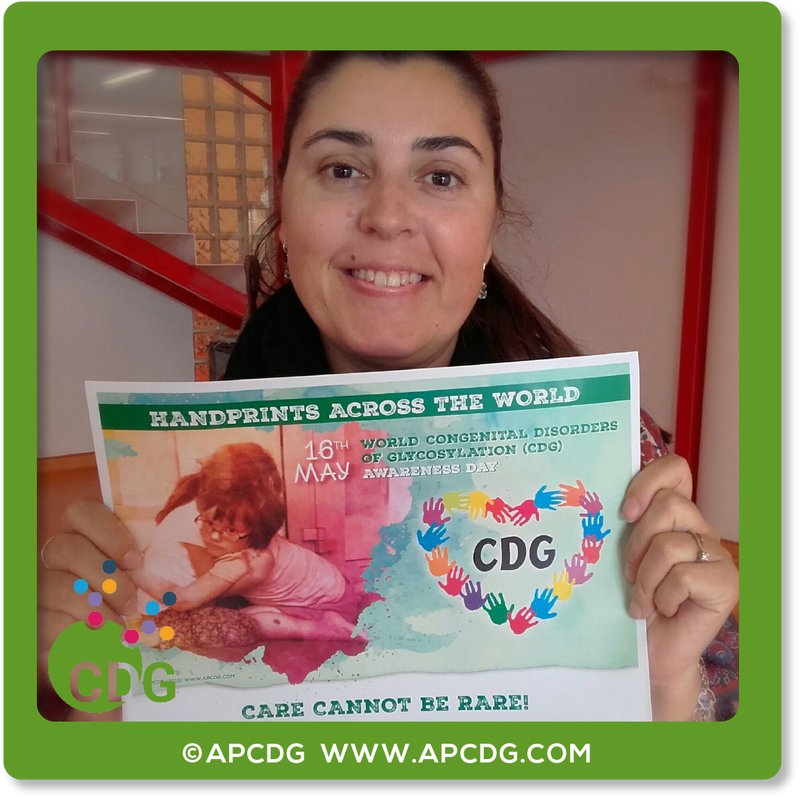 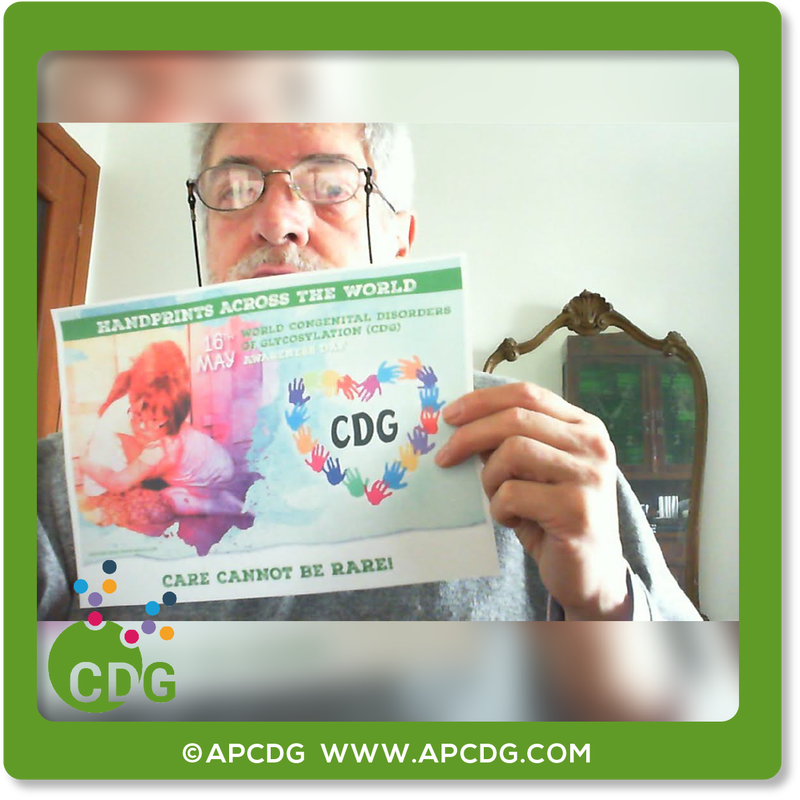 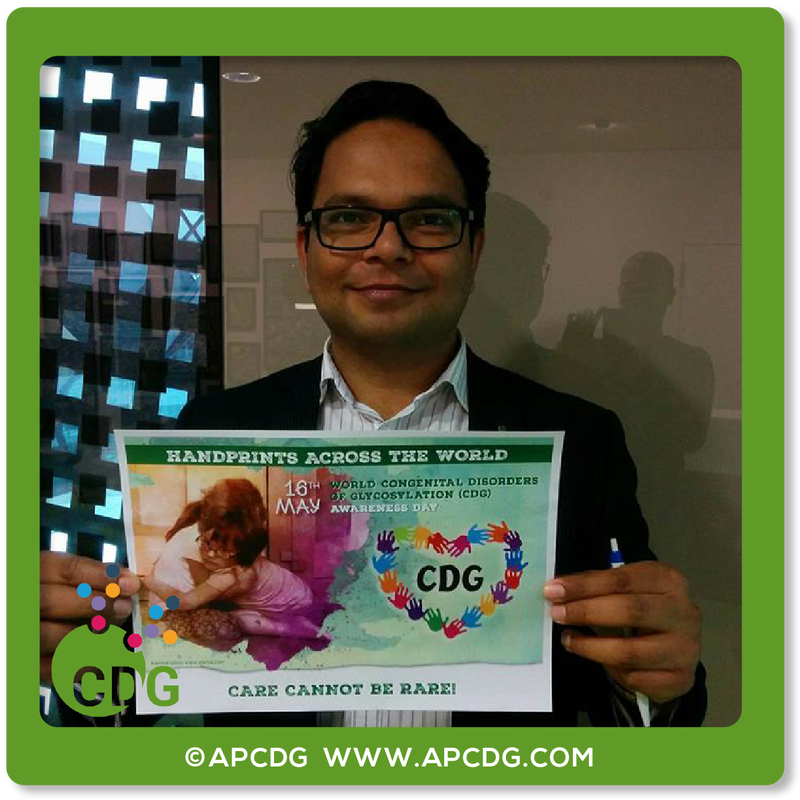 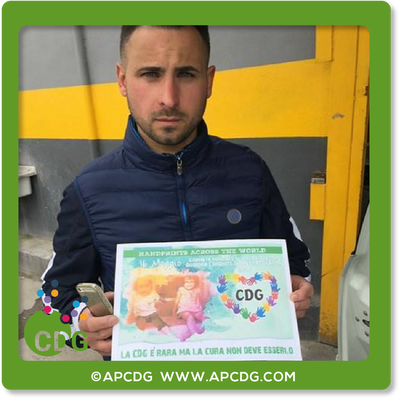 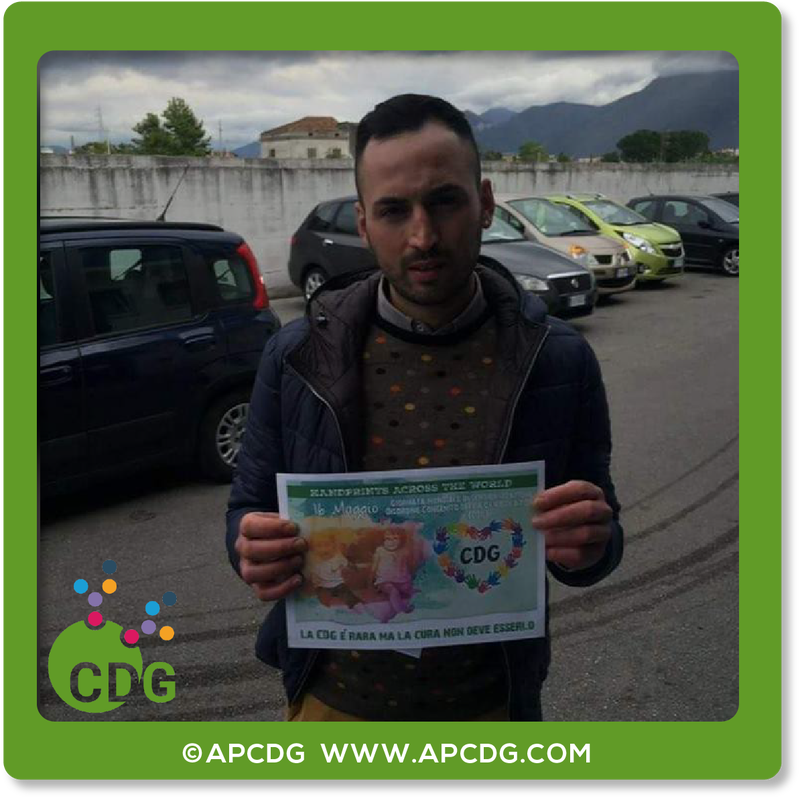 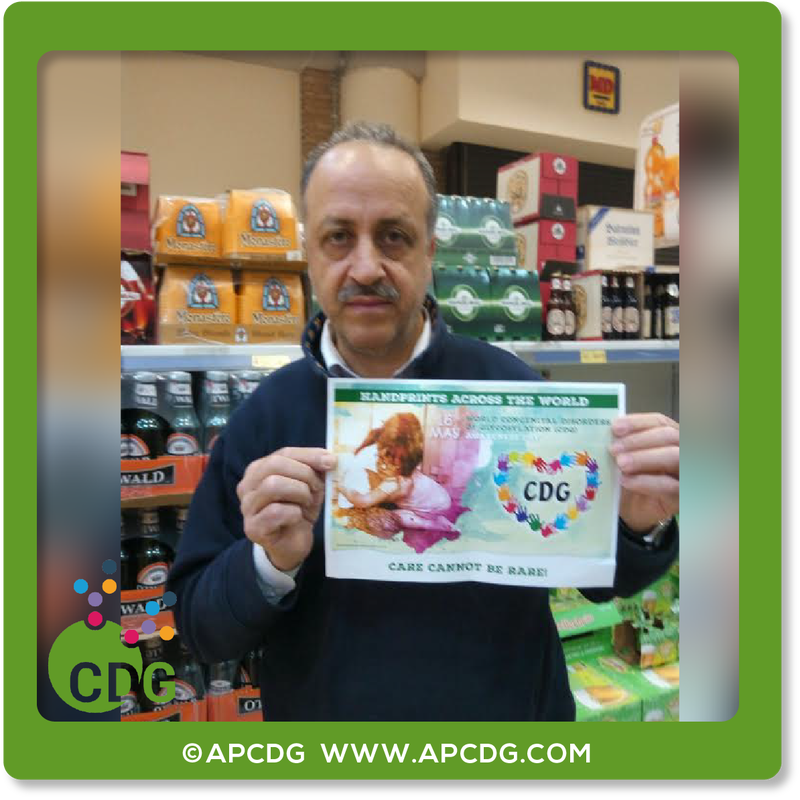 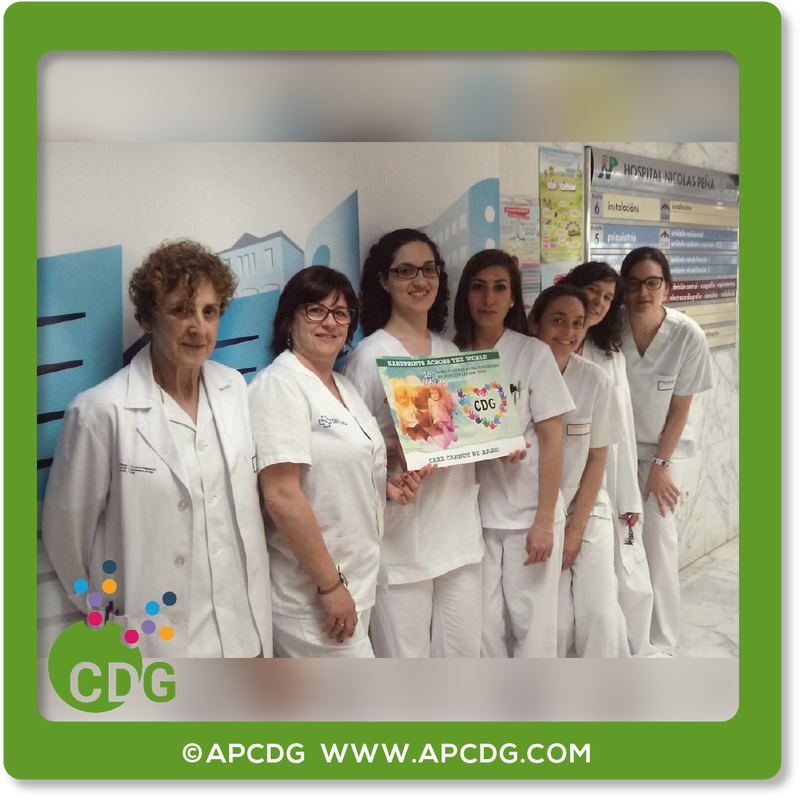 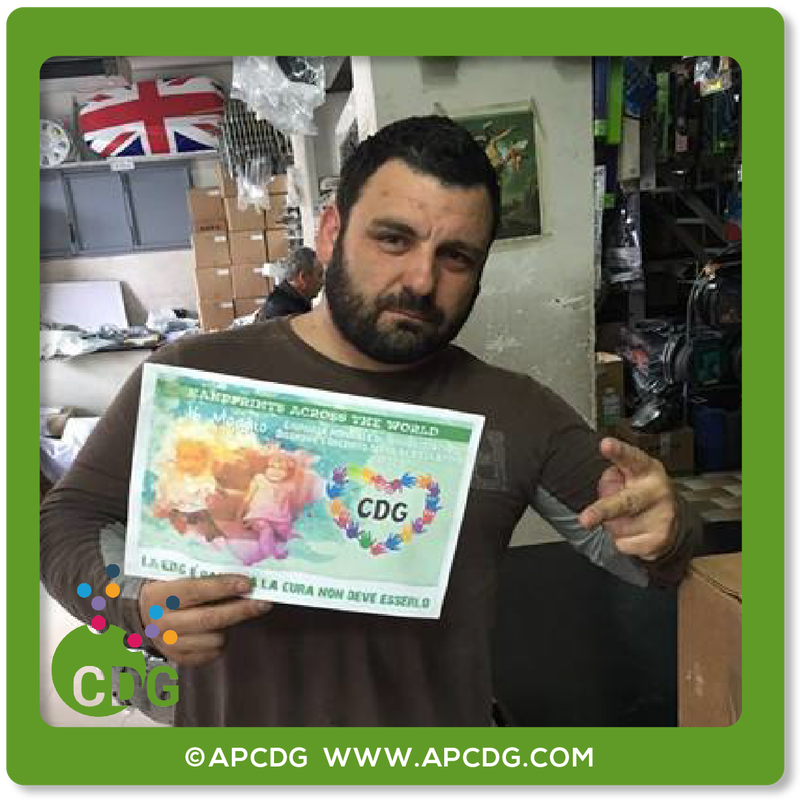 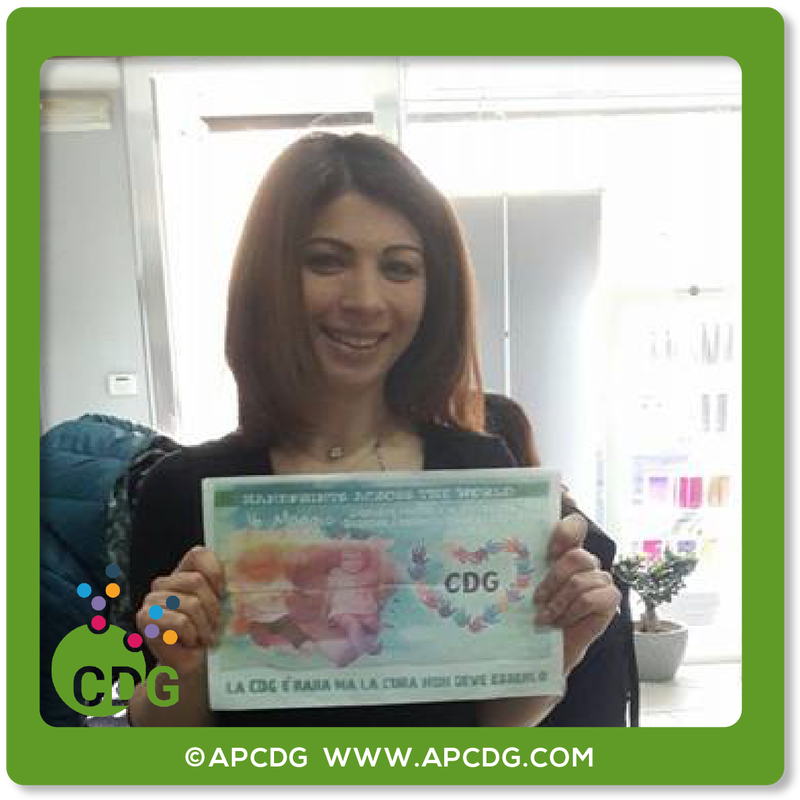 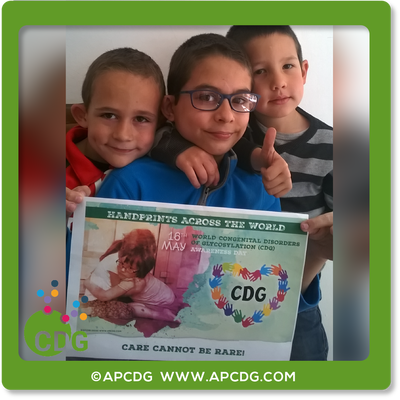 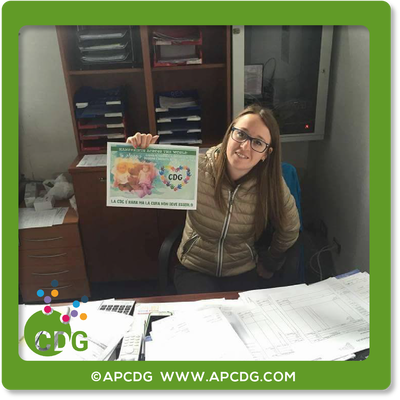 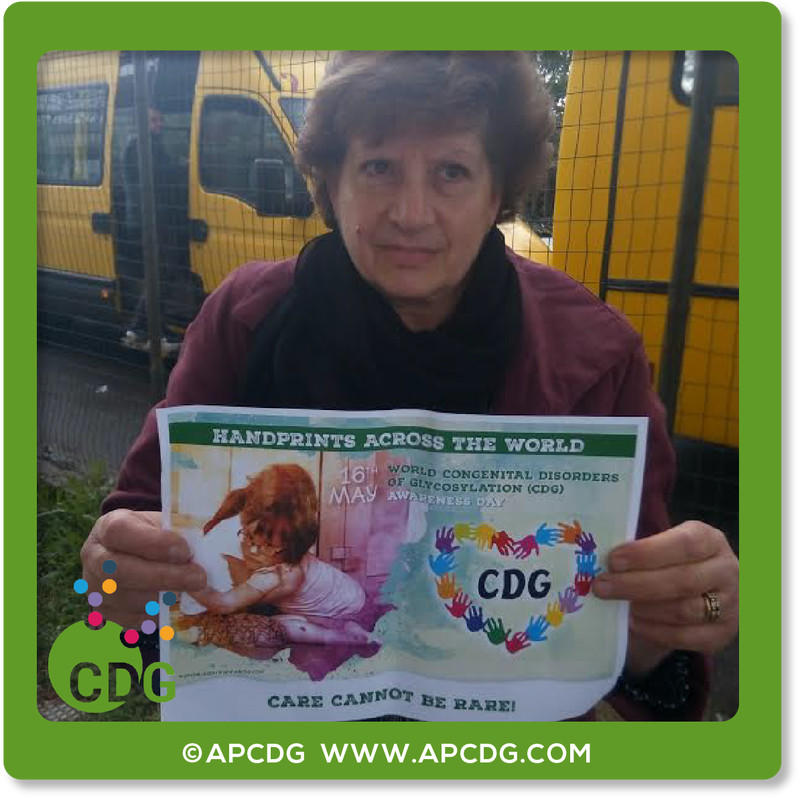 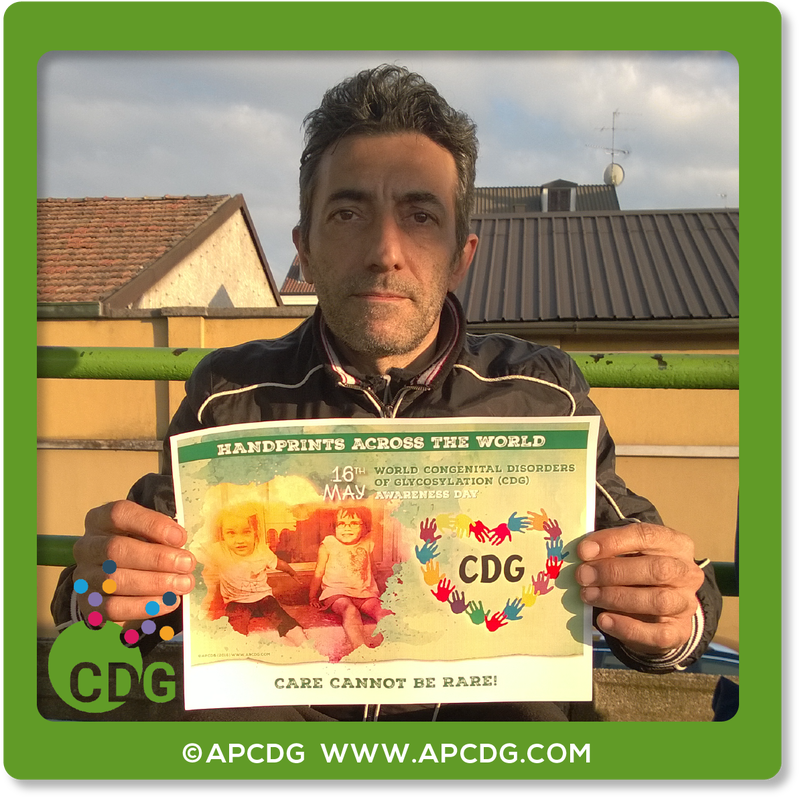 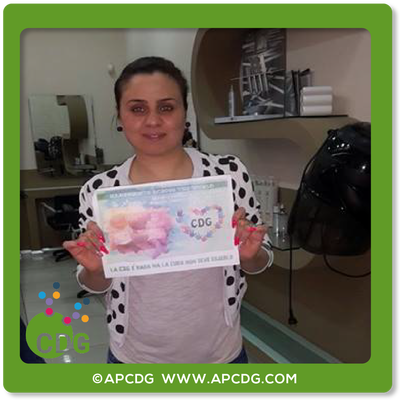 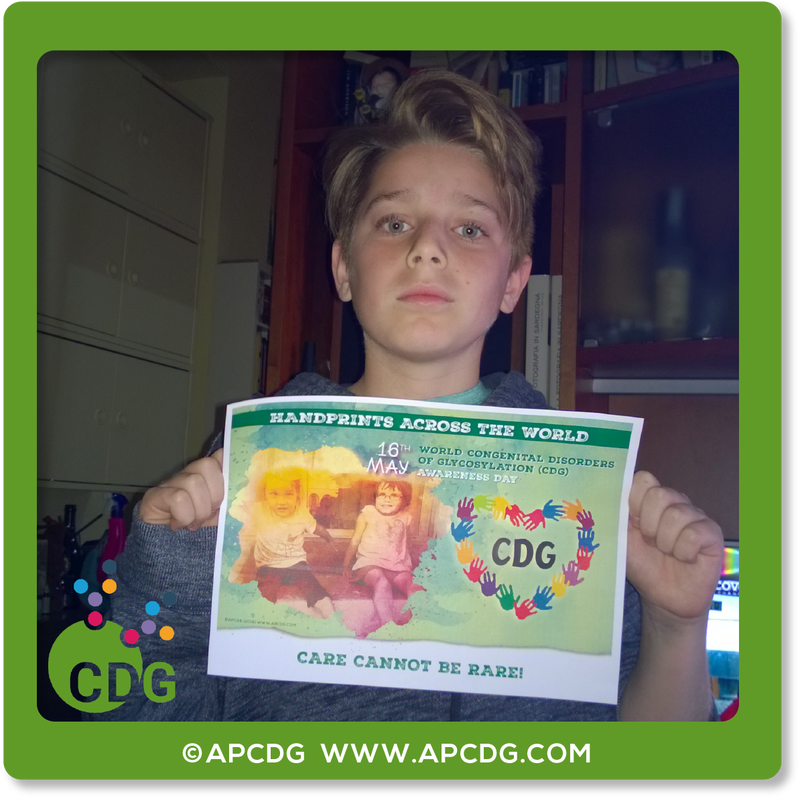 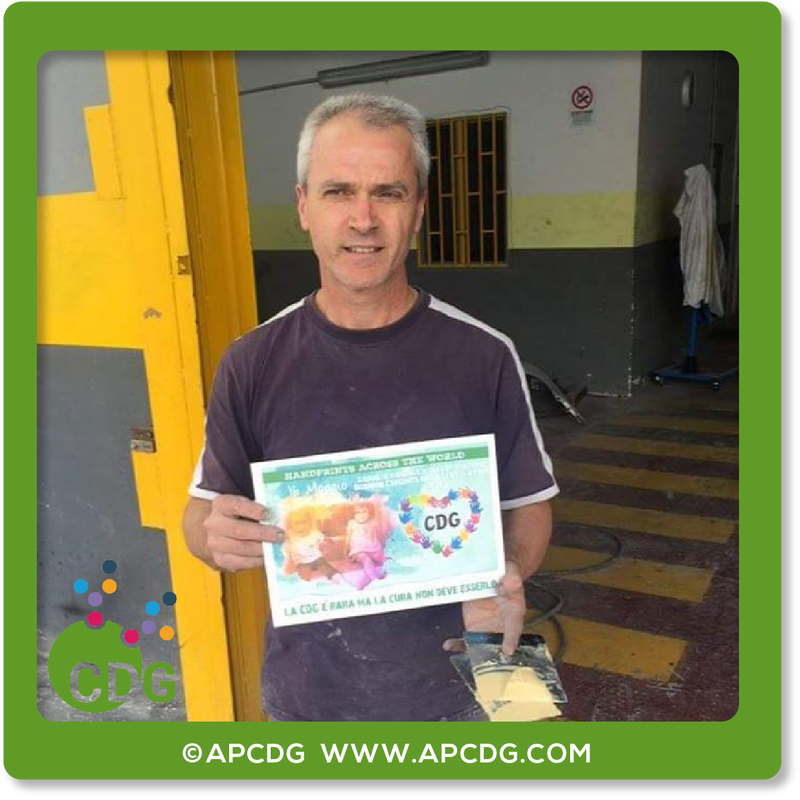 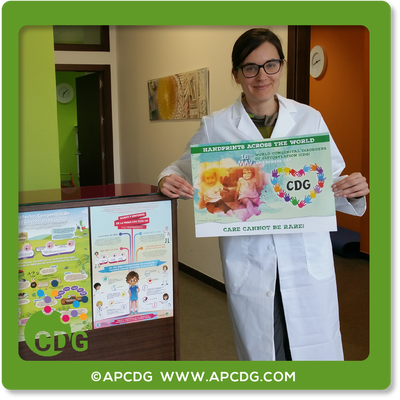 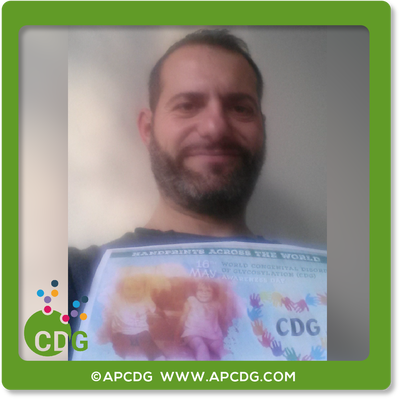 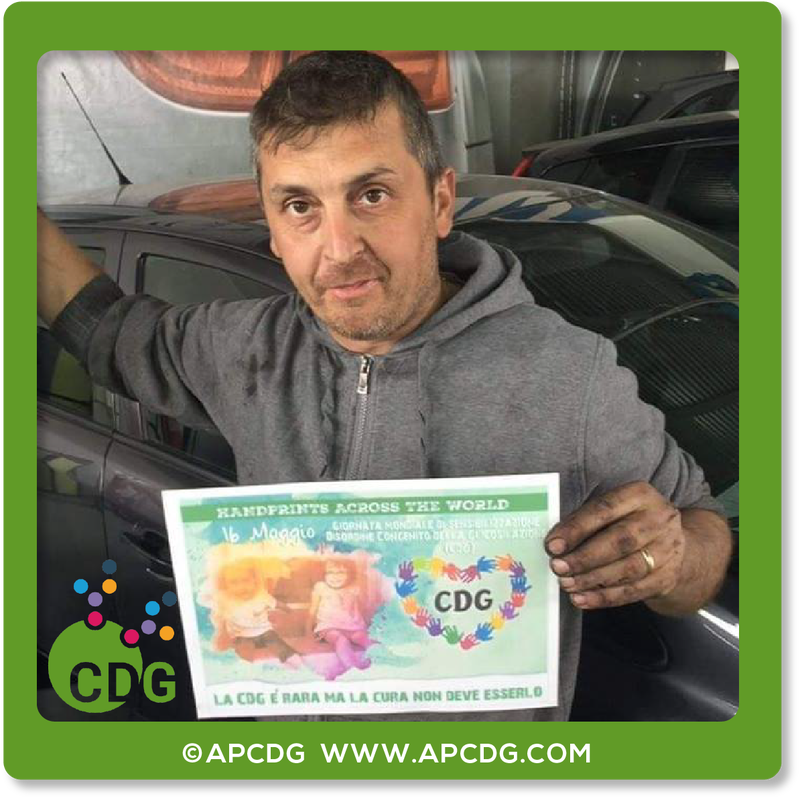 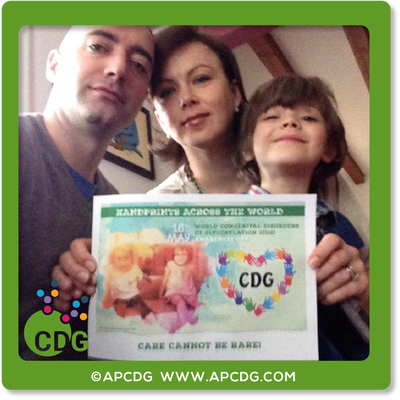 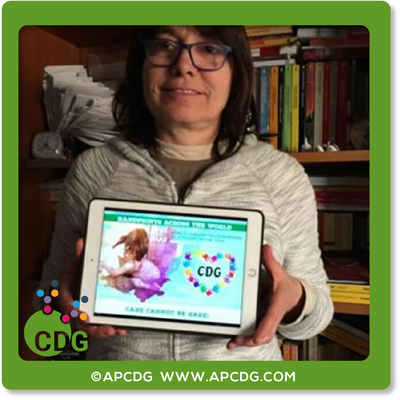 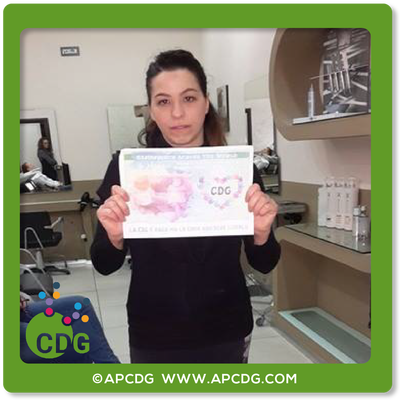 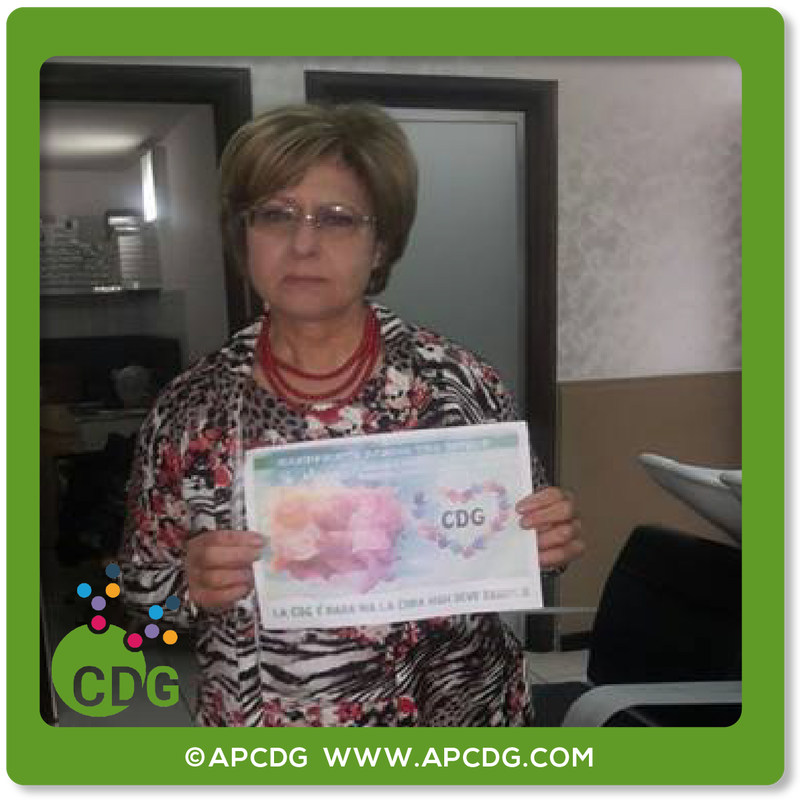 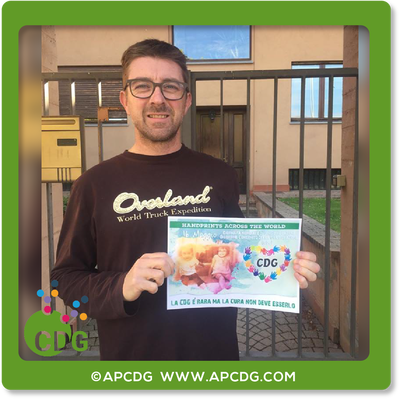 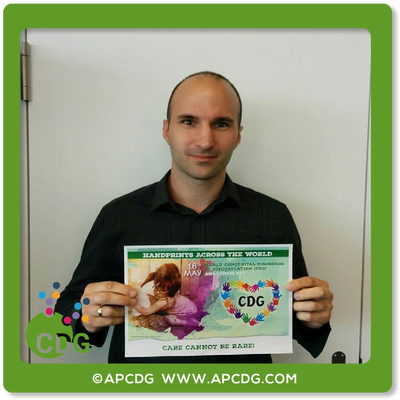 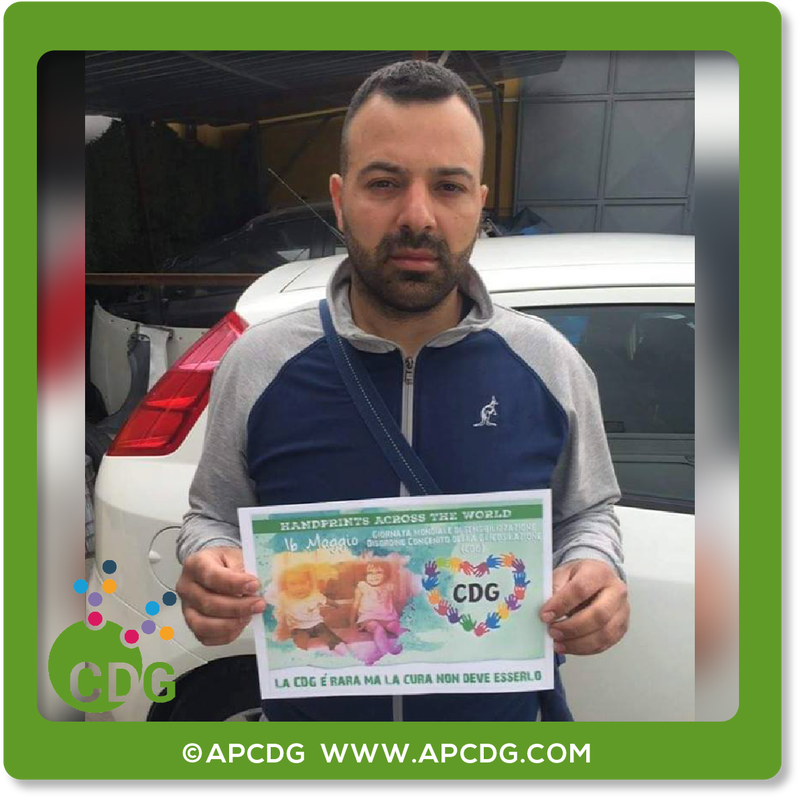 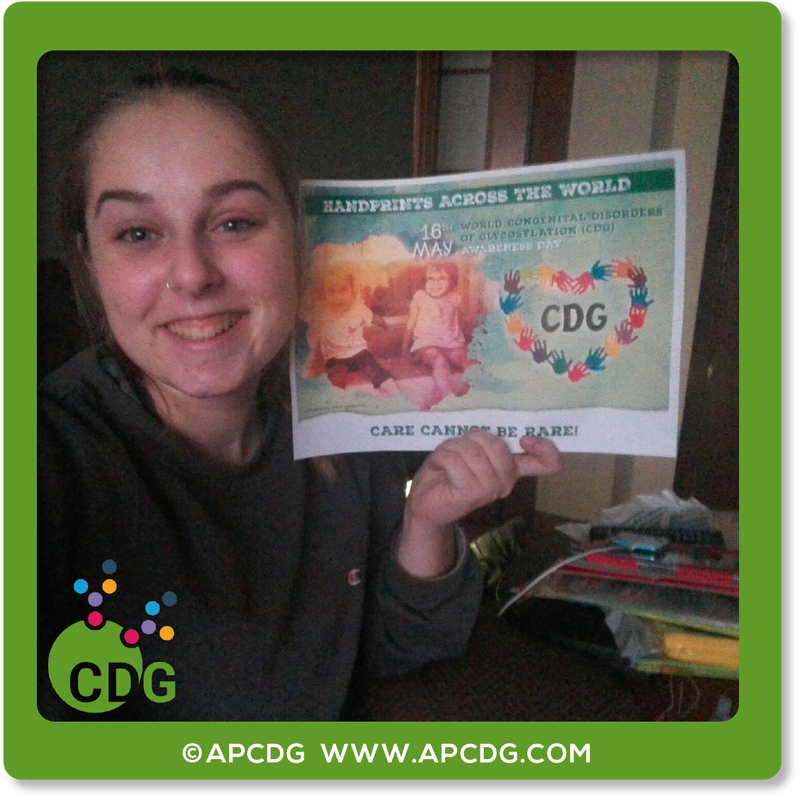 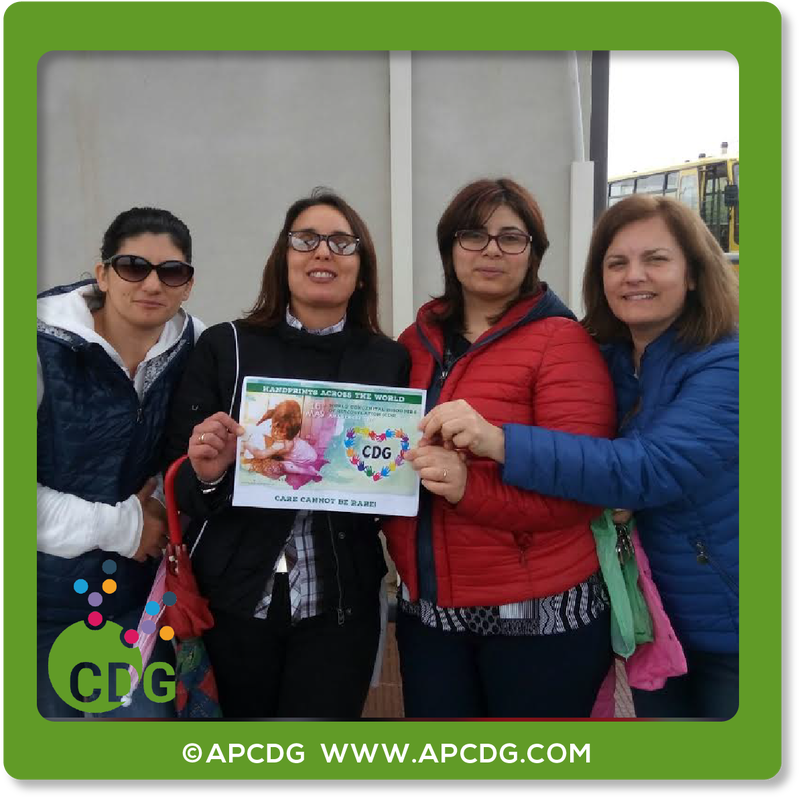 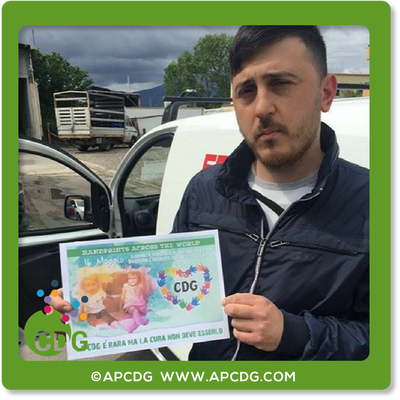 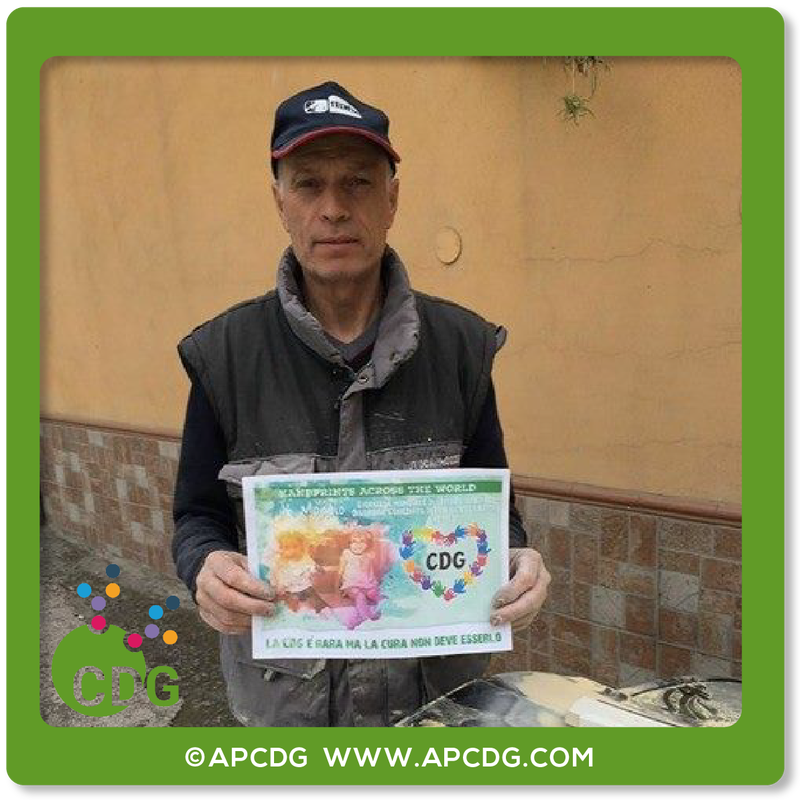 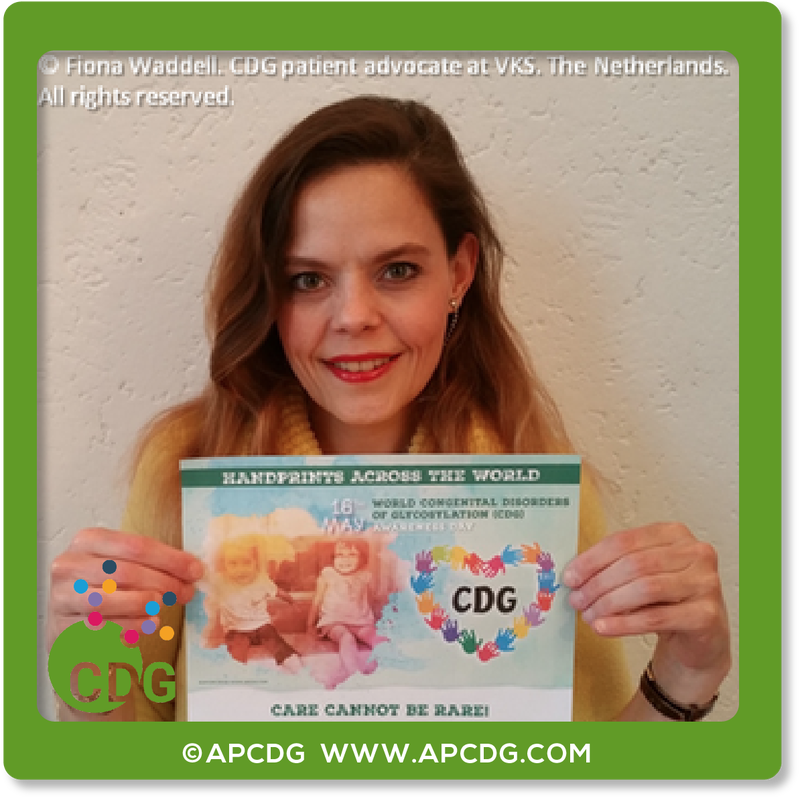 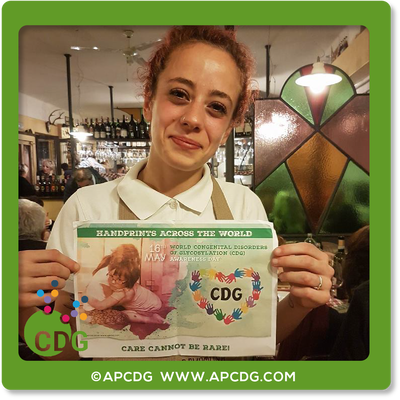 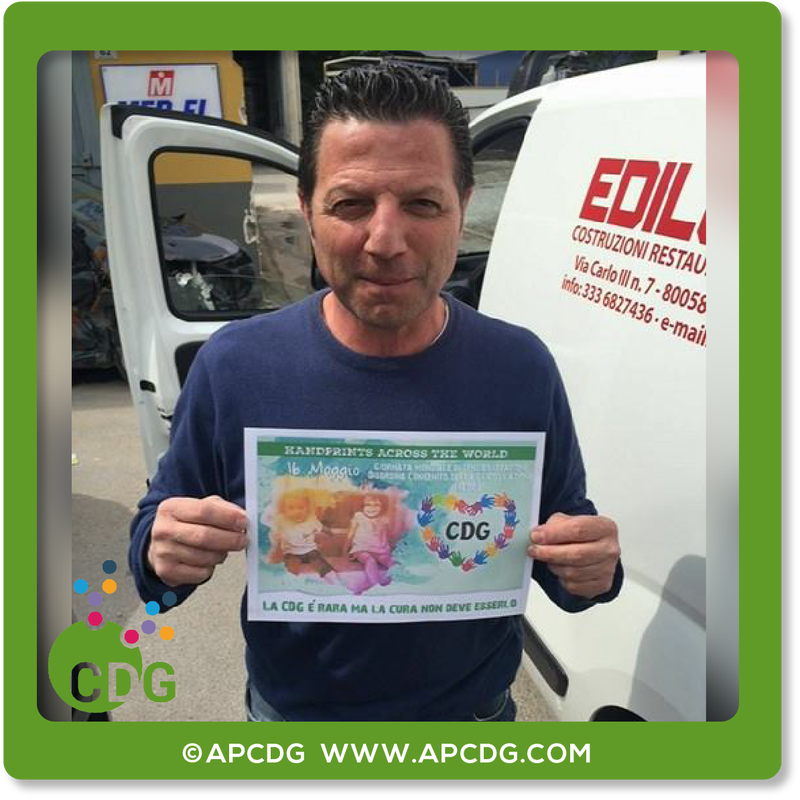 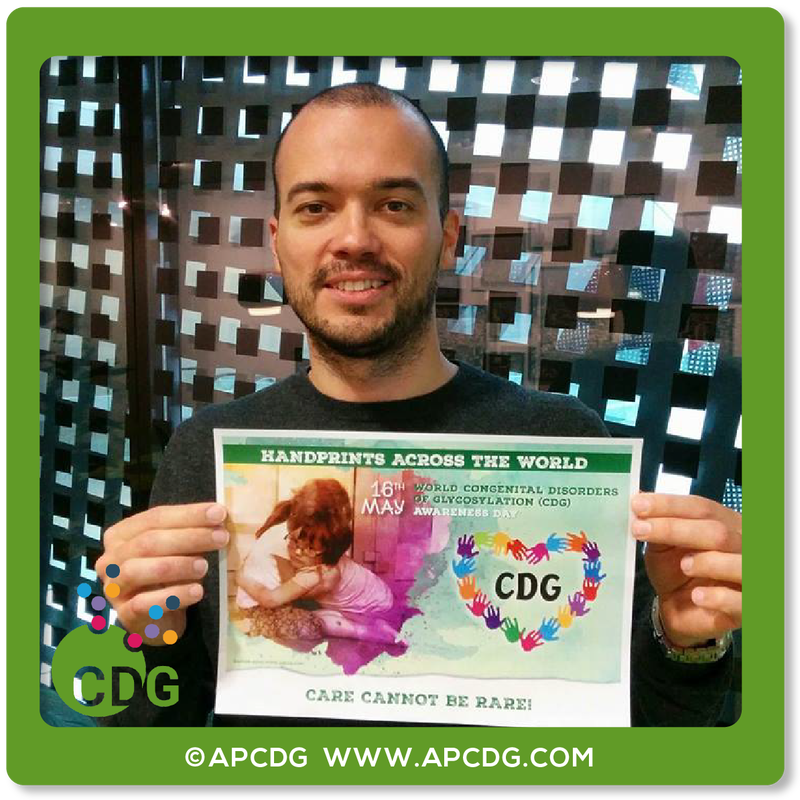 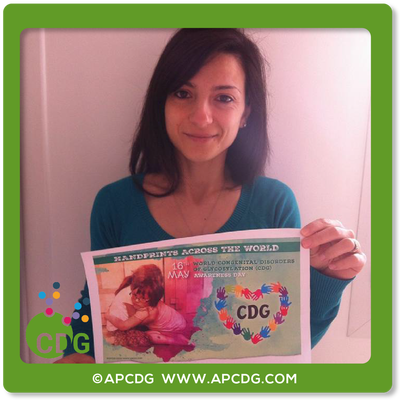 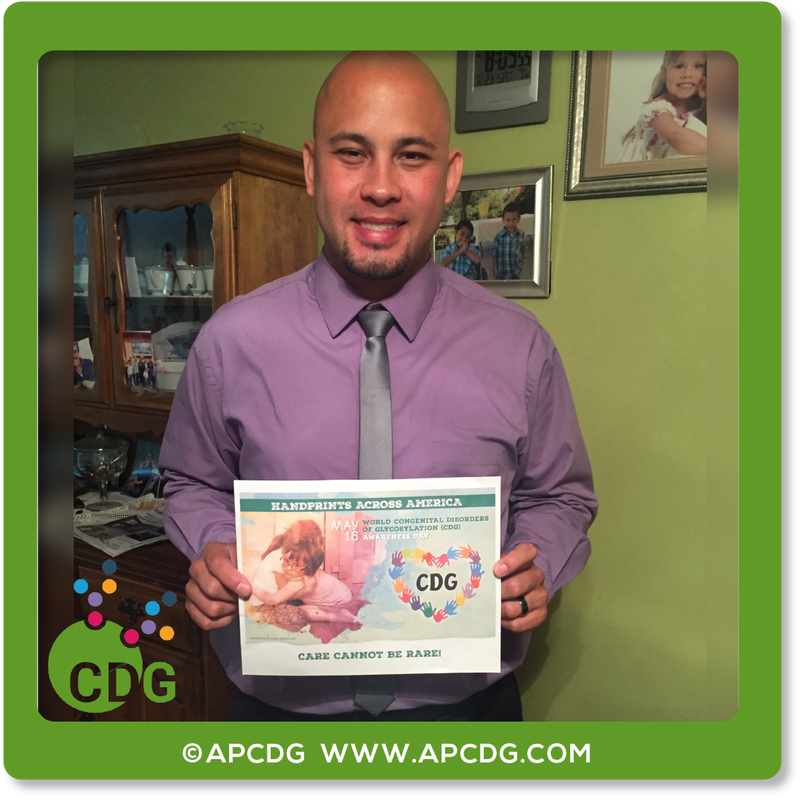 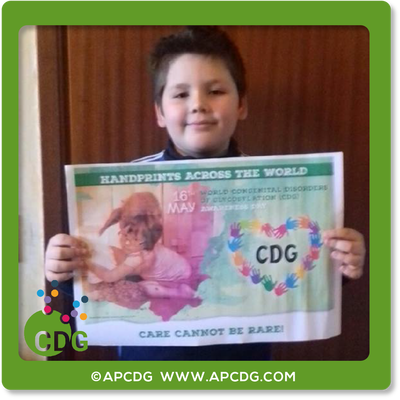 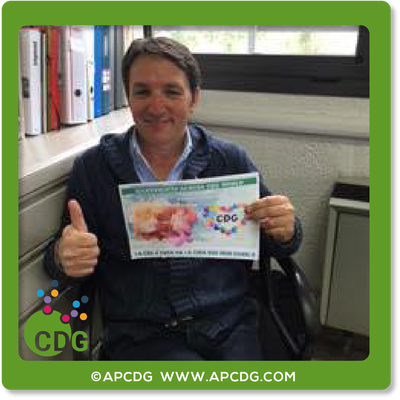 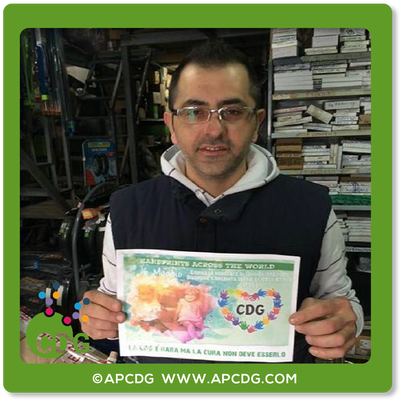 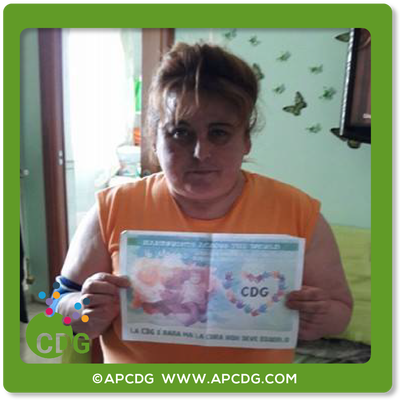 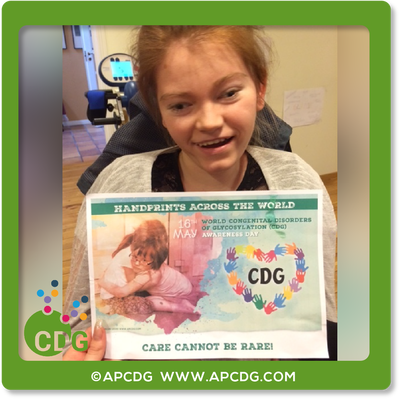 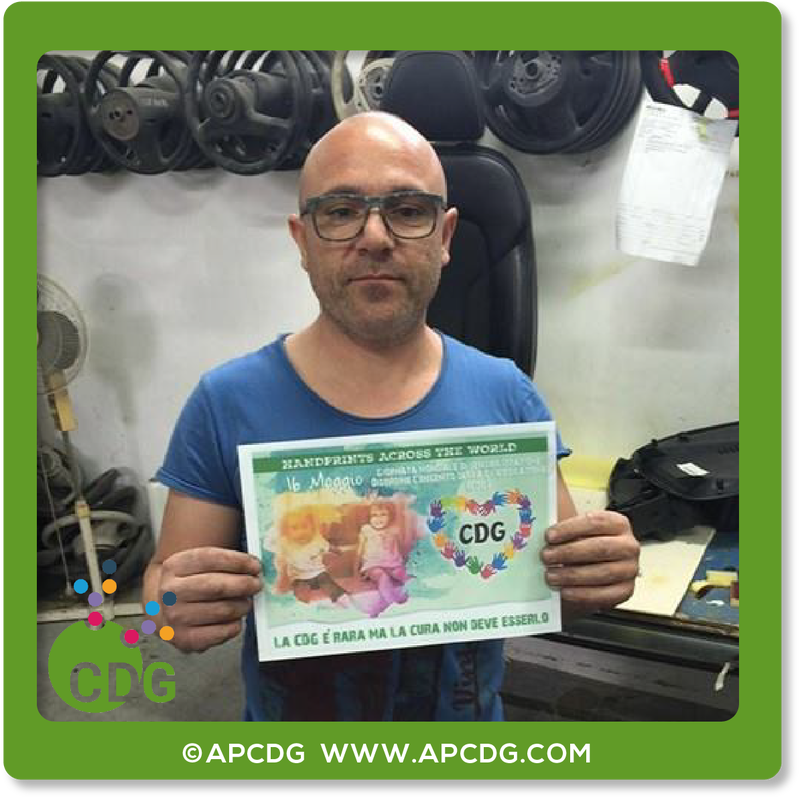 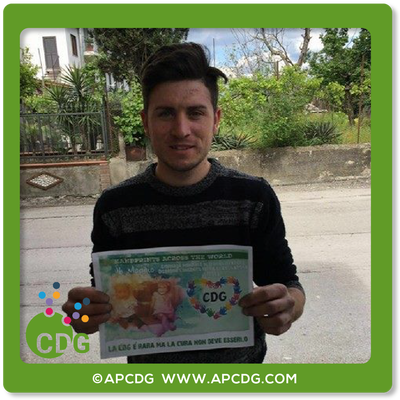 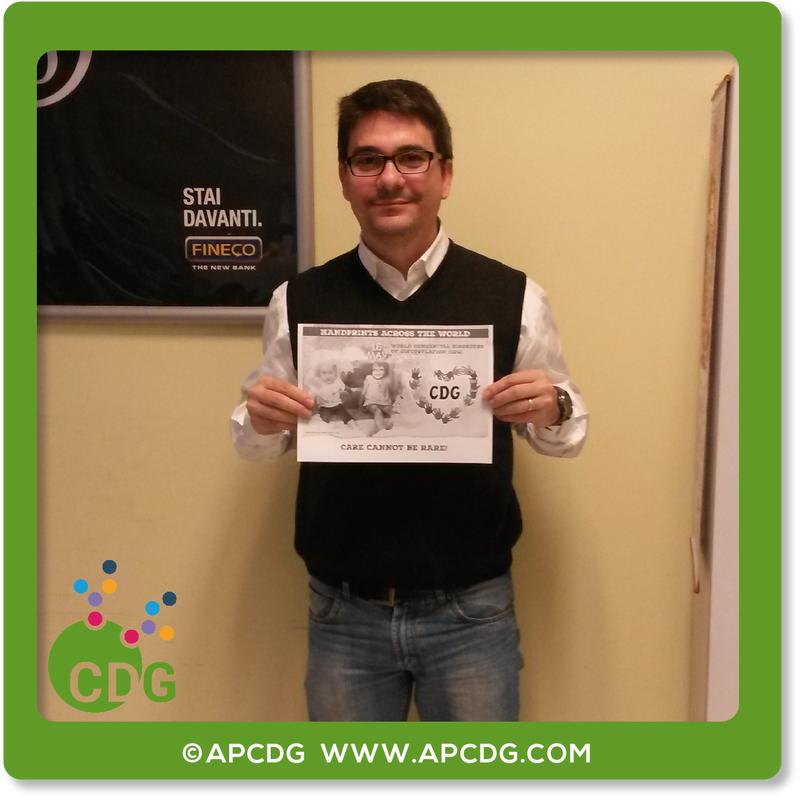 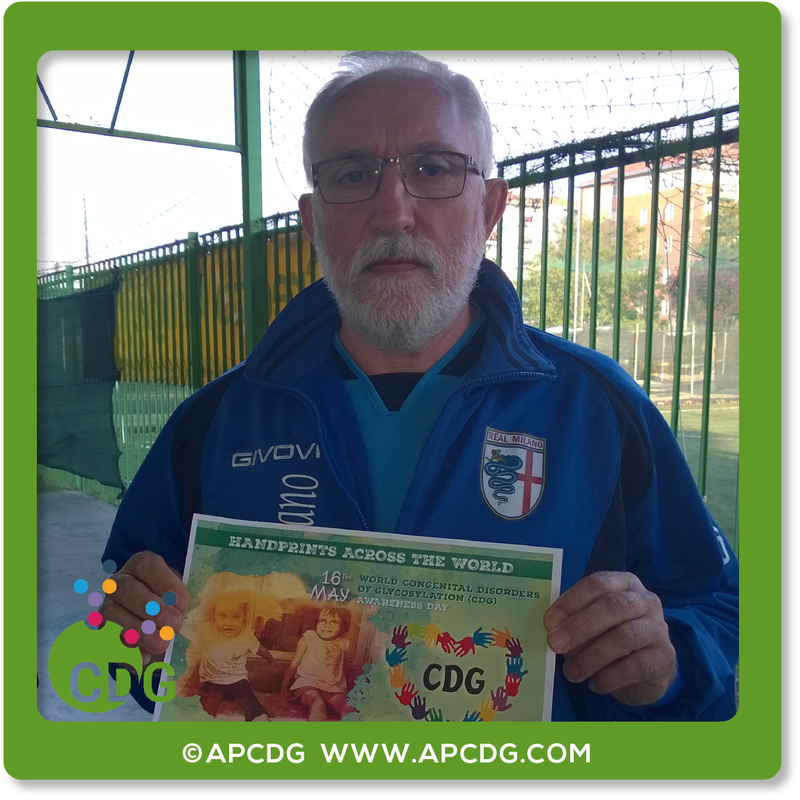 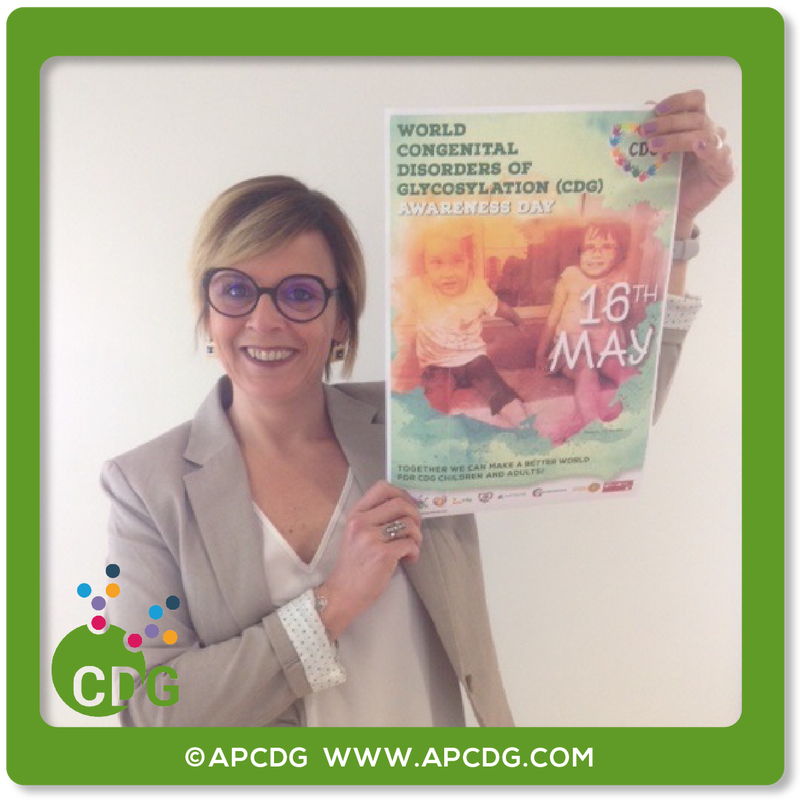 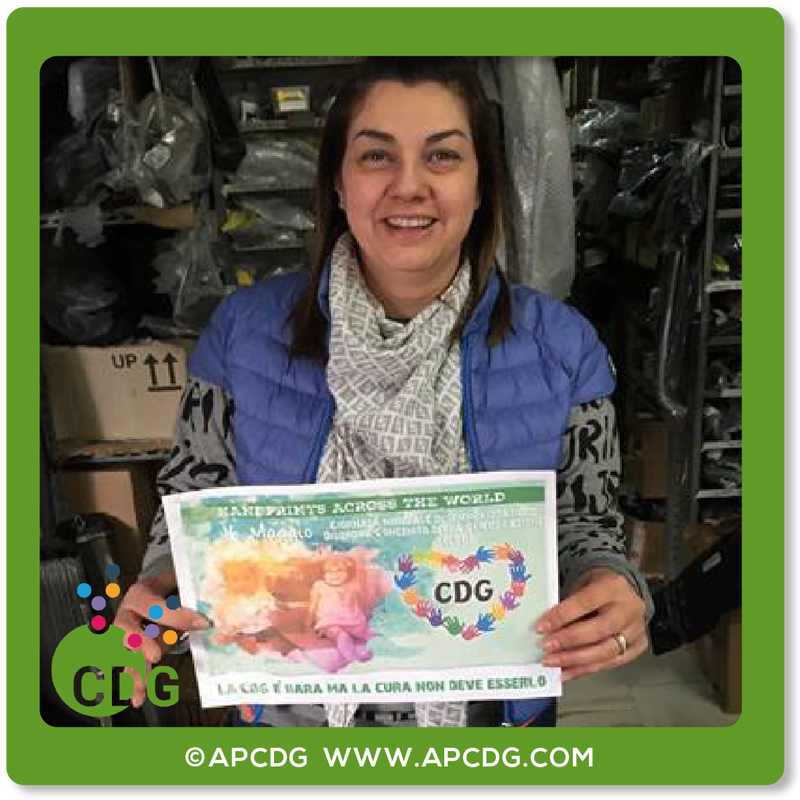 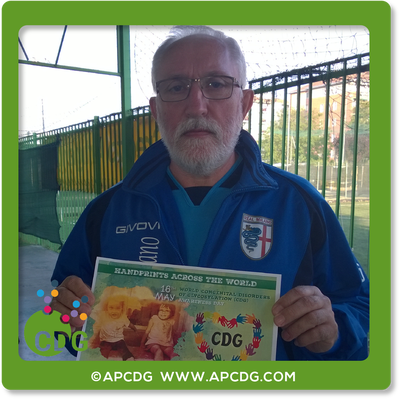 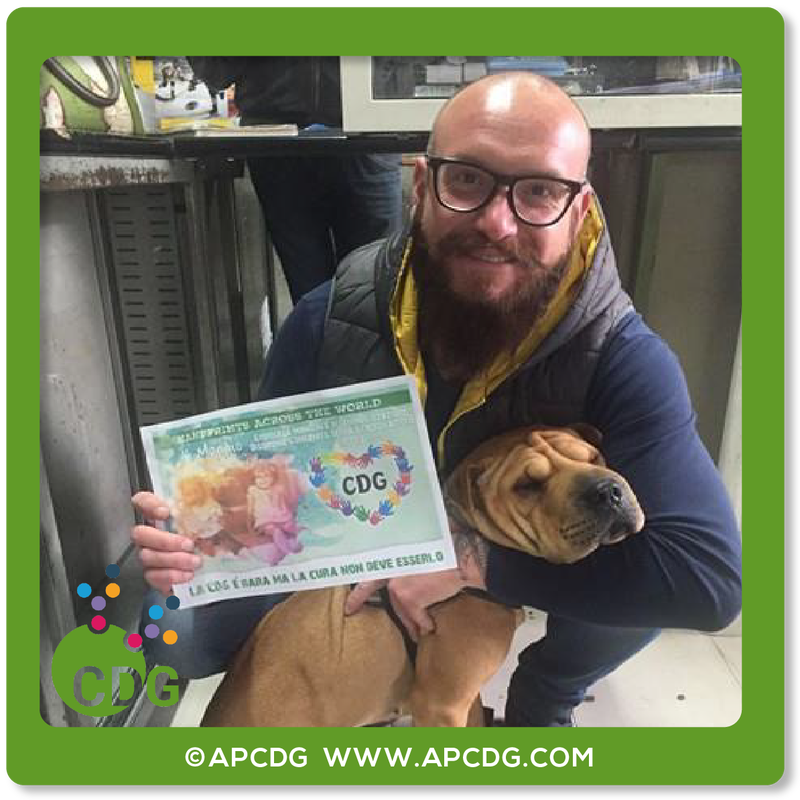 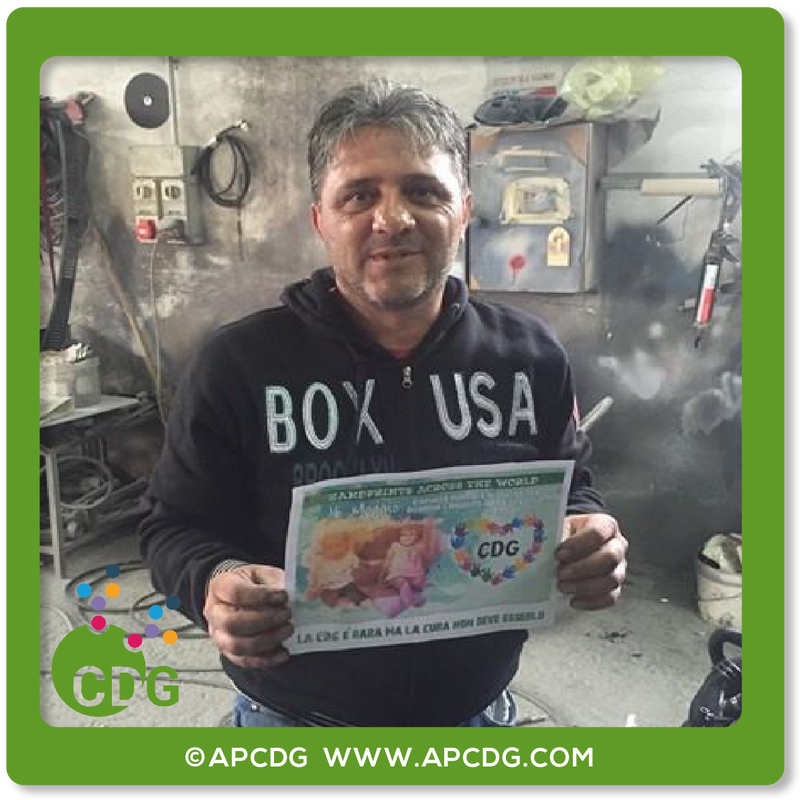 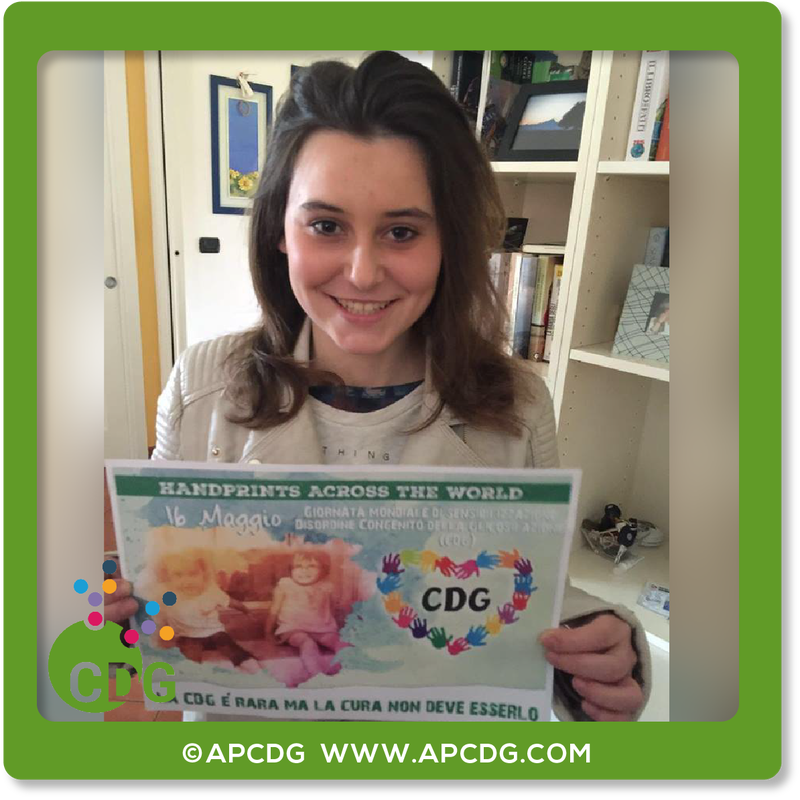 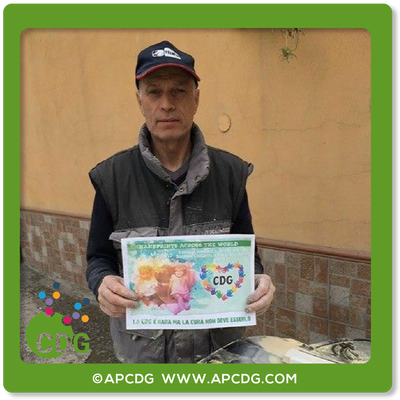 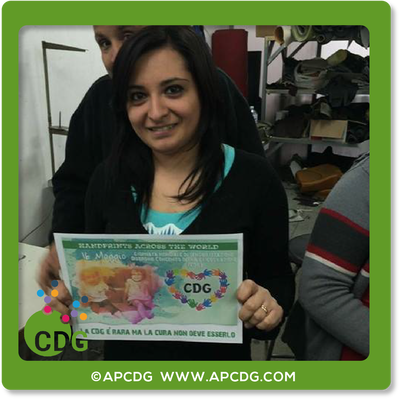 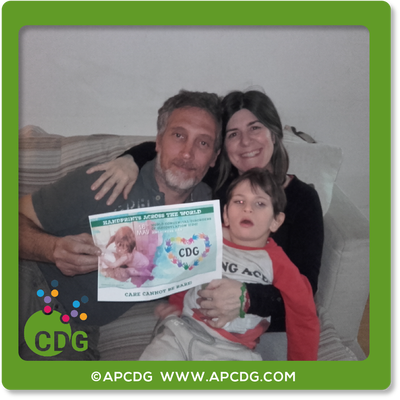 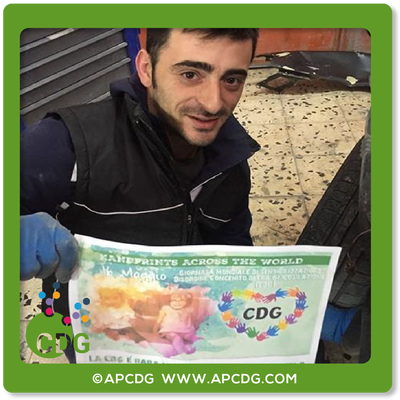 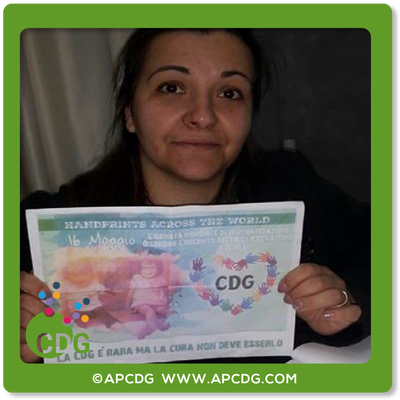 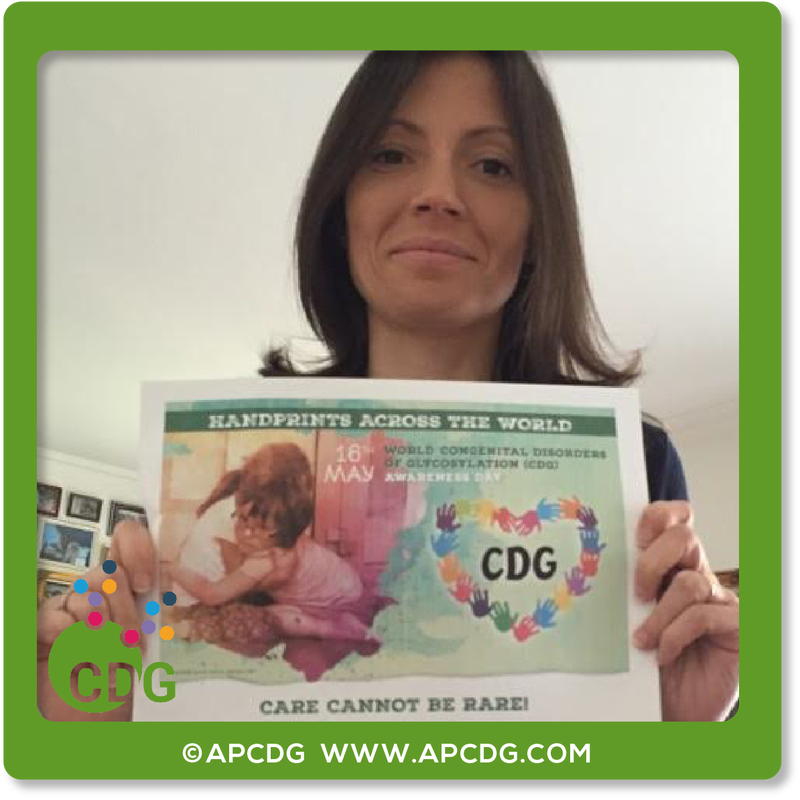 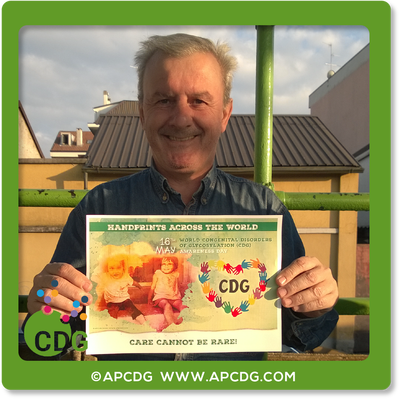 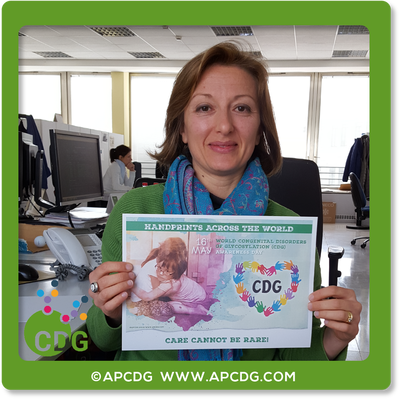 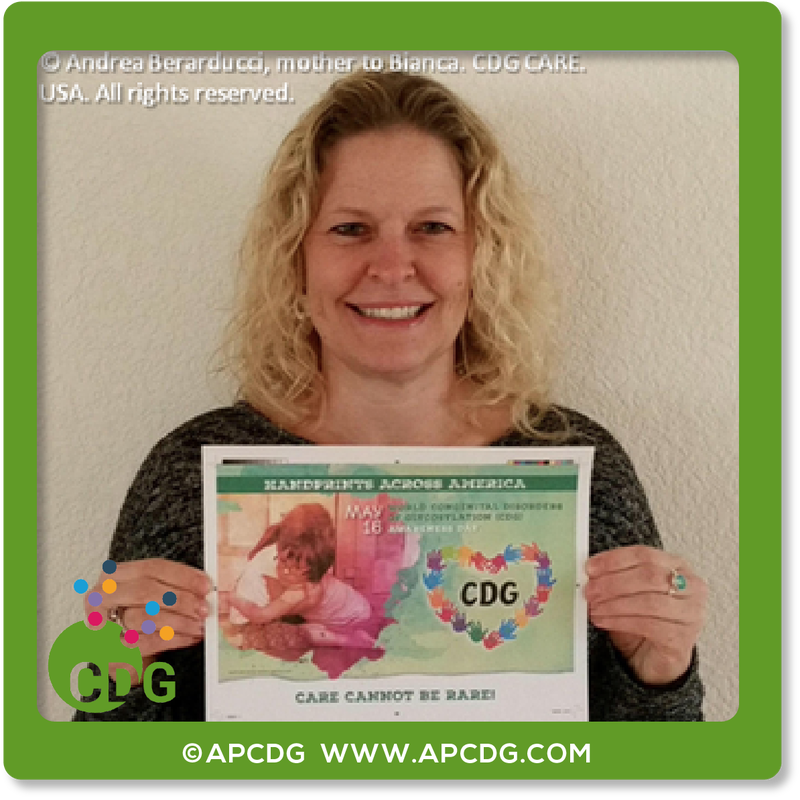 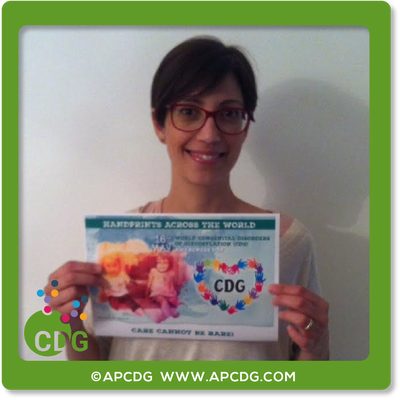 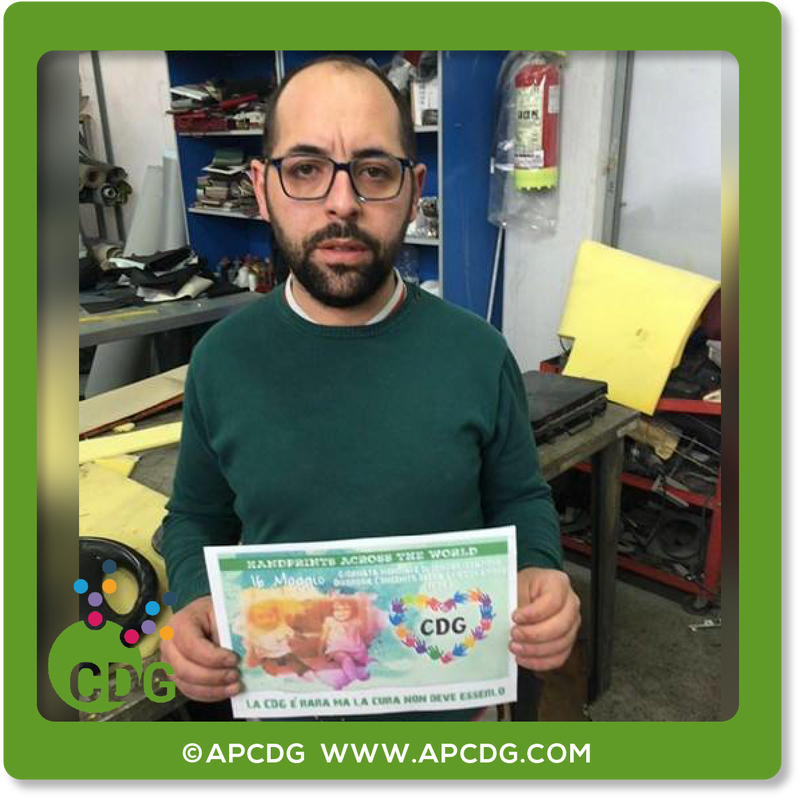 Share your photo with the flier on Facebook HERE, using the hashtag #WorldCDGDay2016 and the proposed tweets or Facebook posts available HERE. 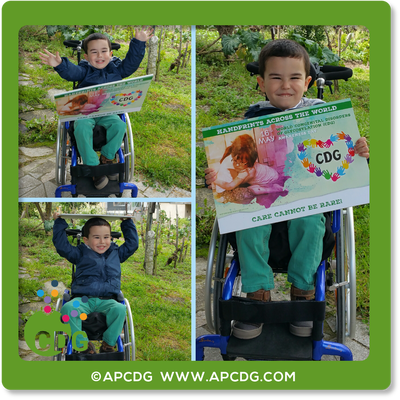 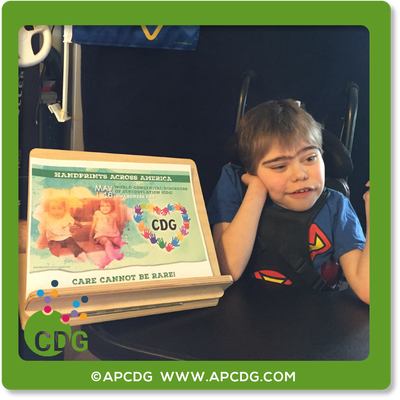 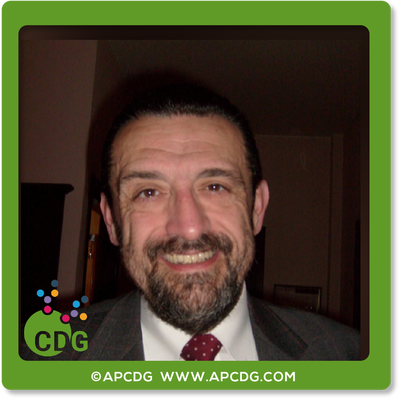 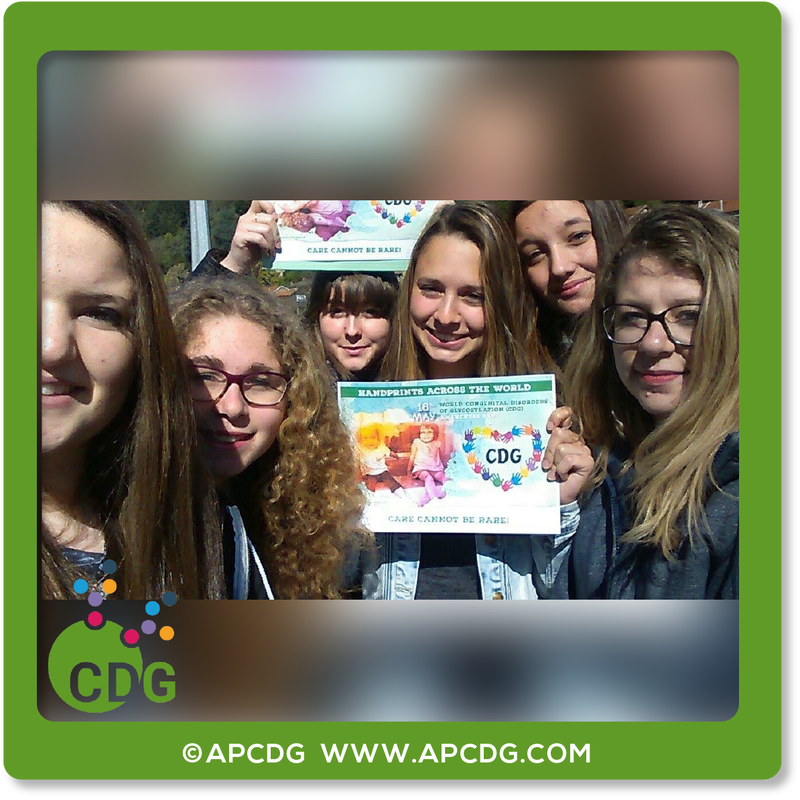 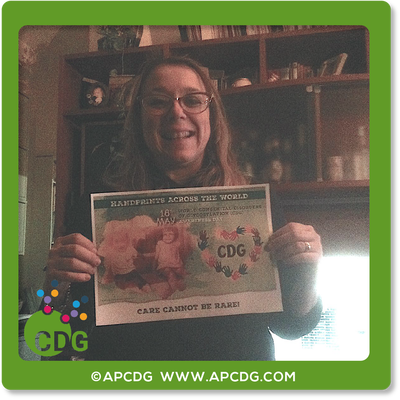 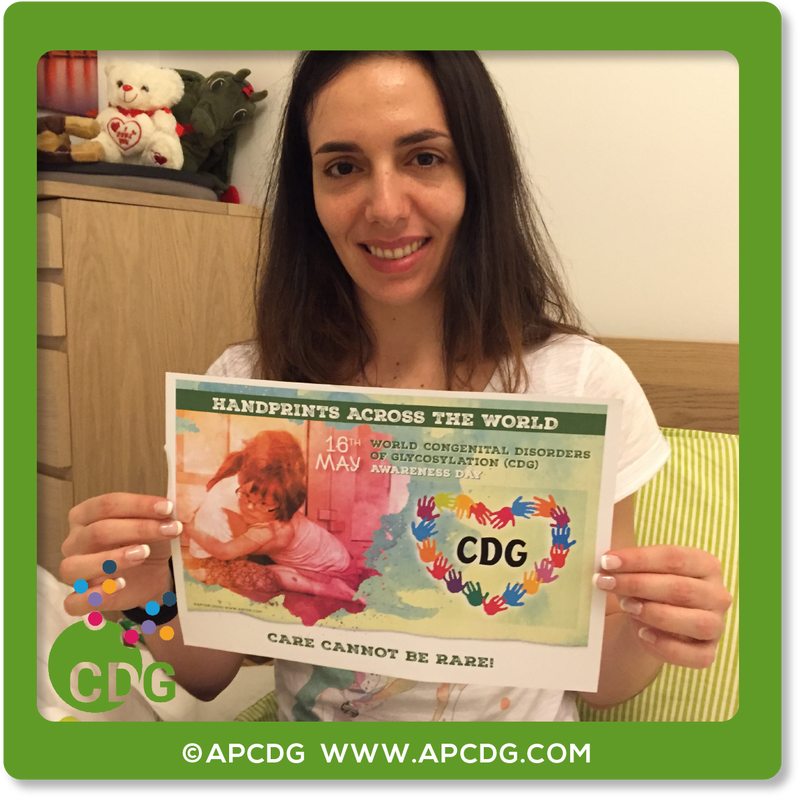 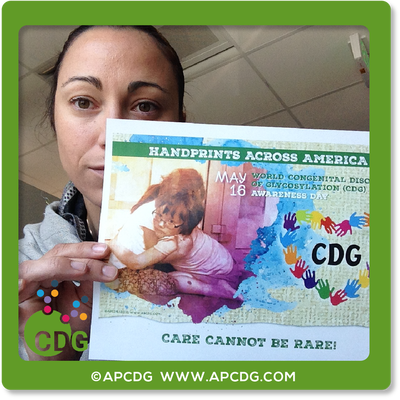 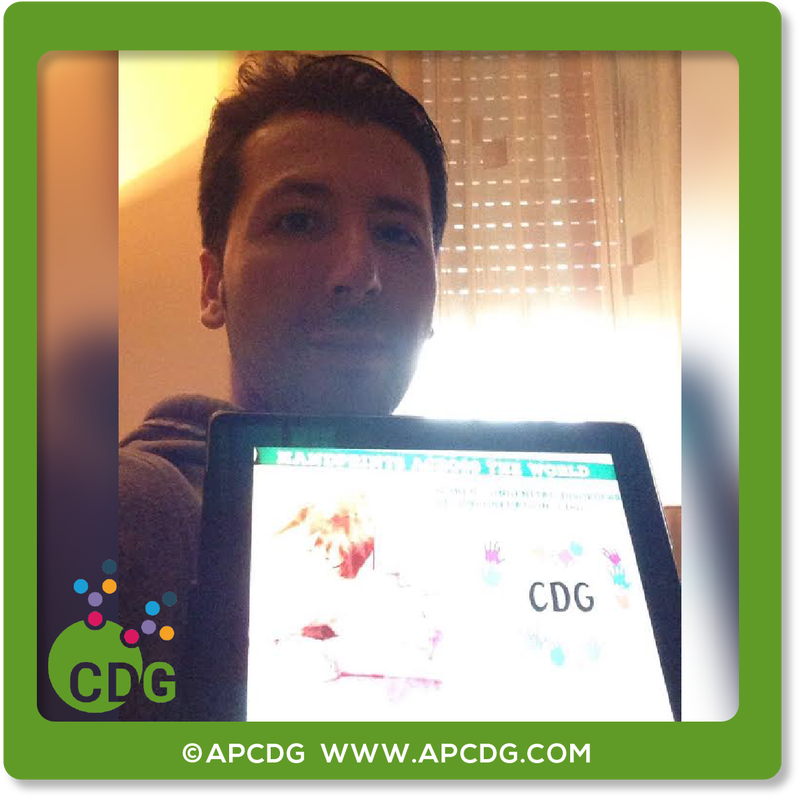 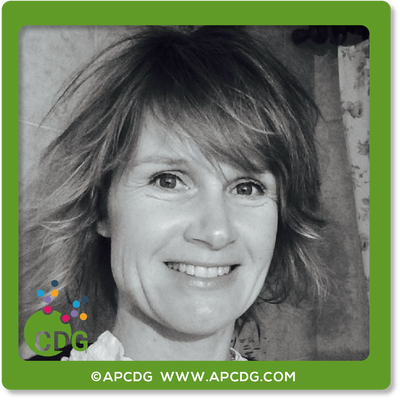 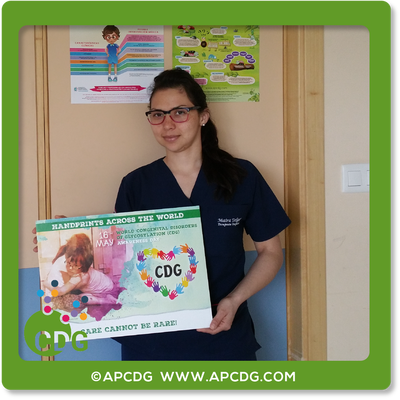 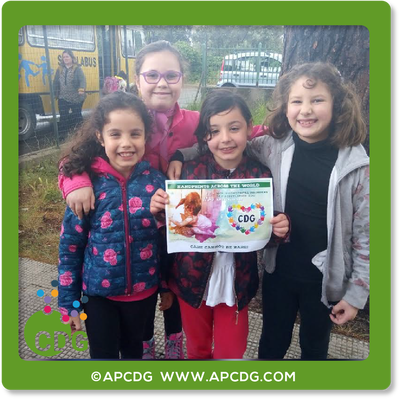 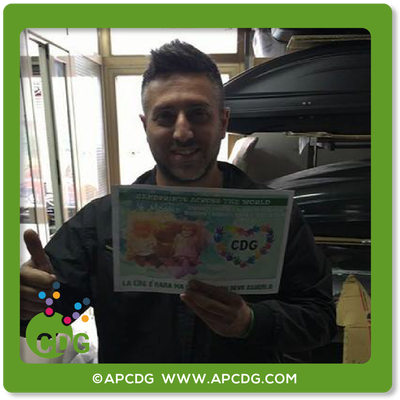 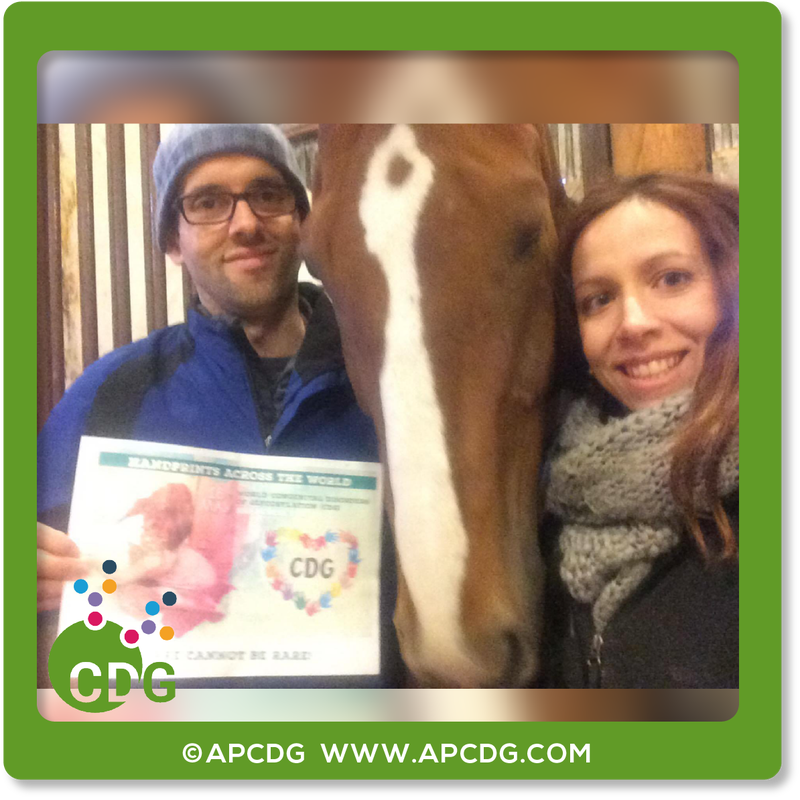 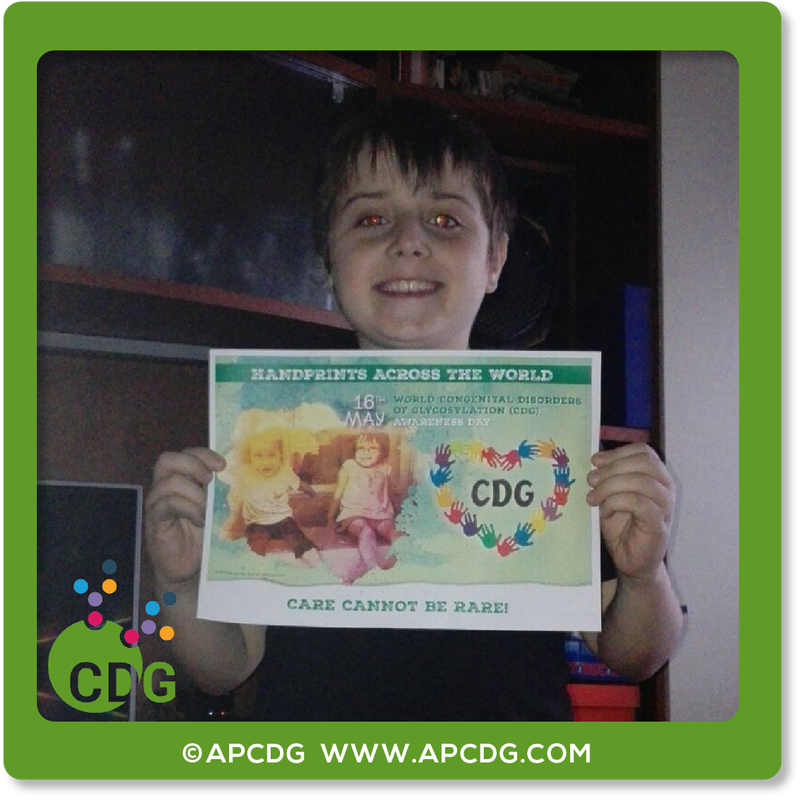 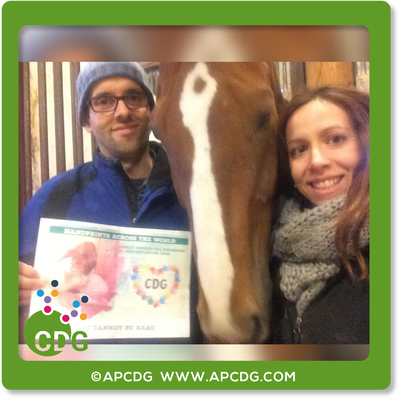 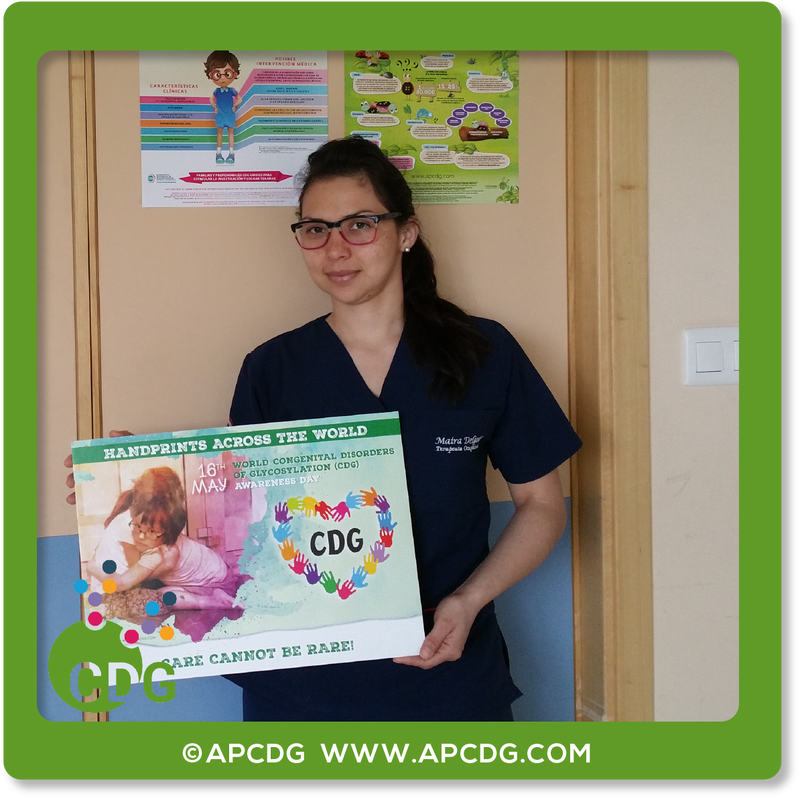 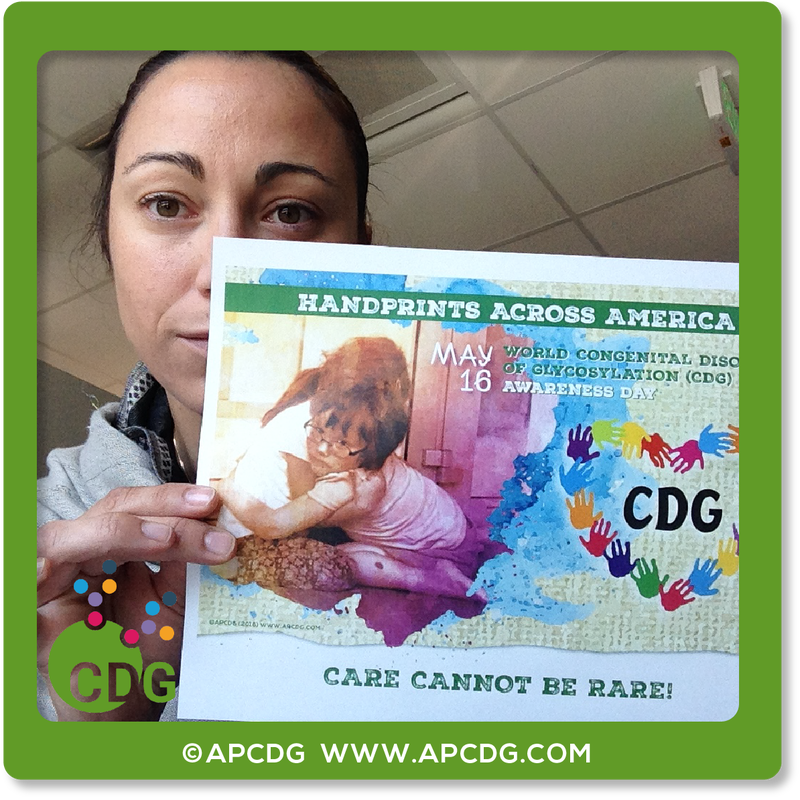 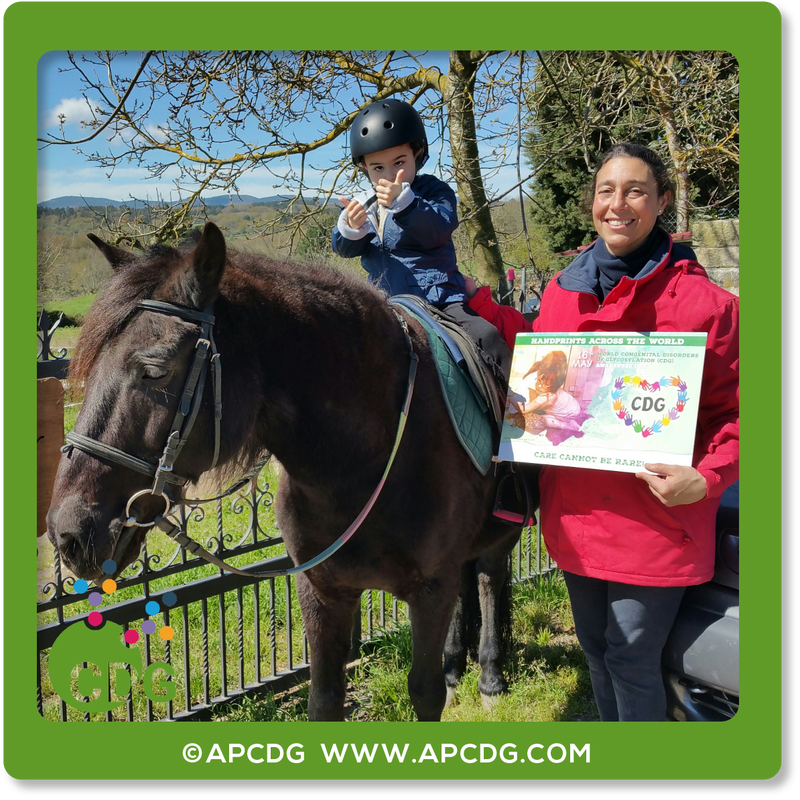 Upload your photo to make part of our photo gallery named Join smiles for CDG children and adults (see example below). Please to guarantee that your photo will be posted before 16th May, send it early in advance. We are not uploading anymore photos at our gallery. 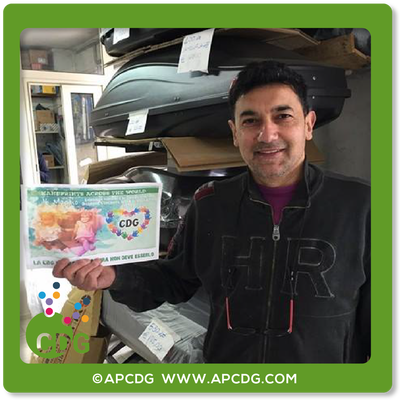 Thanks very much, to all friends and families who have shared their beautiful smiles during the Campaign for 16th May 2016! 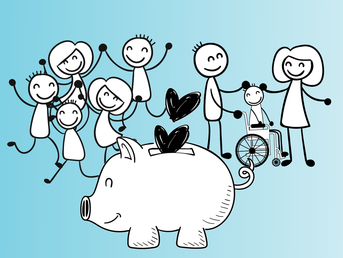 Finally, consider to make a donation using Paypal, debit or credit card or bank transfer. 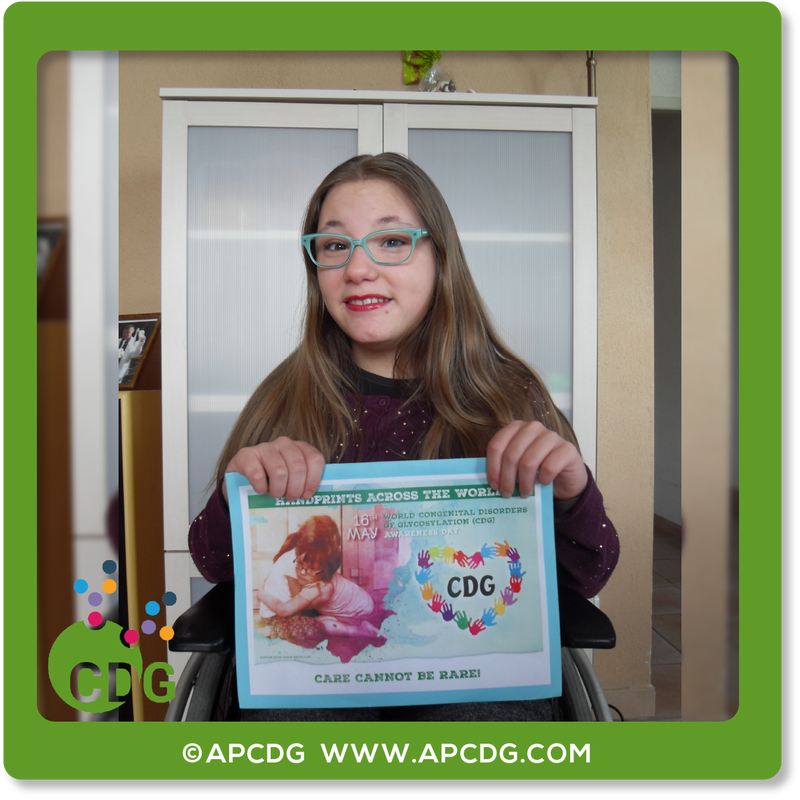 We rely solely on donations in order to continue our research, awareness and educational projects.